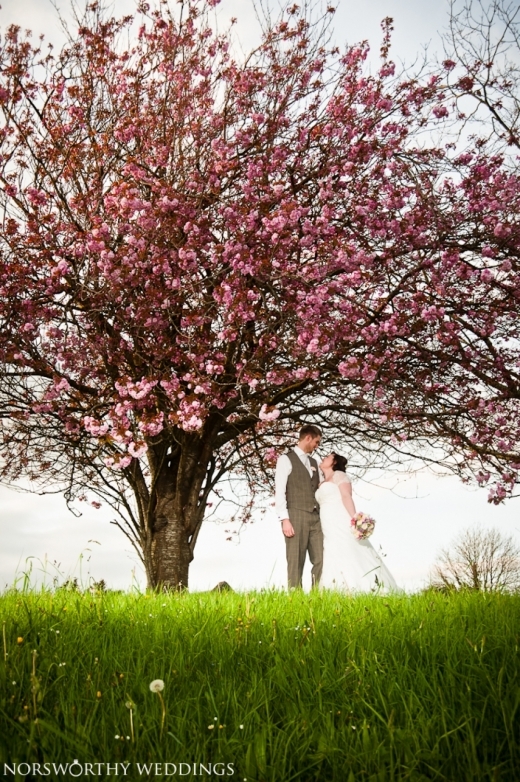 Idyllic Devon wedding venue, The Oak Barn in Hittisleigh Barton, is currently running an unmissable offer for couples hoping to wed in June 2015 - a whopping £1000 off their weeken. . . Spend a glorious Sunday afternoon on 11th January in crowd-pleasing style at this this stunning country house in Cornwall and prepare to plan your day in all its dazzling detail.. . .
Not only will Wed's exciting extravaganza at Boconnoc Estate on Sunday 1st March treat brides and grooms to one of the South West's most fabulous wedding planning events, but a r. . .
Biggest Devon issue ever out now! 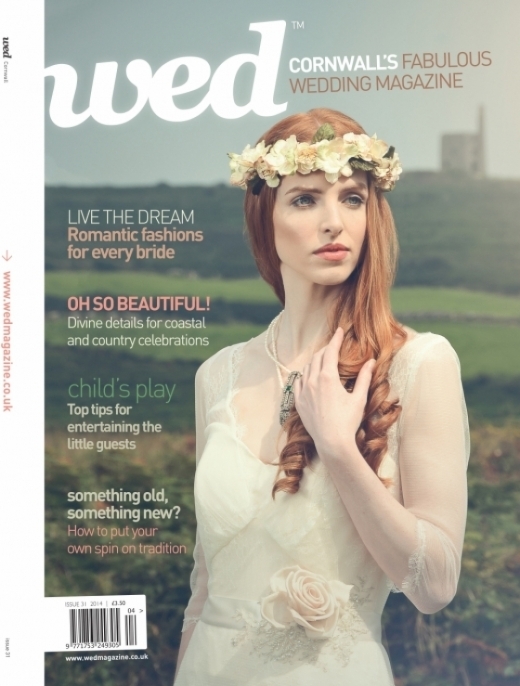 Treat yourself to one fabulous post-Christmas gift - the latest issue of Devon Wed Magazine!This is the biggest Devon issue to date, meaning that it's crammed with wed goodness! . . .
We'd like to take this opportunity to wish our fabulous Wed readers a wonderful Christmas and New Year! 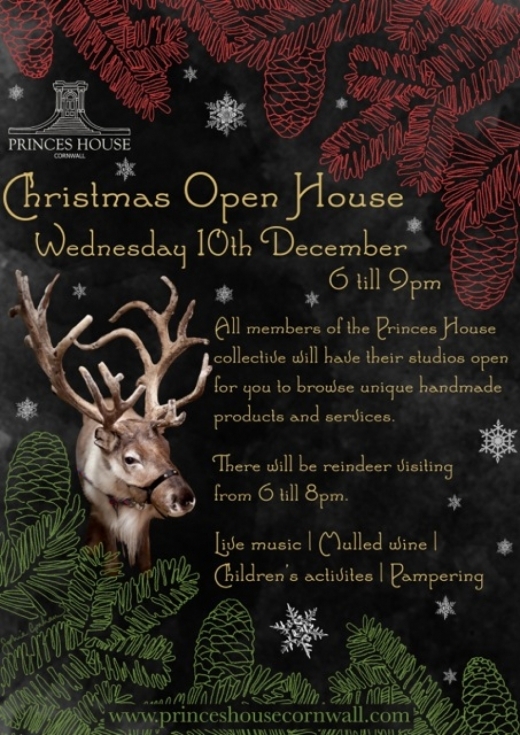 This has been a great year for Wed, and we're pleased to confirm that it's. 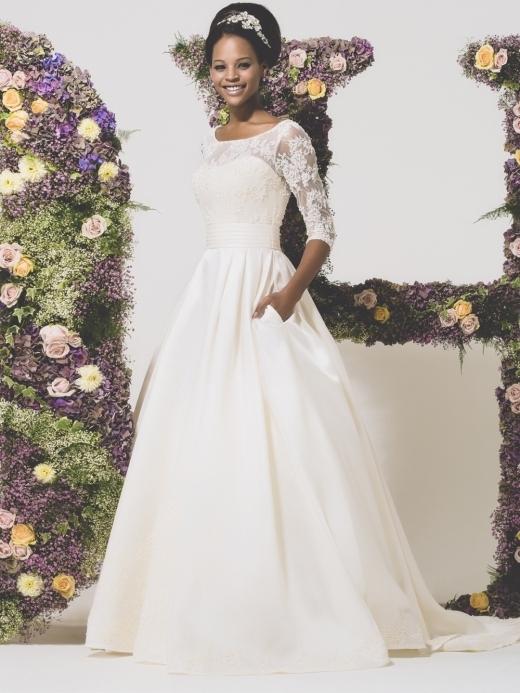 . .
County Cream's first anticipated Designer Day of the year will be held on the 31st January showcasing Romantica's stunning 2015 collection. Brides can benefit from a 10% . 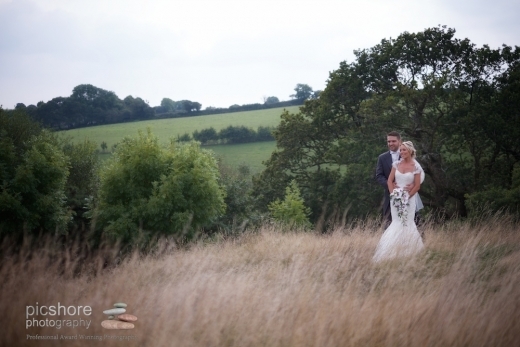 . .
Plan a gorgeously gastro day courtesy of Philleigh Way - one of the hottest destination wedding venues gracing the county's ever-distinctive list of offerings. The renowned Cornish. . . 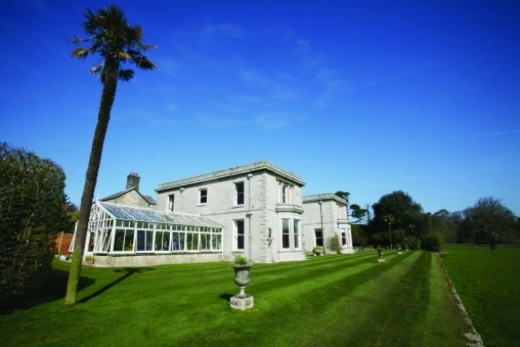 This stunning 16th century manor house is set in its own grounds and formal gardens, making it one of the county's favourite exclusive wedding venues within walking distance to W. . .
For a fabulous frock frenzy, make a date in your diary for Saturday 27th December, when County Cream Bridal House in Truro will be hosting an exciting and unmissable one day sale. 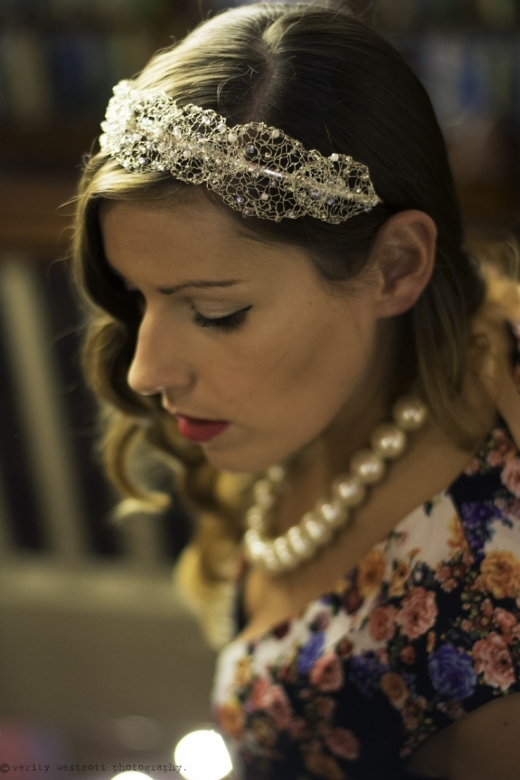 . .
Don a dazzling piece of headwear courtesy of Holly Young's stunning creations, and with 20% off bespoke orders throughout January, you cannot afford to miss out on her spectacular . . . Prior to the recent Cornwall Wedding Meetup, a creative collaboration in Falmouth saw some of the county's top suppliers showcase their services and products at some seriously sp. . .
Hen party special offer from Holly Young! Stage a hen party to remember courtesy of Holly Young's fabulous fascinator making sessions, and take advantage of her current special offer.Anyone pre-ordering their set of eith. . . 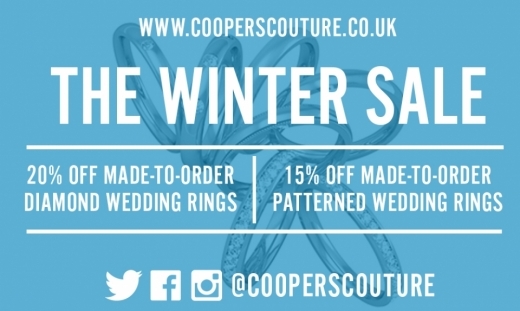 Bag yourself a beautiful bargain at the annual New Year sale at Coopers Couture. 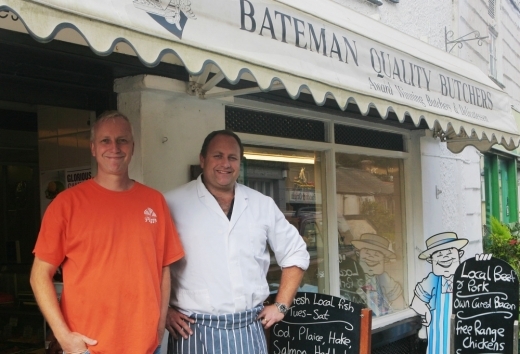 Barnstaple's brilliant retail and online brand offers a unique experience for couples looking f. . . Stunning lingerie company Shell Belle Couture are pleased to announce their prestigious recent win of Loungewear Brand of the Year at the UK Lingerie Awards.Offering brides-to-be. . .
Picture breathtaking panoramic coastal vistas, beautifully landscaped gardens and 2.8 hectares of sloping terrain for the ultimate wedding backdrop.Karma St Martin’s is not only th. . . 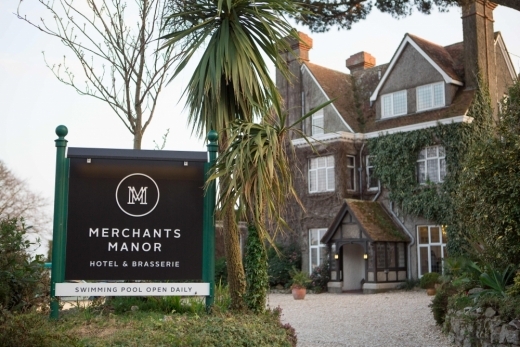 Enjoy a sparkling New Year’s celebration including fine food, entertainment and merriment at the magnificent Merchants Manor in Falmouth. 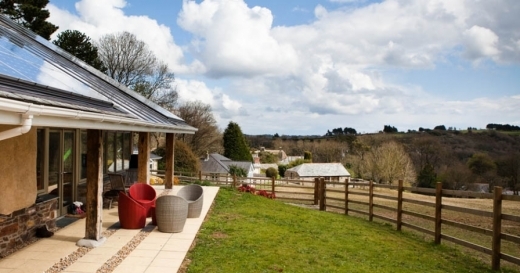 Once the glass is empty a sumptuous six-co. . .
Cornwall's beautiful countryside bolthole of Bosinver is pleased to announce its recent double gold scoop at the Cornwall Tourism Awards for Self Catering Holiday of the Year and. . . Check out this latest exclusive behind-the-scenes video of one of our most recent - and most fabulous - photo shoots, fresh from Wed Cornwall magazine.On location at the glorious. . . The festive season continues to spellbind us here at Wed Towers with a stunning series of snapshots from couples sharing their love at some of the South West's most romantic venu. . . Become a royal glamour puss for your wedding and treat yourself - and your gal pals - to a beautification session like no other at No 3's fabulous new Champagne and Nail Bar.This i. . . 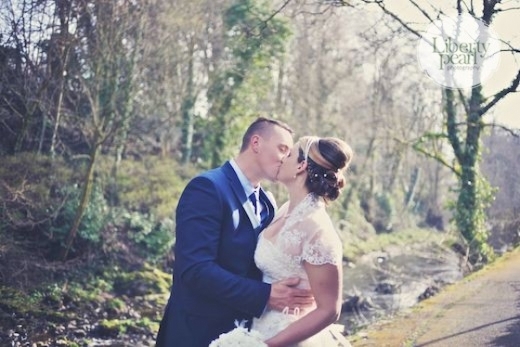 Win Your Wedding at St Michael’s Hotel & Spa! 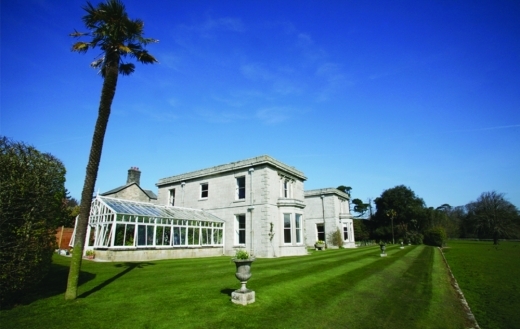 St Michael’s Hotel & Spa, on the tranquil south coast of Cornwall, has been confirmed as the main partner in a competition with The Packet for one lucky couple to win their w. . .
Spring is a special time of year and is always in beautiful bloom at The Green, where a series of secluded spots scattered amongst 14 acres of private estate provides the perfect w. . .
Head to the heart of the county in Truro for Princes House's exciting event on 10th December, where not only can brides and grooms peruse and plan their day in style, but can pick . 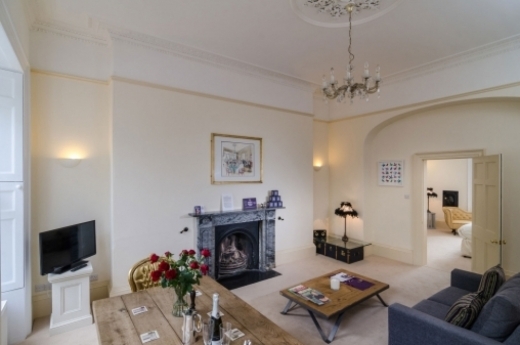 . .
For an unforgettable weekend away with the girls or some pre-wedding R&R with your fiance, look no further than the brilliant, Bath Boutique Stays, who are currently running . . . In response to the current climate of responsible and quality food sourcing, St Agnes based pizzeria The Cornish Pizza Company, has announced a long-term partnership with loc. . .
Specialising in traditional film and fine art photography, dynamic duo Louise and Teo of Taylor and Porter Photographs provide a stunning photo album of signature images that are. 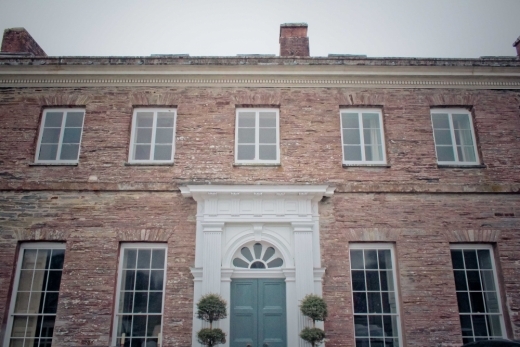 . .
An eagerly anticipated unique new wedding service is now ready to take bookings for 2015, following an overwhelming response at its launch at Pengenna Manor earlier this year.Pen. 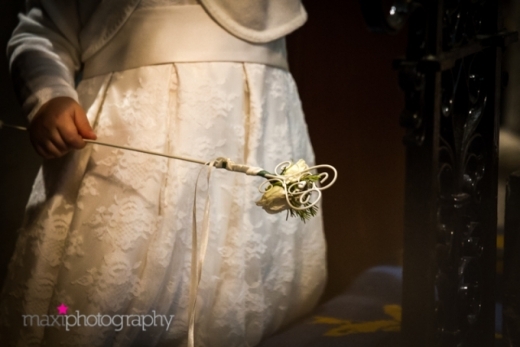 . .
Artographer: a fabulous new wedding service! 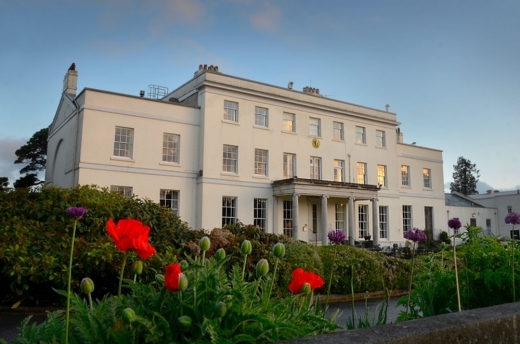 Devon's stunning country house hotel is celebrating a brilliant triple win in the 2014 Devon Tourism Awards, reinforcing their name as one of the best hotels in the county and beyo. 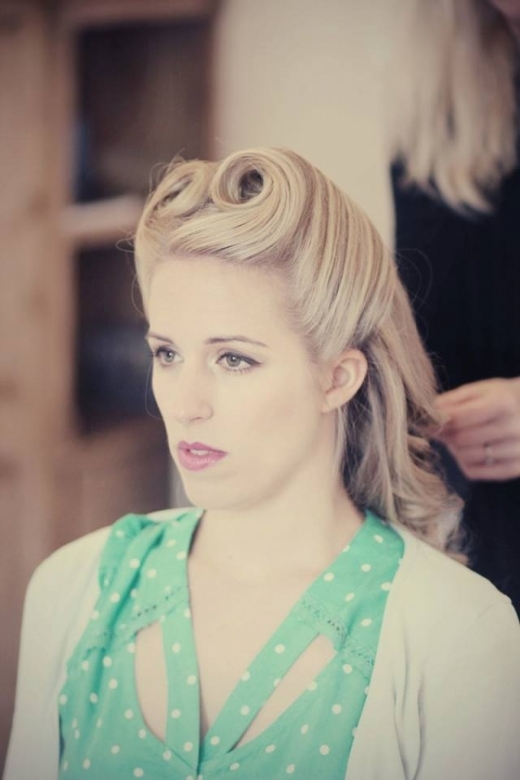 . .
Gershwins Hairdressing in Newton Abbot not only ensure a heavenly head of hair, but each bride receives a personalised and tailor-made service that will give you confidence and. 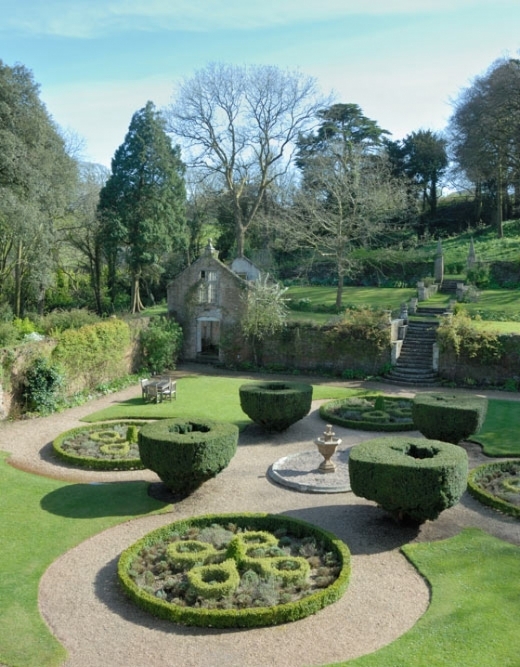 . .
Why wait when one of Devon's most to-die-for venues is offering couples the chance for an unmissable last-minute wedding offer?Presenting an extremely purse-pleasing promotion fo. . .
As the season's festive feel begins to weave its way into the every day, so too are weddings replete with magical touches.As these latest pictures show, the weddings in the South. 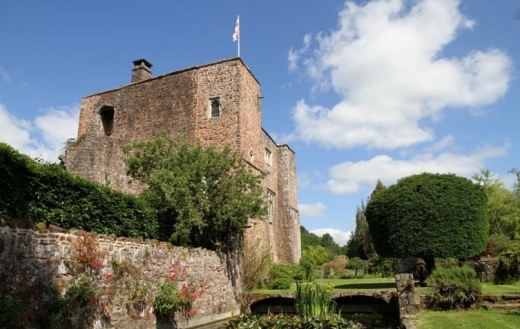 . .
Bickleigh Castle is offering Wed readers the chance to win a wonderfully romantic four-night mini-moon. The lucky couple will be able to revel in the splendor of the Tudor Br. 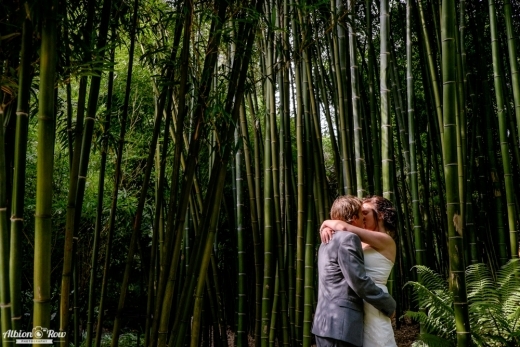 . .
Palm-tree framed pictures, Hollywood style poses and romantic embraces are all featured in this week's wedding portfolio taken from the latest events across Cornwall and Devon.Ge. . . Experience some fabulous fairytale fashion this weekend (15th and 16th November) at Amica Bridal Boutique's brilliant Alfred Angelo event. Previewing the brank spankin. . . Spend an extraordinary afternoon on Sunday 23rd November (2-4.30pm) at the spectacular new wedding venue of Glazebrook House Hotel in South Devon. Hosted by the brilliant Bl. . . Spruce up your Sunday afternoon with an inspirational visit to Langdon Court for their Winter Wonderland Wedding Fair on 30th November (1pm-4pm).Providing a unique setting for we. . . 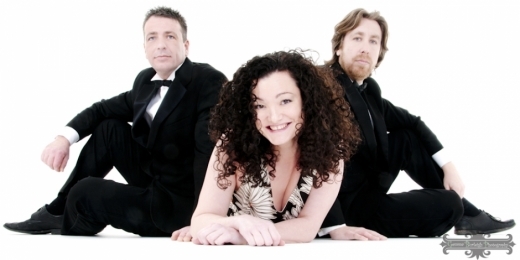 The Wed Show is coming to Boconnoc! Diaries at the ready ladies and gents! 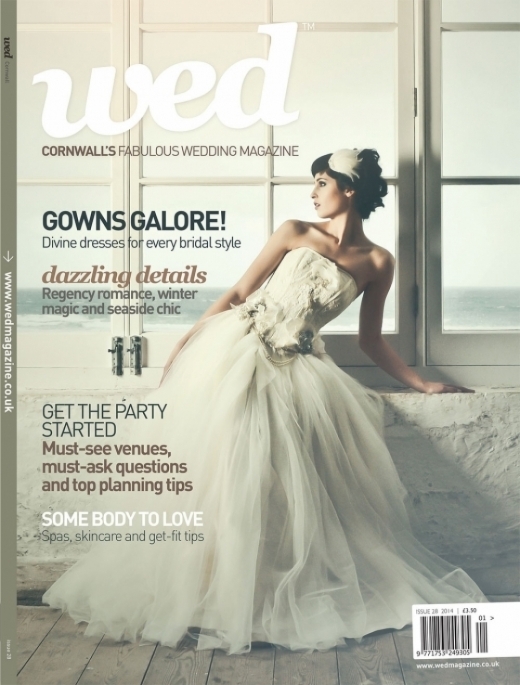 The Wed Show is set to take place at Boconnoc Estate on Sunday 1st March 2015 from 11am - 4pm.Cornwall's best and super-stylish wedding eve. . .
Make a date in your diary to visit Plympton's beautiful boutique, The Wedding Company, for their much-anticipated Charlotte Balbier Designer Event on the 14th and 15th of November.. . . 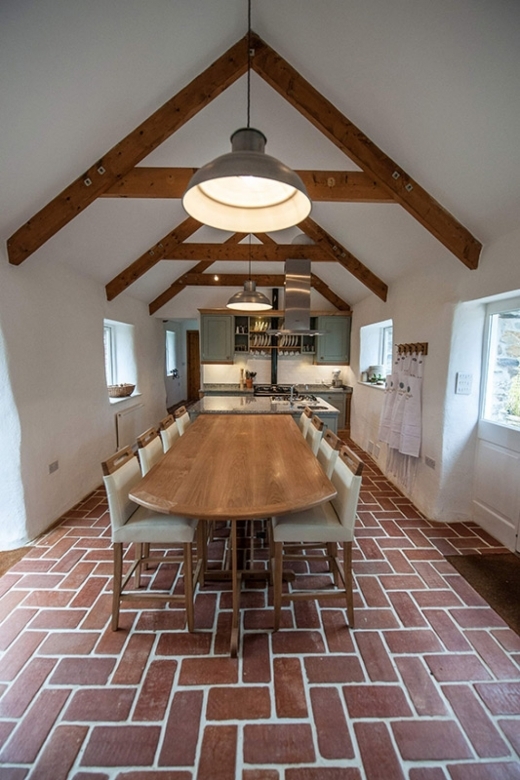 If you're looking to switch off in style for a mini 'moon before your main honeymoon, the Dairy Cottage on the country estate of Boconnoc in South East Cornwall is the ultimate i. . . The Ivory Secret is hiring! 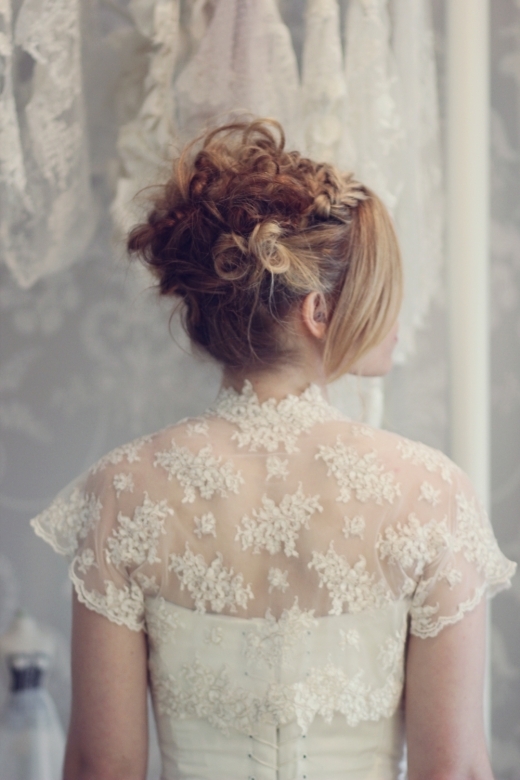 Fancy working in a super-chic bridal boutique? The Ivory Secret is currently looking for someone to take the reins at their Crediton boutique.In owner Eleanor's words: "We are look. . .
Feast your eyes on this spectacular 'Elegant Bride' shoot for some top bridal and venue style inspiration. 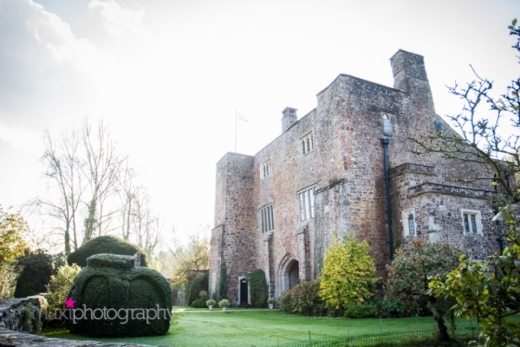 Shot on location at one of Cornwall's most captivating new venues, it w. . .
Visit the beautiful Bickleigh Castle on Sunday 16th November (10am-4pm) to see this spellbinding wedding venue in Devon.Imagine uttering your vows in their gorgeous thatched chap. . . If you haven't bagged your copy of the latest Wed Cornwall, then here's something that'll definitely whet your appetite.We're giving you an exclusive sneak peek into one of our f. . .
Spellbinding sunsets, autumnal blooms and romantically windswept locations mark another week in Wed World.Weddings in Cornwall and Devon continue to inspire and enthrall as coupl. . .
Get in the spirit for Halloween with this beautiful styled shoot showcasing some seasonally-inspired fashion and styling fresh from Cornwall's great outdoors and a team of top-no. . . This Week in Wed World presents a magnificent mix of show-stealing scenes.Some seriously loved-up couples have been captured up-close-and-personal on camera, expressing their uni. . . Pleased to announce that their celebrated Head Chef has been selected from no less than 30,000 applicants to take part in Masterchef's brillaint show, Langdon Court is receiving . 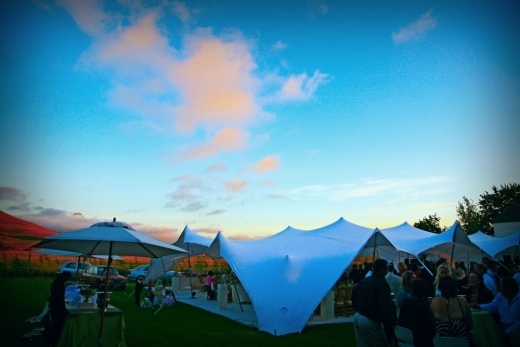 . .
Providing a plethora of show-stopping tents, The Beautiful Tent Co promises an awe-inspired - not to mention - super stylish - wedding under canvas. Their magnificent Mughal tent. . . The sky is the limit for specialist event management company Blue Sky Events, which offers a brilliantly bespoke service to make material your wedding day vision. Whether you're . . .
Bring bountiful stores of sunshine into your life with the latest, utterly fabulous edition of Wed Cornwall.Choc with all the ideas and inspiration you'll need to plan a beyond-d. . .
Showcase your wedding photos in sublime style with a leather photo album handmade in the heart of Cornwall from The Album Studio. Not only will the album look stunning, but, comb. 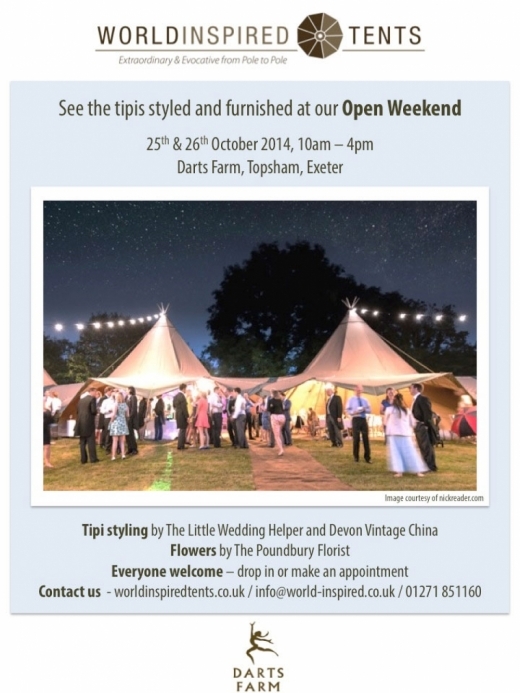 . .
Pay a visit to Darts Farm near Exeter for the wonderful World Inspired Tents Open Weekend this 25th-26th October (10am-4pm).Expect some marquee magic at this enchanting ev. 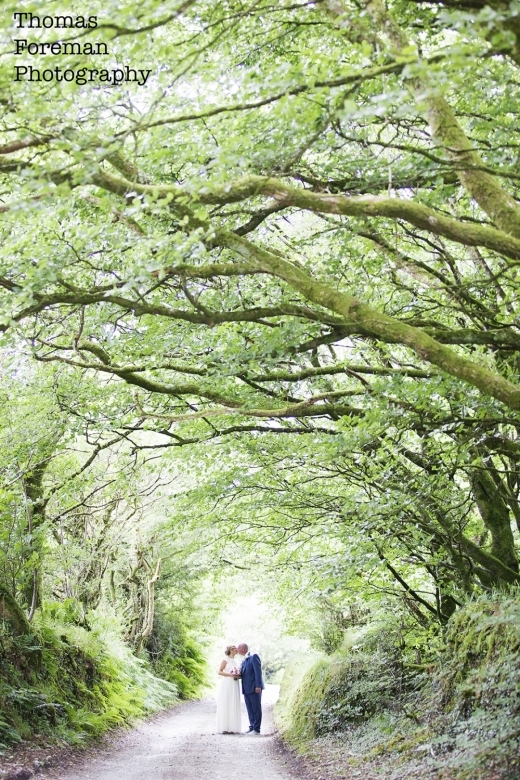 . .
Another week in Wed World, another stack of stunning images to swoon over.From castles to clifftops and woodlands to fields of wild flowers, this week'a weddings in Cornwall, Dev. . .
With a glorious selection of gowns spilling from the rails, County Cream Bridal House is a must-visit shopping destination for brides-to-be. And now, with the arrival of the 2015. . . 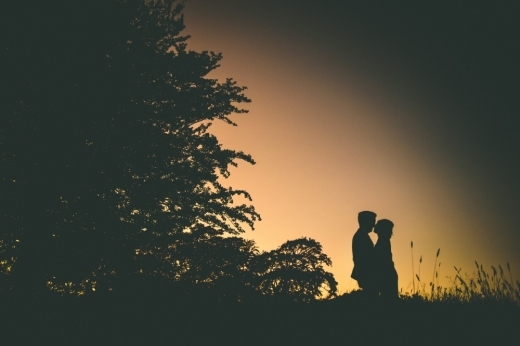 The Guild of Cornish Celebrants offer couples the opportunity to have the ceremony they desire – wherever and whenever you wish. Although the Guild is a new business, the duo behin. . . If you're still deliberating the soundtrack to your day, then look no further than the sultry sound of Johanna Graham.Armed with what can only be described a velvety vocals, Joha. . .
Hittisleigh Barton's heavenly wedding haven is pleased to announce a beautiful new addition to its already spectacular venue.Due to open next spring, their new fully licensed ven. . . 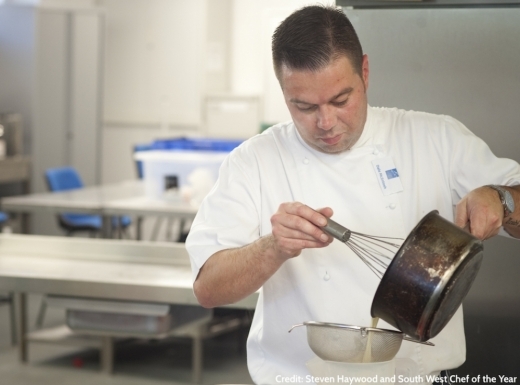 The head chef at Falmouth's Merchants Manor Brasserie - and one of Cornwall's most captivating wedding venues - Dale McIntosh, has made it through to the finals of the prestigious . 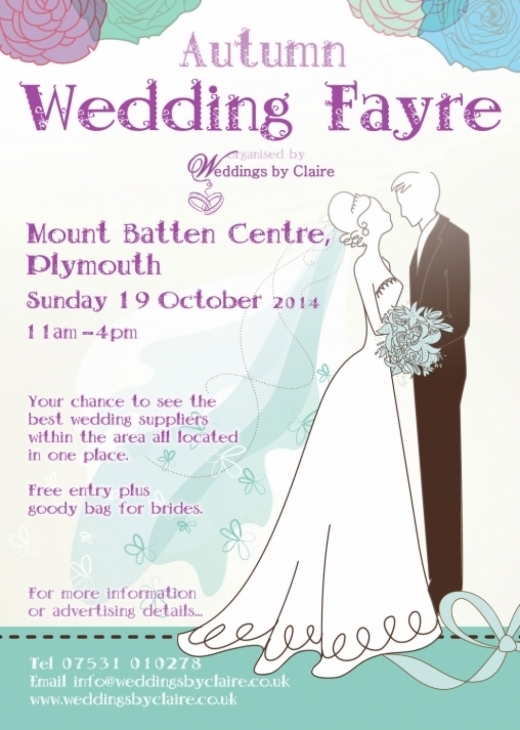 . .
Visit the Mount Batten Centre in Plymouth, this Sunday 19th October (11am-4pm) for a fabulous family day out at this fantastic wedding venue. The wonderful Waterside room can. . . 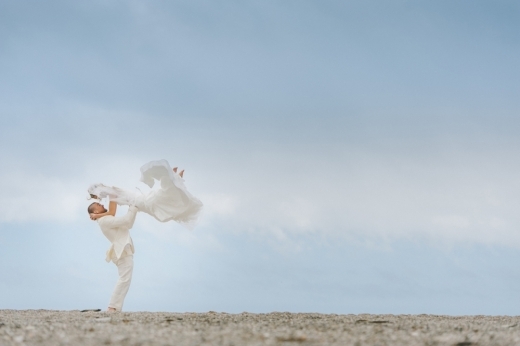 Wedding spirits remain distinctly undampened by the turn of weather, as couples continue to brighten autumn with some seriously swoonsome demonstrations of love.From beachside be. . . Check out this award-winning events venue this Sunday 19th October (11am-3pm) - which is currently undergoing a multi-million pound refurbishment - while meeting an array . . .
Visit Buckland's beautiful wedding venue on Sunday 2nd November (12noon-4pm) for this much anticipated event.Not only will brides and grooms-to-be be able to explore the gorgeous. . .
Don't miss a gorgeous afternoon of wedding elegance at the stunning Pentillie Castle on Sunday 19th October (12-4pm)This is your opportunity to explore the exquisite castle,. . . 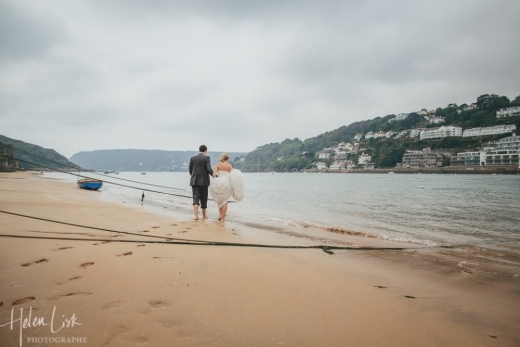 The autumnal change hasn't had a dampening effect on weddings this week, which have seen a spectacular array of enchanting scenes across the South West.From sun-kissed shores to . . . Introducing her spectacular and brand spanking new collection, milliner extraordinaire Holly Young's latest creations are simply to-die-for. From vintage-inspired headpieces to u. . .
Join the handmade revolution and make your very own beautiful brooch bouquet under the expert tutelage of Flourish's Helene and Jayne Cooke, who will expertly guide you during a . . . The Ivory Secret in Crediton is hosting an unmissable event over the weekend of 24th-25th October where brides-to-be will be able to see and try on Annasul Y's stunning new collect. 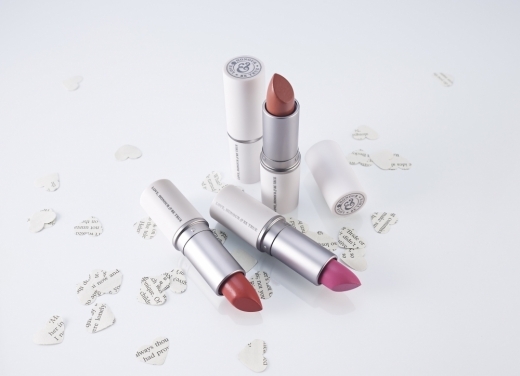 . .
Be your beautiful bridal best with a little help from the fabulous range from original make-up experts, Love, Honour & Be True.Weightless, moisturising and long-lasting lipst. . .
Get inspired with this week's wonderful gallery of wedding photos, where you'll find stunning locations, stylish attire and some seriously loved-up couples.Scroll through these h. . .
Claire Pettibone is coming to The Bridal House of Cornwall! Launching a to-die-for range of designer dresses, The Bridal House of Cornwall is fast becoming a force-of-nature fashion house as its list of lusted-after labels continues to ex. . . 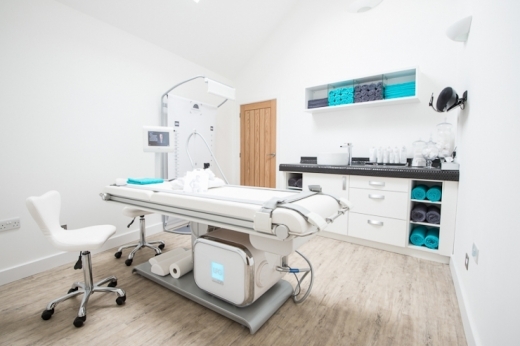 If you fancy some pre-wedding pamper time with your gal pals or hubby-to-be , then Exeter Golf and Country Club's fabulous new addition is a top box ticker.Wear Park Spa will ope. . . 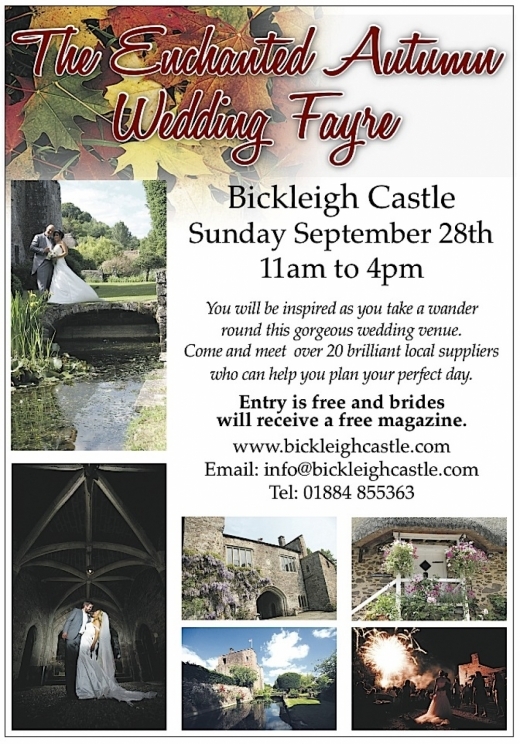 Treat yourself to a top day out this Sunday 28th September (11am-4pm) at Bickleigh Castle in Tiverton for their anticipated autumn wedding fair. 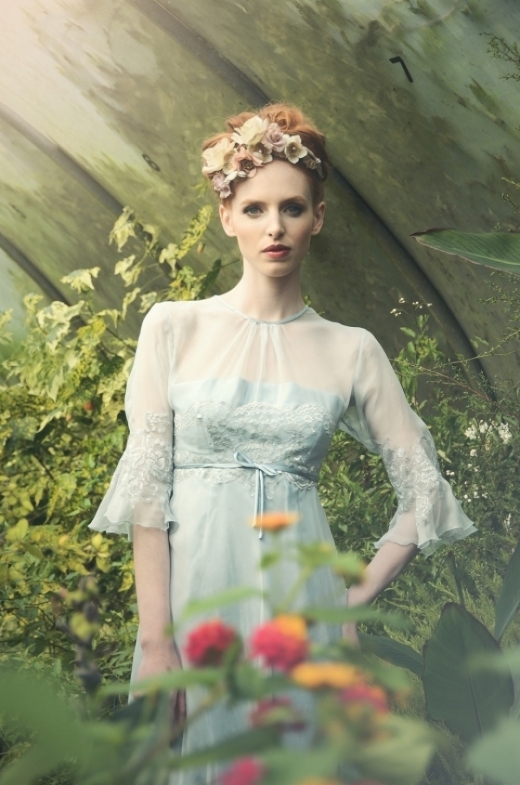 Gain inspiration aplenty as you t. . .
Brimming with designer wedding wear, The Ivory Secret has welcomed some stylish new additions to its gorgeous line-up of labels. 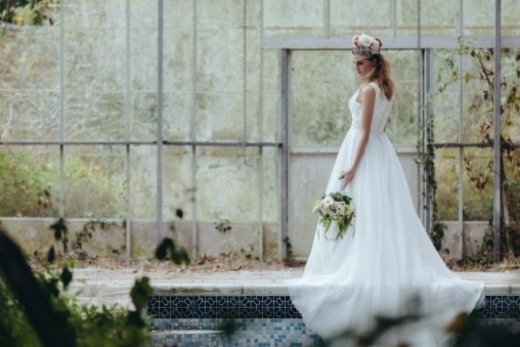 Now a hand-picked selection of couture gowns from b. . .
As one of Cornwall's fabulous new wedding venues reels from a busy summer of weddings, it also presents a brand spanking new website to boot!Nancarrow Farm is a cluster of lovi. . . 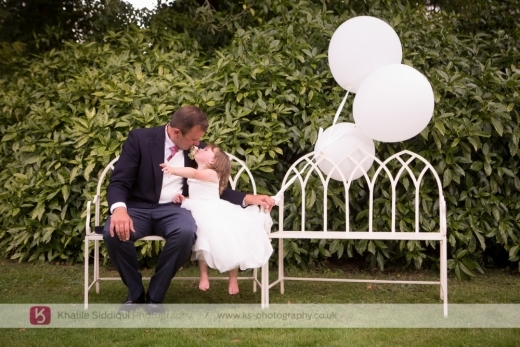 Photographers Libery Pearl are pleased to report a busy summer season of weddings, where their skills have been put to the test by a variety of events across the south west.For tho. 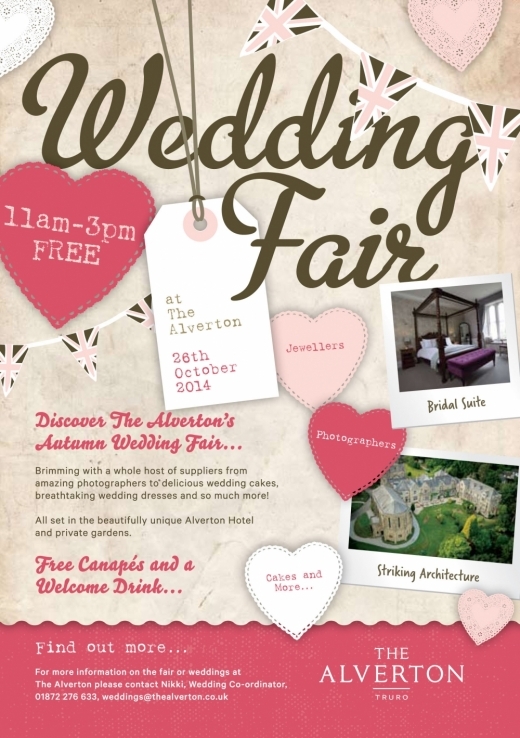 . .
Pay a visit to Truro's gorgeous private wedding venue, The Alverton on 26th October (11am-3pm) for a wedding fair that will present a feast of first rate suppliers and fabulous i. . . 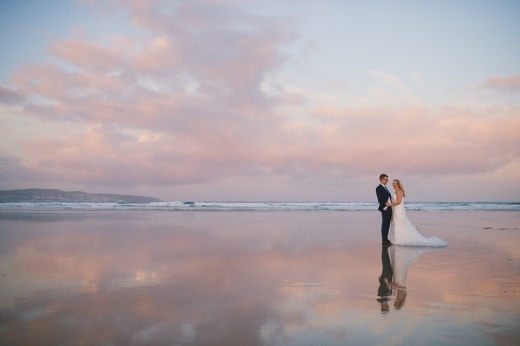 Wed World is bursting at the seams with the wow factor this week!Cornwall and Devon have been treated to a tantalising array of weddings as couples continue to enjoy the season's. 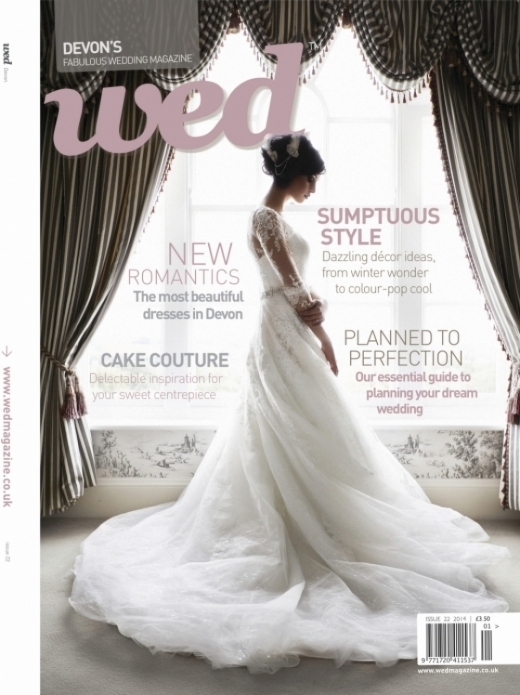 . .
Start the new season with style and pick up the latest copy of Wed Devon magazine - the county's biggest and best selling wedding magazine!The latest installment is something of . 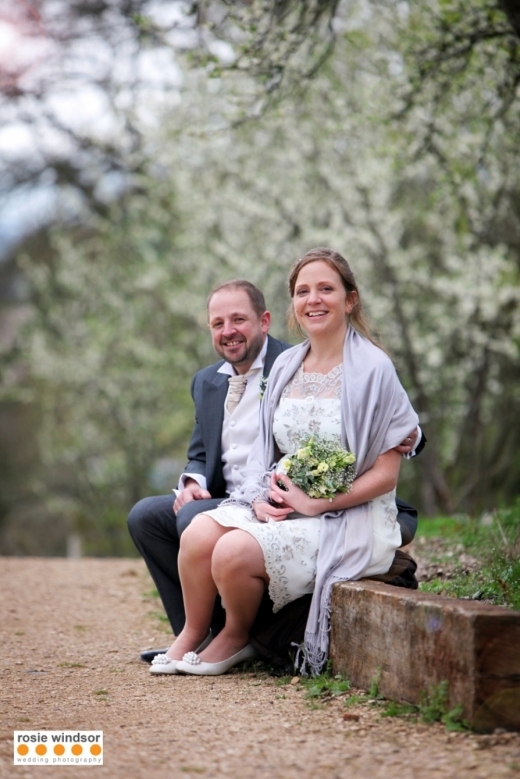 . .
Paul Keppel captures the atmosphere of your day with an acute attention to detail and a personal, relaxed approach. His stunning images speak for themselves by perfectly portrayi. 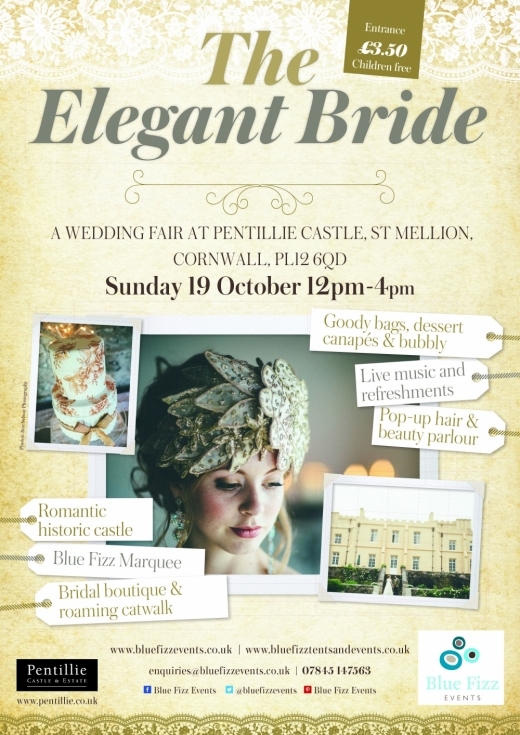 . .
Pay a visit to St Ives' Tregenna Castle Resort Hotel on Sunday 5th October (11am-4pm) for a fabulous fair with a delightful and distinctive difference organised by Super Du. . .
For showstopping bridal style, look no further than Pirouette's awe-inspired new Belle and Bunty collection. These incredibly feminine, form-flattering styles ooze glamour and a . . . 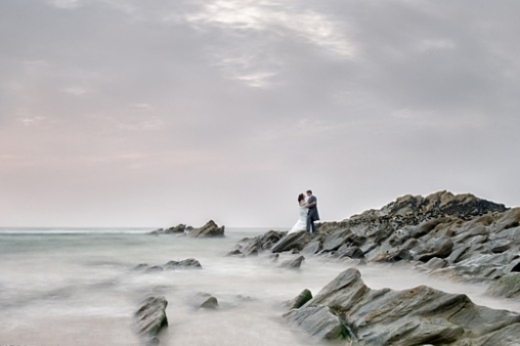 Weddings in Cornwall and Devon continue to captivate and inspire us at Wed Towers. 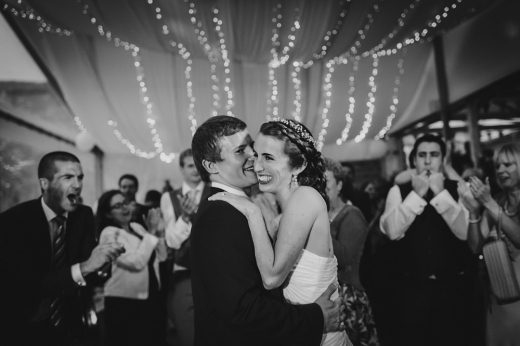 We've been inundated with images from the most recent - and wonderfully romantic - events over . . .
With over two decades of dedicated experience within the wedding industry, Martyn Norsworthy continues to deliver gorgeous albums stacked with stunning images.Based in South Devo. . .
For an enchanting backdrop to the dreamiest and most wowable of wedding days, look no further than the innovative and exclusive, Eden Project.Cornwall's captivating destination v. . .
A brilliant and brand new vintage hire company in Cornwall will ensure that your event is choc with character courtesy of its extensive range of cool and quirky accessories.Box and. . .
For brides on the hunt for their dream dress, some forthcoming wedding fairs will be awash with Pirouette's latest stunning collections to pore over. On 21st September, the bouti. 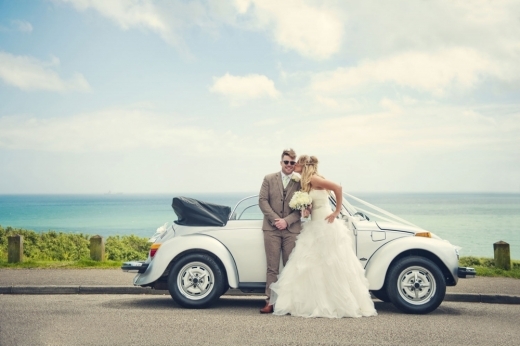 . .
For a wedding ride that guarantees individuality, style and fun, the VW Wedding Bug is a brilliant, statement-making addition to your day. Arrive to the cheer of the crowd courtesy. . . 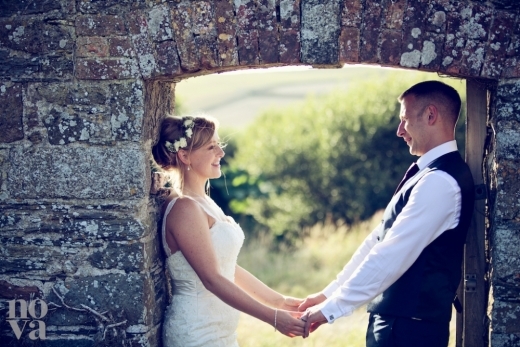 Brides and grooms-to-be will be well and truly inspired by these latest weddings that have taken place right here in Cornwall and Devon over the past week.From military to mariti. . . Ensure head-to-toe fabulousness by accessorising your bridal outfit with some exquisite handcrafted jewellery for true head-turning style.Papillon Rouge’s gorgeous pieces are indiv. . . 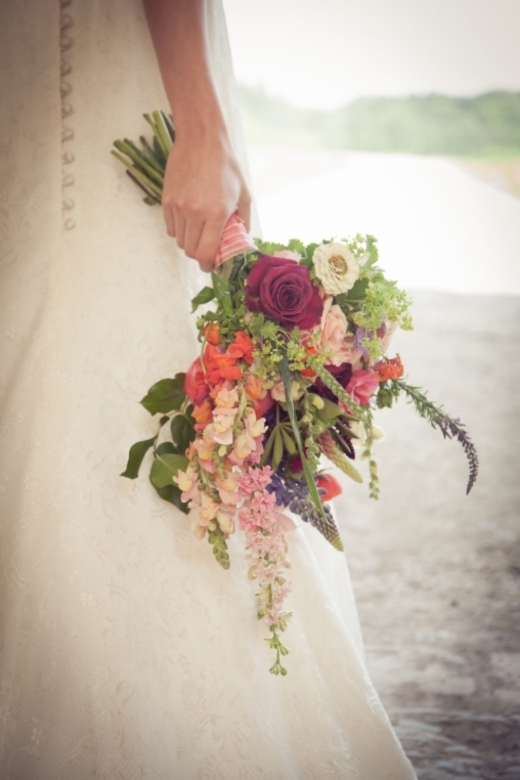 Experienced in everything from event styling to all types of wedding, Laura Hingston's fabulous floristry is testament to her innate eye, perfectionist approach and tailor made ser. . . 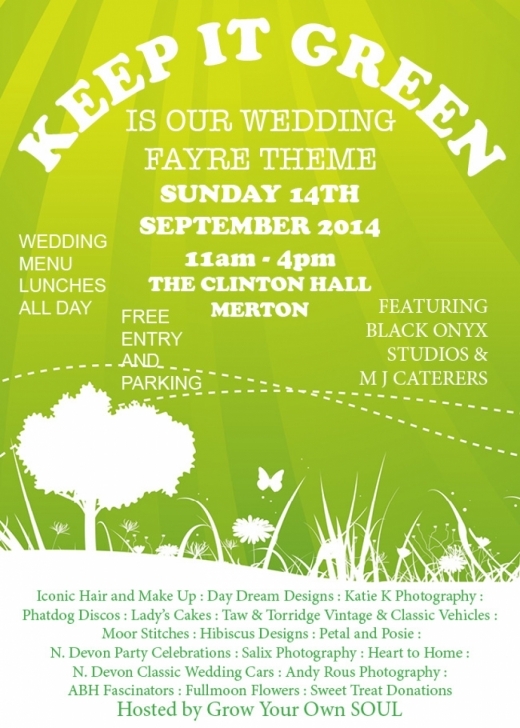 Hot foot it to The Clinton Hall, in Merton, North Devon this Sunday 14th September for a very special event. Taking place in the eco-friendly climes of The Clinton Hall, . . . 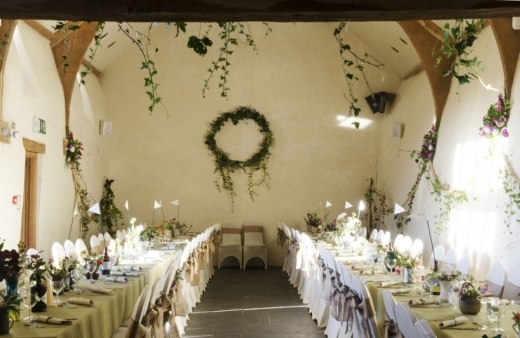 Stage the country wedding of your dreams in The Oak Barn's beautifully restored 18th century barn set in the rural heart of Devon in Hittisleigh Barton.Licensed for civil ceremon. 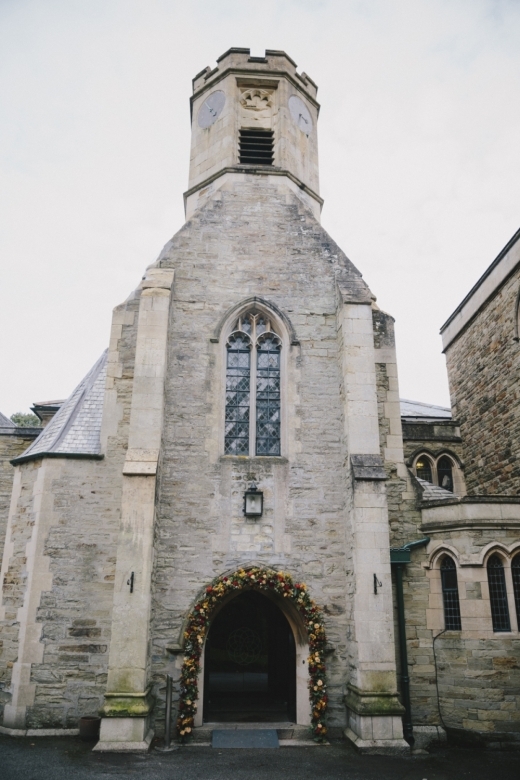 . .
See this stunning venue for yourself and discover more about Gwel an Mor’s flexible approach to your bespoke dream wedding at their Wedding Showcase on Sunday 14th September . . .
Another incredible week of weddings in Cornwall and Devon as the love continues to be demonstrated in the most stylish and swoonsome of ways.We've seen a wave of classic romance . . .
Hosting a fabulous Charity Bridal Catwalk on 11th September (7.30pm), Lavender Rose's exciting event will be raising vital funds for MacMillan Cancer Support while showcasing its. 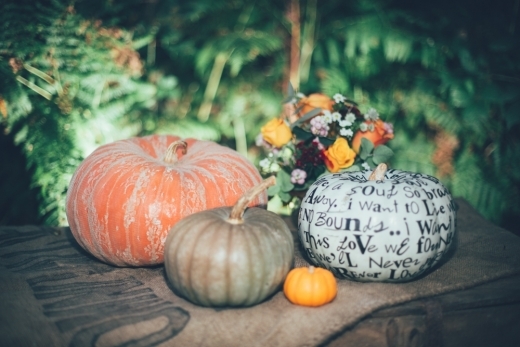 . .
As autumn looms on the horizon and wedding planning for 2015 and 2016 gears up, we're offering our readers a special treat to bring an extra slice of sunshine into your lives.&nb. . .
One of the oldest manor houses in Cornwall is hosting a special event in September to affirm its position as one of the county's most-wanted wedding venues. 800 year old Pen. . . Though summer may be winding down, weddings continue to up the ante by boasting oodles of style set against stirring backdrops across the south west.From sweeping seascapes to ha. . .
Head to Amica Bridal Boutique in Plymouth for their not-to-be-missed Ronald Joyce Autumn Preview on 6th and 7th September. With a brilliant 15% off the entire coll. . .
For a sweet sense of the sublime and a wedding day with a palpable dose of magic, Moorland Garden Hotel’s new Rose Arbour is an uber idyllic choice.Set in nine acres of landscape. . .
Hollywood screen siren, boho beauty or Fifties flirty? 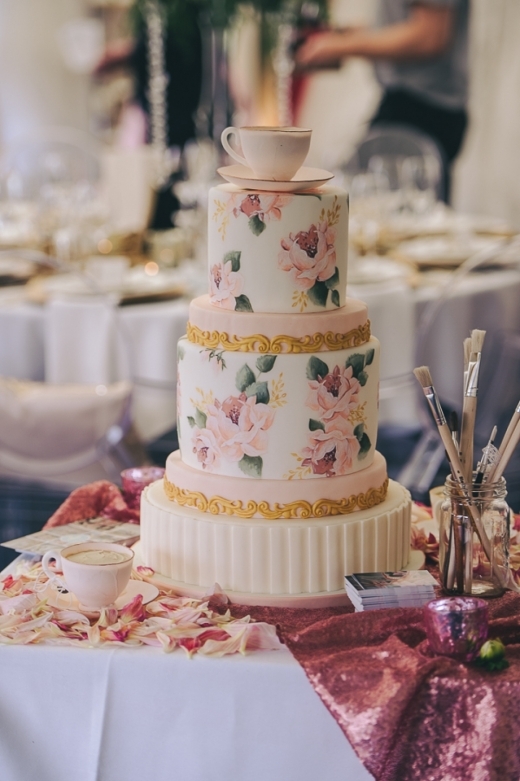 Whatever bridal look you're envisioning, The Pop Up Salon's team of expert are hair and makeup artists will achieve it with s. . .
Devilishly Delicious Cakes From Daisy, Molly and Me! 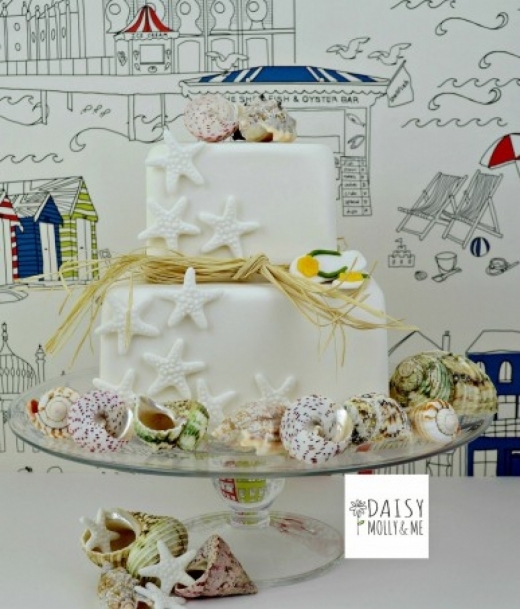 Creating lip-smacking cakes of the highest calibre, Torquay-based company, Daisy, Molly and Me are expert in all things sweet, baking beautiful bakes that'll guarantee a show-sto. . . 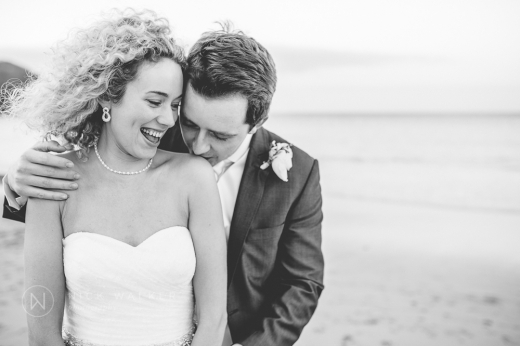 There's been a whole lotta weddings down here in the sublime South West this week - and a whole lotta love! 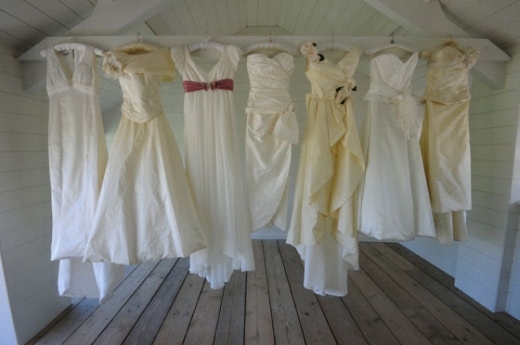 From country chic weddings in bunting-draped barns and manor houses in. . .
Having recently participated in an exclusive two-day event in Exeter for a special 'Photography World' shoot, Pirouette is proud to have supplied models and dresses in this stunn. 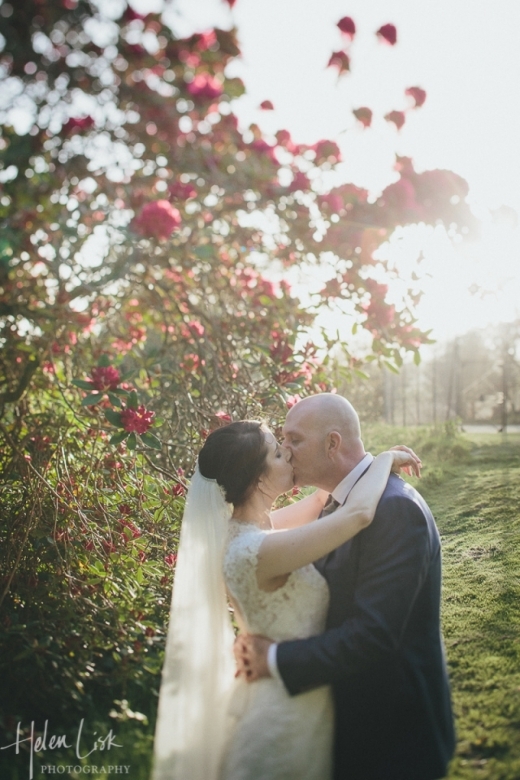 . .
From the sweet to the sublime, weddings in the South West this week have provided some seriously spellbinding scenes.Taking advantage of the season's sunshine, couples have been . . . 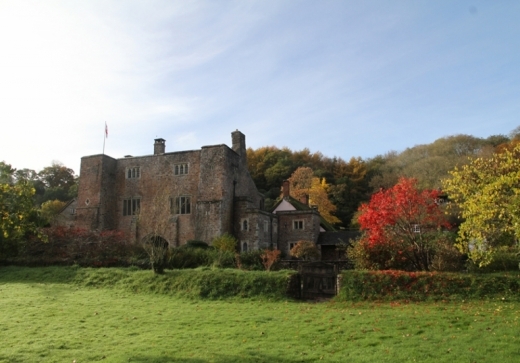 Fancy getting wed in a recently restored manor house amongst the dramatic backdrop of Exmoor that presents stunning scenery from every awe-inspired angle? Look no further than No. . . Deer Park's Big Balloon Entrance! Have you ever dreamt of making this type of entrance on your wedding day? 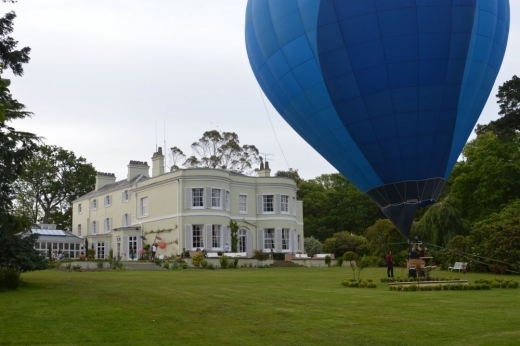 The beautiful Deer Park Country House Hotel in Honiton has teamed up with Bailey Balloons Ltd to p. . .
With so many couples ditching wedding convention in ever-so creative ways, why not change the day of the week you say 'I do' and save some money to boot?With The Horn of Plenty's. 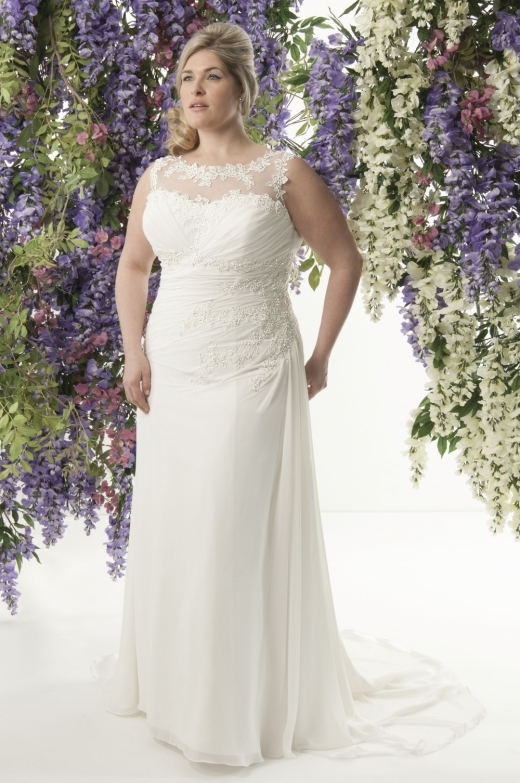 . .
County Cream is calling all curvy ladies to check out their stunning new Callista Bride collection during their special designer days on Friday 15th and Saturday 16th August.The . . . 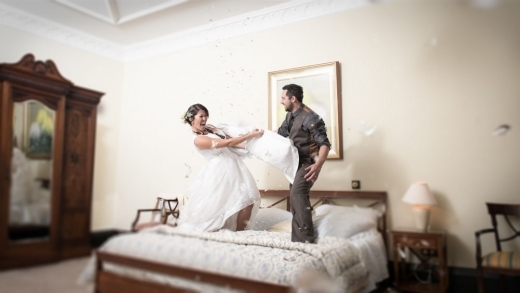 Win a flash-mob package from The Wedding Crashers! 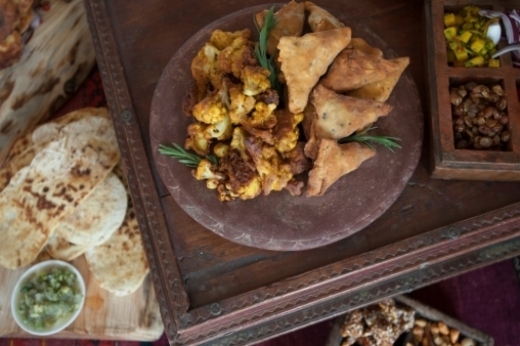 Everyone wants to wow their guests with something completely unexpected at their wedding. From singing waiters to choreographed first dances, it’s all the rage to sweep your gues. . . Check out this stunning shoot for the latest vintage hair ideas where some seriously swoon worthy headpieces and spectacular hair styles come together for a formidably stylish lo. 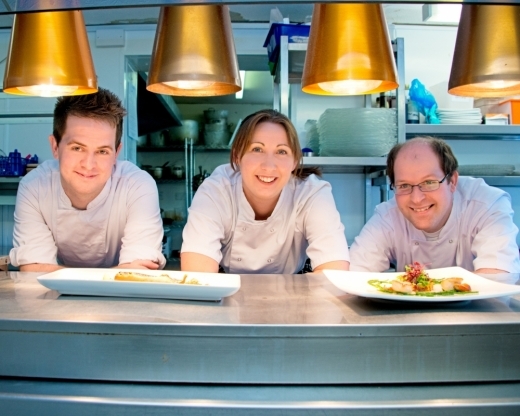 . .
Set in one of North Cornwall's most prized coastal positions and famed for its first rate food courtesy of celebrity chef, Jamie Oliver - Fifteen Cornwall boasts an array of lead. 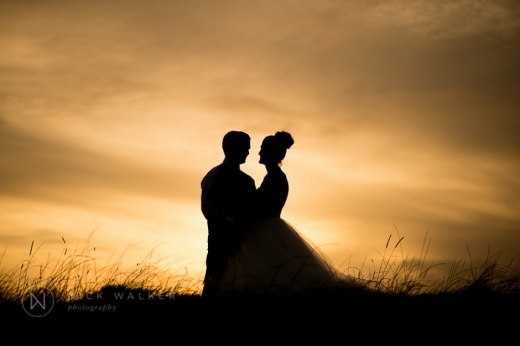 . .
We've been well and truly spoiled here at Wed Towers with these incredible images fresh from this week's loved-up events.As weddings in the South West continue to enthrall and in. 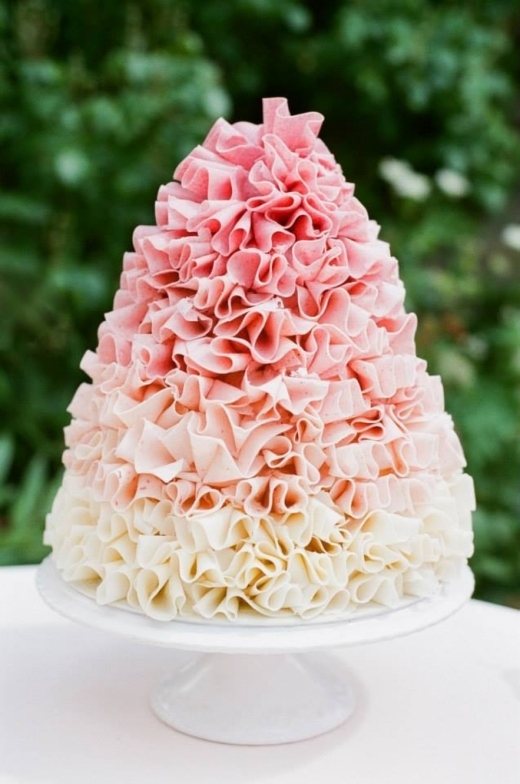 . .
From miniature chocolate cakes to ombre ruffled tiers and all handmade, bespoke and organic - The Natural Cake Company's brilliant bakes are truly to-die-for.Creating show stop. 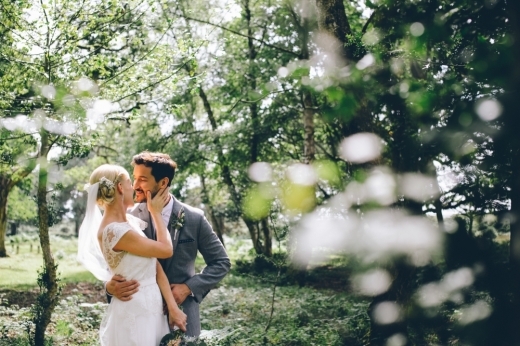 . .
Don't miss out on the dreamiest of days at one of Cornwall's most magical venues which is currently offering a whopping £1000 off selected winter wedding dates. With a few dates . 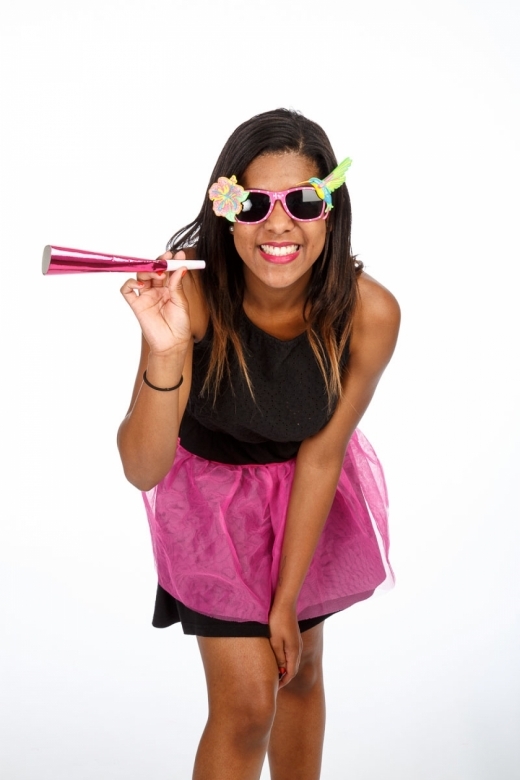 . .
Have a girls' night out to remember by dressing up in pink! This October, Breast Cancer Awareness Month, Breast Cancer Care is calling on every bride to be across the UK to r. . .
What a week! 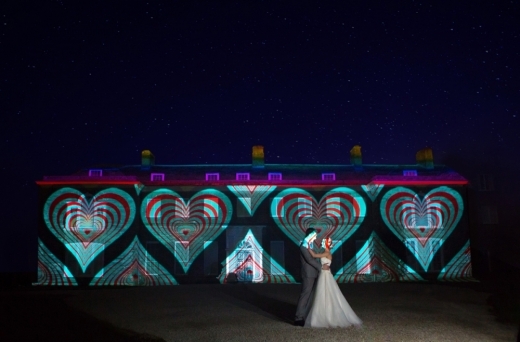 Couples have been flexing their creative muscles to organise some truly inspiring and imaginative events across the South West, tying the knot in some wonderfully su. . .
Sensitively and expertly documenting the range of emotions and characters to perfectly portray your day, Picshore works to capture the natural atmosphere to ensure a stunning and. 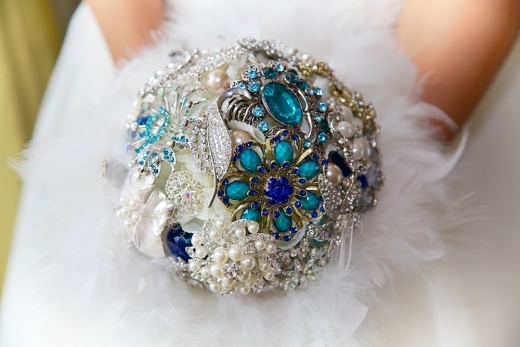 . .
For something dazzlingly different, clutch a brooch bouquet on your day of 'I dos' and add a brilliantly bespoke twist to the traditional classic accessory.Born from a careful re. . . Welcome to an exclusive sneak peek into one of our latest - and most fabulous - photo shoots! 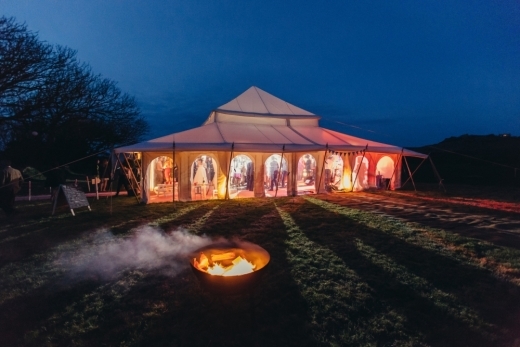 Captured on stunning location at Cornish Tipi Weddings, the spellbinding scene was s. . .
Planning the perfect wedding can often see brides flit between various stages of pleasure and pain. 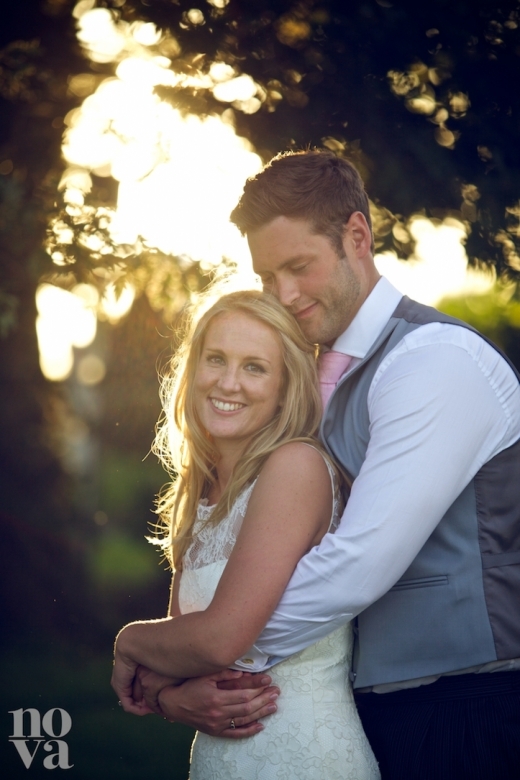 Exeter Golf & Country Club's wedding planner, Harriet Weeks, shares her indi. 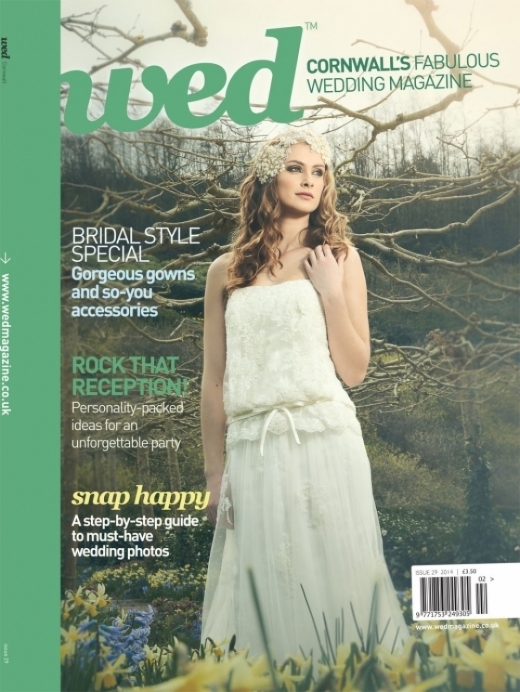 . .
As Cornwall basks in glorious sunshine, it seems appropriate that the latest issue of Wed Magazine celebrates the joys of a wedding in the great outdoors! From '50s inspired brid. 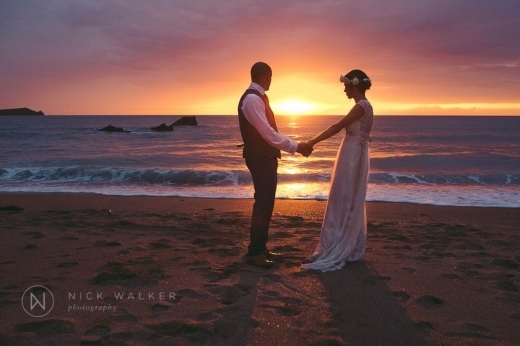 . .
As the latest heatwave hits our shores, temperatures continue to soar in a number of ways as weddings up the romance factor to an all-time sweltering high.From Cornwall to Wiltsh. . .
Get set for some serious W-Day inspiration courtesy of one of the industry's finest style gurus whose latest lookbook is chock with incredible ideas.Elle Winsor-Grime of Inspire . 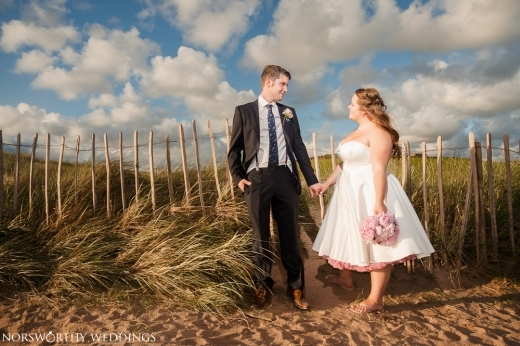 . .
We're loving this weather - and we're loving this gorgeous styled shoot, which took place on a wonderful summer's day at Hayle Sands. 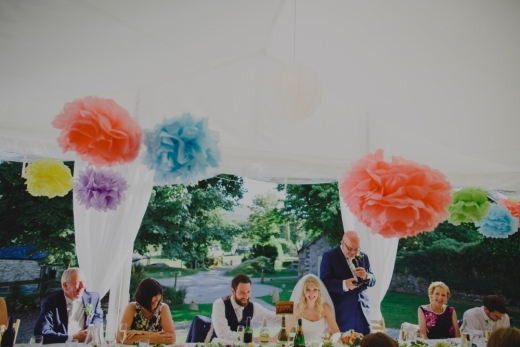 Here, wedding planner Jenny Wren reveals the. 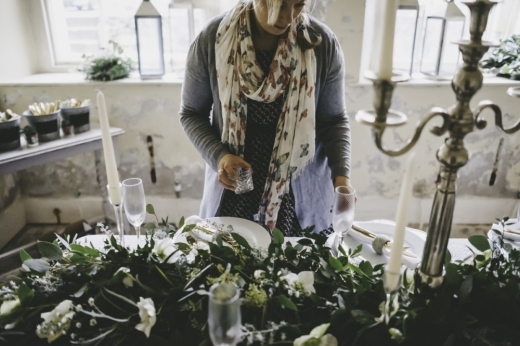 . .
As Pengenna Manor, one of Cornwall’s most exciting new venues, nears completion, a team of wedding suppliers have collaborated to capture this gorgeous styled shoot in the ground. . . 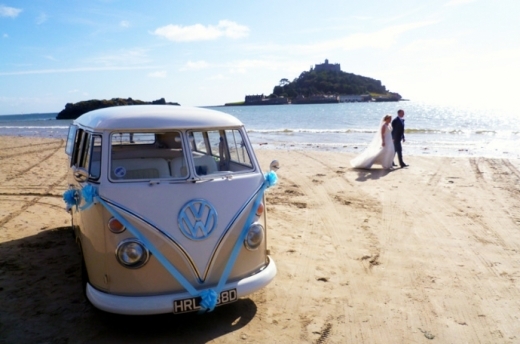 Pleased to announce a brand new addition to their gorgeous range, Lavender Rose is now home to Maddy, the latest collection from designer Natalie Gladman, the owner of Madeline I. . .
Cornwall VW Wedding Hire comprises a fabulous fleet of classic vehicles that'll transport you in seriously swoonsome style. From their infamous VW splitties Romeo and Juliet to the. . . 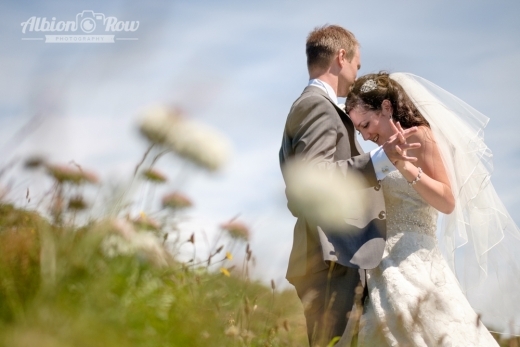 Working closely with couples to ensure a dreamily distinctive day, weddings at The Llawnroc are individually tailored to your requirements for a wonderfully unique and personal af. 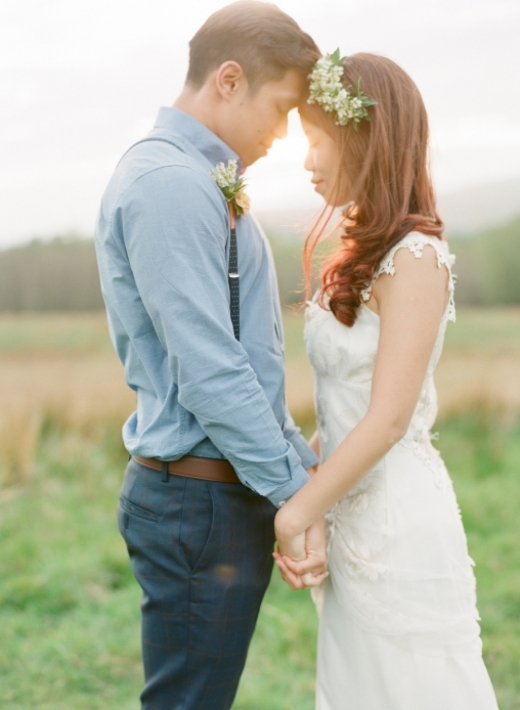 . .
Another week, another swoonsome selection of weddings! 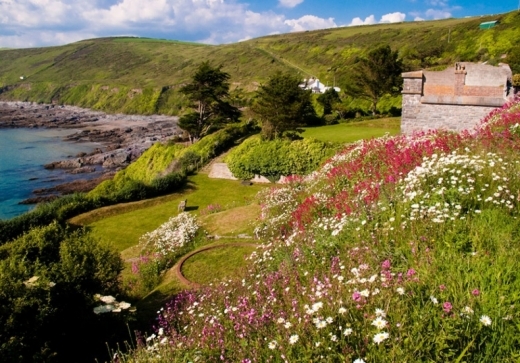 From enchanting elopements in the far west of Cornwall to large-scale extravaganzas in the idyllic climes of Devon, each an. . . 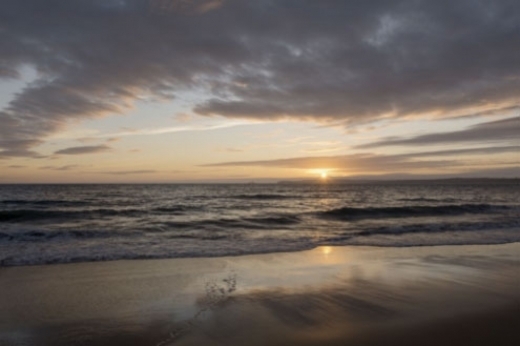 Dedicated to snapping each day's dazzlingly distinct sunrise, The Day That specialises in capturing the atmosphere of momentous days by creating stunning images that make for cov. . . 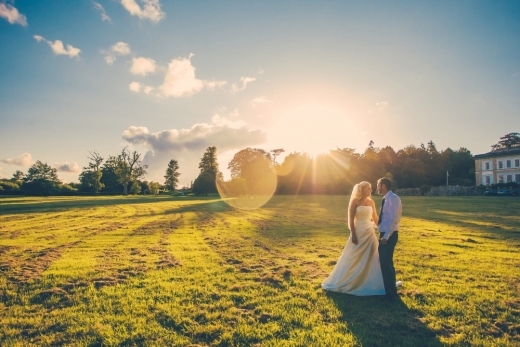 Become the Lord and Lady of your very own Devon country manor with £450 off exclusive-use weddings at the breathtaking, Buckland Tout-Saints.By choosing this option, you will ens. . . It's been a truly inspired week of weddings here in the South West as couples have been uttering their vows and celebrating their union in unique style.Showcasing Cornwall and De. . .
New capsule collection from The Wedding Garter Co. 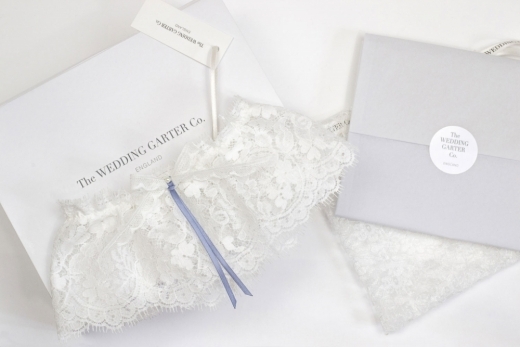 The Wedding Garter Co, designers of luxurious bridal garters, has announced the launch of a capsule lace collection. Hand made using the finest lace sourced from a long-standing . 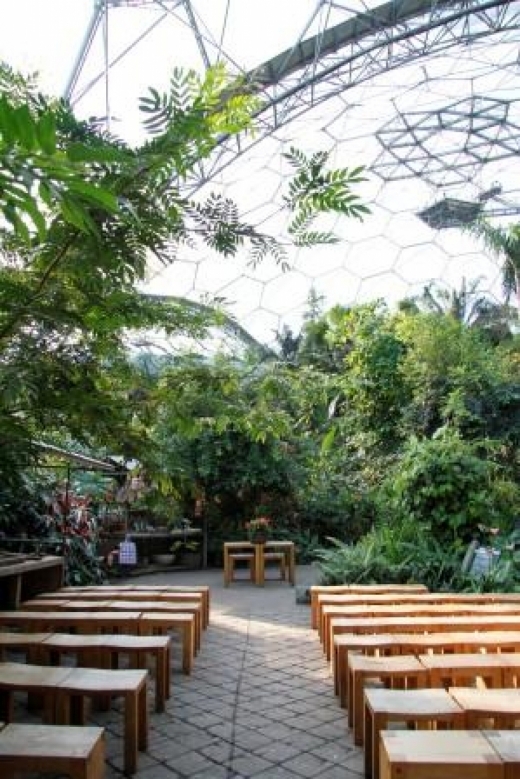 . .
Hosting a special winter wedding package for 2014 and 2015, the Eden Project presents a spellbinding seasonal setting full of exotic magic for a tropical take on the traditional . . . 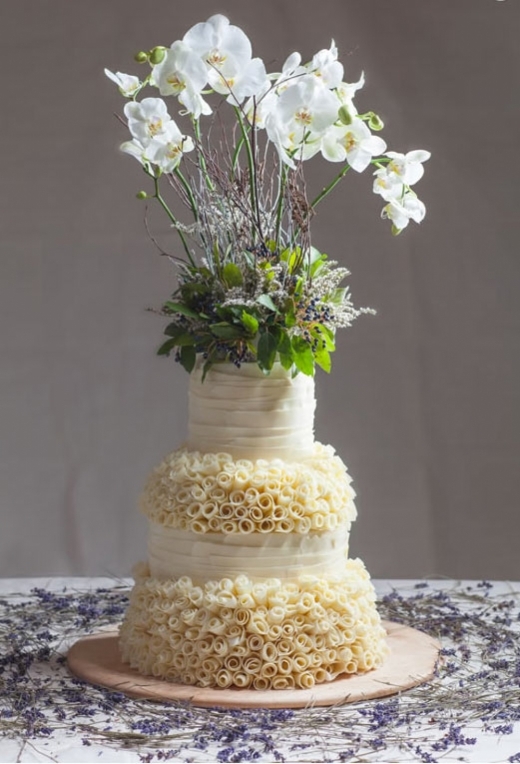 Handmade, bespoke and organic - The Natural Cake Company's brilliant bakes are truly to-die-for.Creating show stopping centre pieces that will provide a feast for both the eyes a. . . 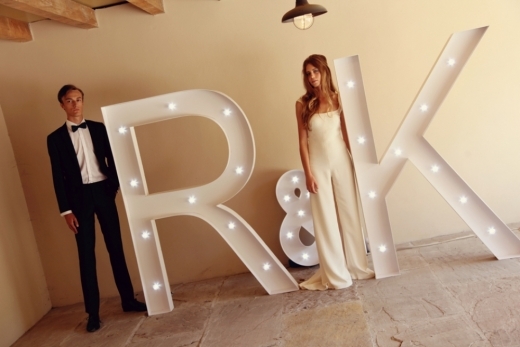 Illuminate your day in spectacular style with light-up letters and spell out your love in a unique and memorable way.Super Duper Vintage Events' new light hire service, Say It Wi. . .
Make your own fascinator with Holly Young! Join the DIY bandwagon and make your own heavenly headwear with one of Holly Young's fascinator kits.With each kit containing everything you need to design and create your very o. . .
Join Sam Cox Bridalwear for their spectacular 'Bubbles & Buy' sample clearance days from Thursday 10th July - Sunday 13th July on Plymouth's beautiful Barbican.With the. . . 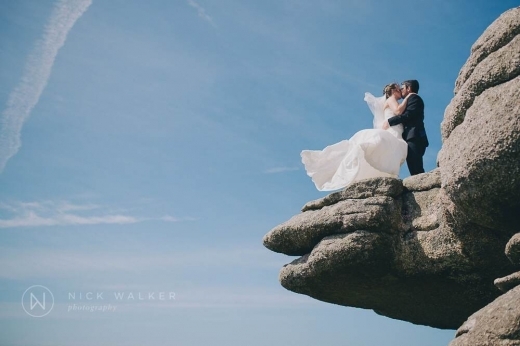 Prepare to swoon at these spellbinding shots from weddings across Cornwall, Devon and Somerset this week as we continue to be spoiled with inventive, imaginative and idiosyncrati. . . The latest must-have wedding craze sweeping Devon and beyond is a head-turning accessory that will add an extra wow factor to your day: fireballs!A modern and magnificently eye cat. 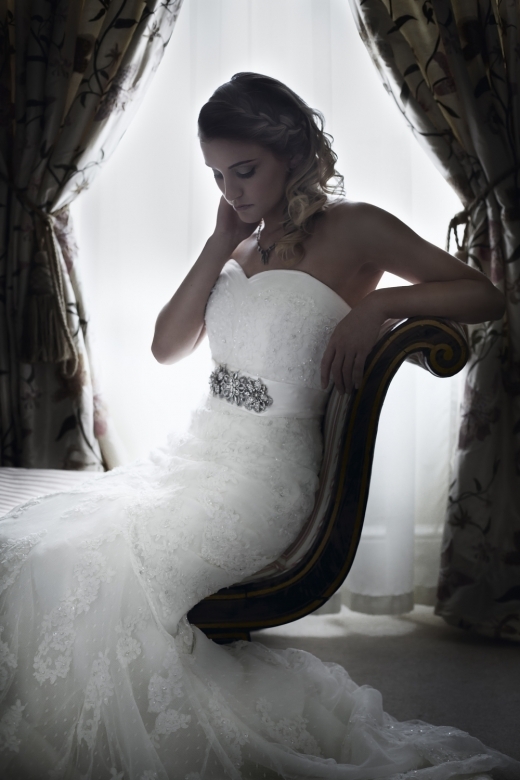 . .
Don't miss County Cream Bridal House's designer day on 12th July where they will be showcasing the stunning new Ellis Bridals collection as well as hosting some spectacular deals. . . Imagine hosting your humanist wedding ceremony or wedding breakfast at a venue steeped in a palpable sense of enchantment, where endless space, corners and quirks allow you to cr. . . 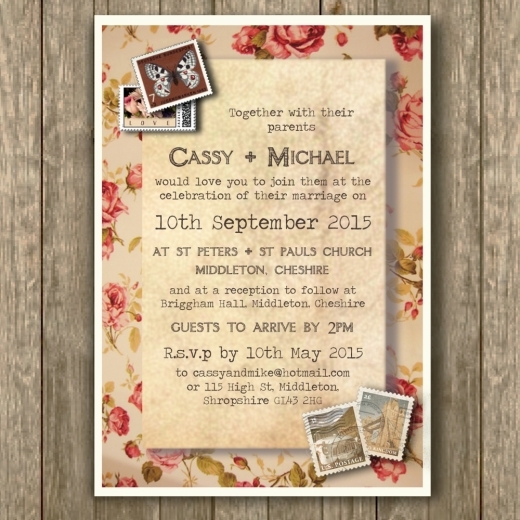 Introducing their stunning new range of digital invitations, Knots & Kisses continue to create dazzling designs as they extend their stunning stationery offerings.Presenting . . . 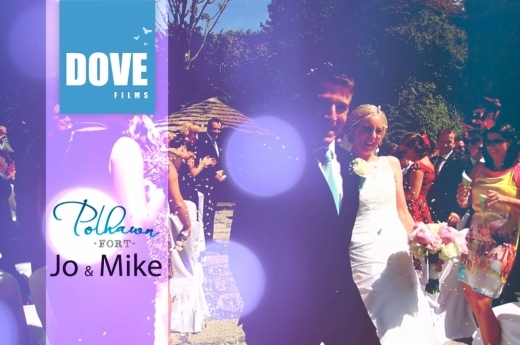 Contemporary, innovative, artistic: these are the hallmarks of Cornish wedding film company, Dove Films. 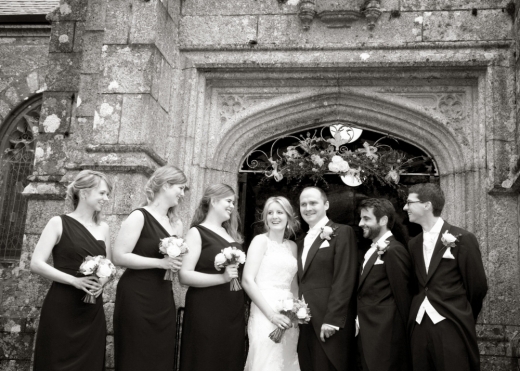 Brothers Alex and Joel have amassed over a decade of dedicated experience w. . .
Devon's historic 16th century manor house continues to charm couples with its lovingly restored interior and idyllic grounds. 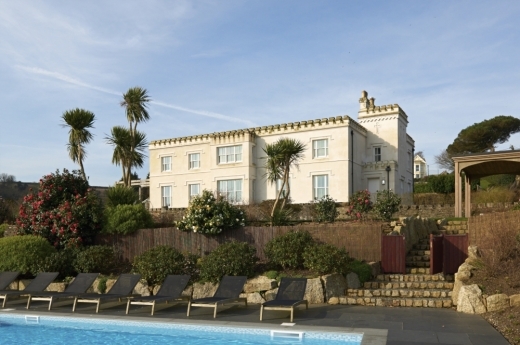 Located in the South Hams area of south Devon near P. . . 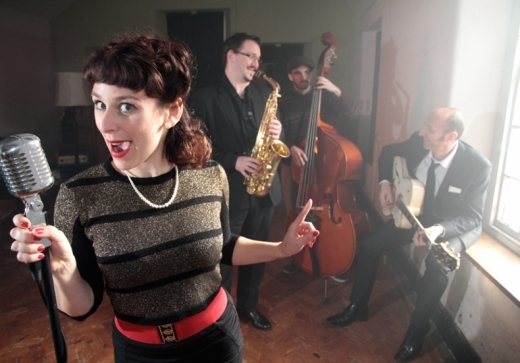 Entertain your guests with all the glitz and glamour of a beautifully bygone age with the sweet and sultry sounds of vintage band, Some Like It Hot.Led by vocalist 'Molly the Mo. 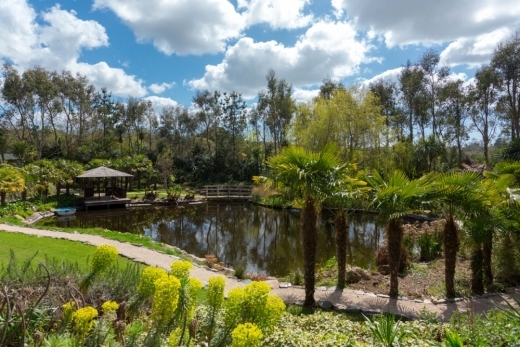 . .
As summer continues to spoil us with a bounty of sunny days and hot nights, weddings in Cornwall and Devon have capitalised on the season in style.From stunning sub-tropical gard. . .
Specialising in the storytelling side of weddings, Gilbert & Evans captures the candid moments of your day to reveal the characters and atmosphere with stylised flair.The marri. 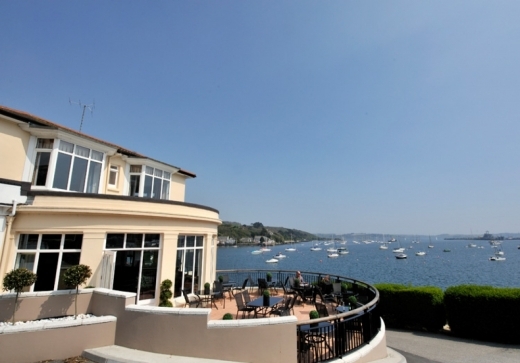 . .
Get wed by the water at The Greenbank Hotel in Falmouth where the sea meets the sky and the sound of water gently lapping against the harbour provides a serene and elegant settin. . . The rails at The Wedding Company in Bodmin are awash with an amazing array of new bridal wear - including new collections from designers White Rose and Venus.Also currently hosti. . . Discover an insanely delicious experience at Boringdon Hall and treat your gal pals to a divine day out for an ultra memorable hen party.Enjoy the gorgeous 16th century country m. . .
Make a date in your diary for this not-to-be-missed event on Sunday 13th July (11am-4pm) to check out one of Devon's most captivating coastal wedding venues.Their fully refu. 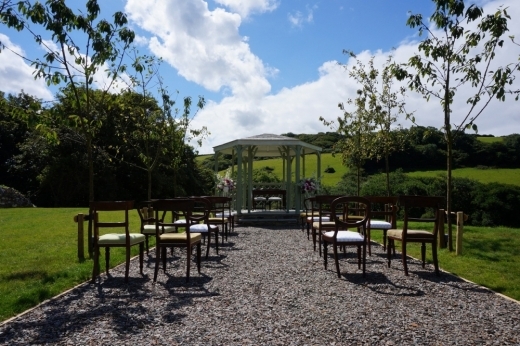 . .
Sunday 6th July from 1pm Visit Langdon Court, an exquisite countryside wedding venue in Down Thomas, near Plymouth at this must-visit event. Sip on a glass of Prosec. . . Win a Hen Weekend in Bath! Treat your hens to an unforgettable weekend away in Bath: one the country's most celebrated cities. And with the brilliant Bath Boutique Stays – whose impressive portfolio of pro. . .
Oozing romance and fashion-forward detail, we're loving 'Siren Song', the brand new collection from bridal designer Terry Fox. The exclusive range combines fabrics, layers and lo. 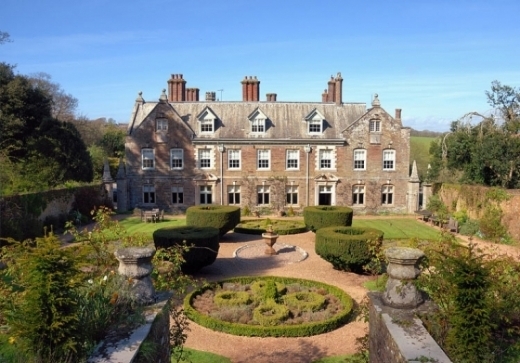 . .
Take a tour of Buckland Tout-Saints' beautiful country manor house hotel on Thursday 10th July (5-8pm), which is nestled in the glorious Devonshire countryside. Providing ins. 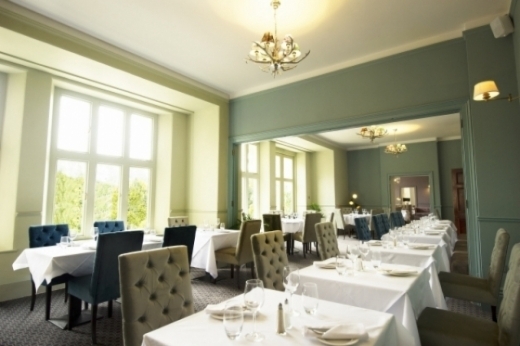 . .
Cornwall’s awe-inspiring wedding venue, The Alverton, continues to dazzle guests with its gastronomy courtesy of its beautiful destination brasserie.Introducing a brand new Head . . . Whether you're kicking back on the sofa after a long day's work or heading to the beach to enjoy the summer sun - don't forget the ultimate accessory du jour: your latest copy of. . .
50% off boudoir shoots with Kensa Boudoir! Indulge in a very special pre-wedding pampering experience by booking a boudoir photo shoot with Kensa Photography. Currently offering Wed readers a whopping 50% discou. 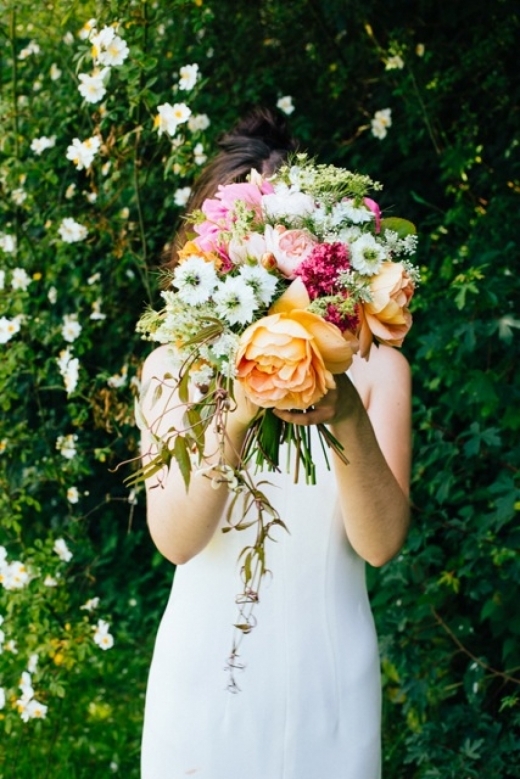 . .
As British Flower Week celebrates the nation's floristry in style, it presents brides-to-be with a bevy of beautiful inspiration for their own W-Day blooms.To commemorate the wee. . .
What an incredible week! 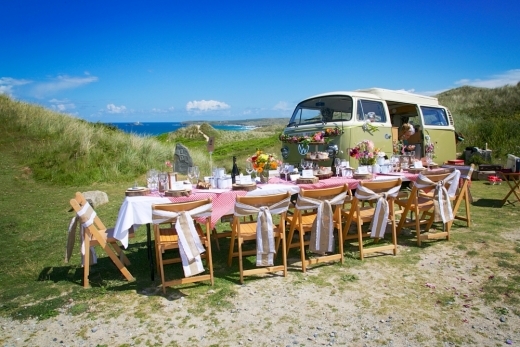 As we're spoiled with sunshine, weddings in Cornwall and Devon continue to contain all the magic befitting summer events in the awe-inspiring far w. . . Fancy some hot wheels for your wedding day? Family run Cornish company, Treverbyn Cars have got transport classily covered with their fleet of fabulous cars. Offering unique and . . .
Busy creating bridal beauties fresh from their brand new Truro Spa, the team at Aqua is pleased to announce their latest exciting promotions and news. With City Recovery Facials . 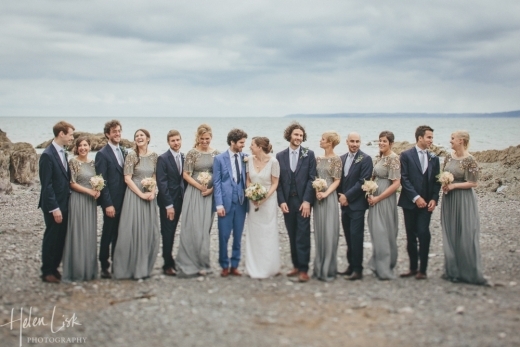 . .
Make a beeline to Plymouth's Barbican where Sam Cox Bridalwear is currently hosting a spectacular Jenny Packham sale.Offering 50% off all full priced accessories from the c. . .
Visit Killerton Village on Saturday 21st & Sunday 22nd June (10.30 – 6pm) for an exciting wedding event like no other. &nb. 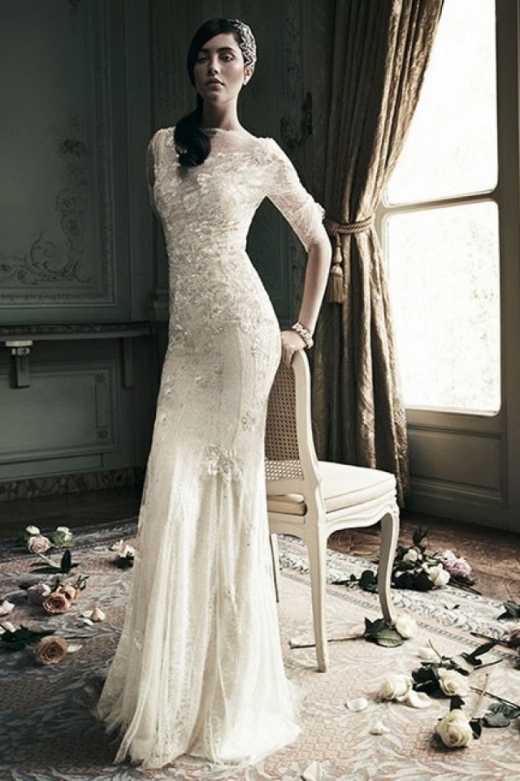 . .
Don't miss Sam Cox Bridalwear's brilliant promotion on Saturday 14th June, when all full price dress purchases will receive a 20% discount off the full price.Stocking a stunning . . . 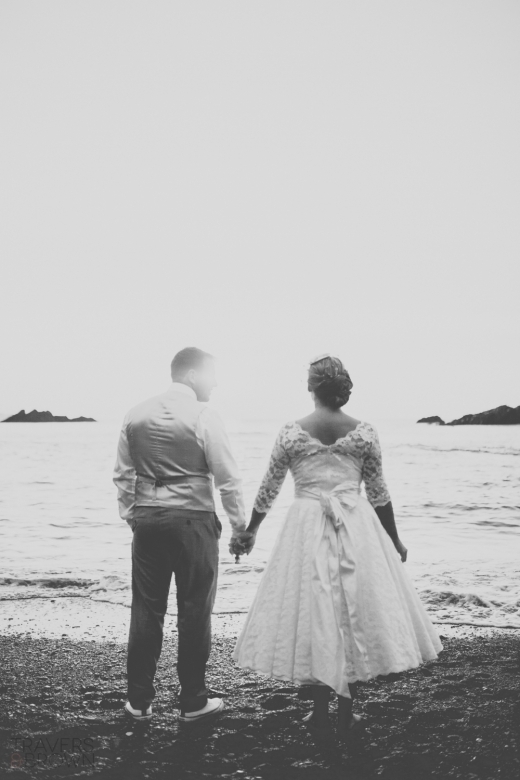 It seems like summer has well and truly arrived, and weddings throughout Cornwall and Devon have captured the season's bright and sunny mood, presenting a myriad of majestic mome. 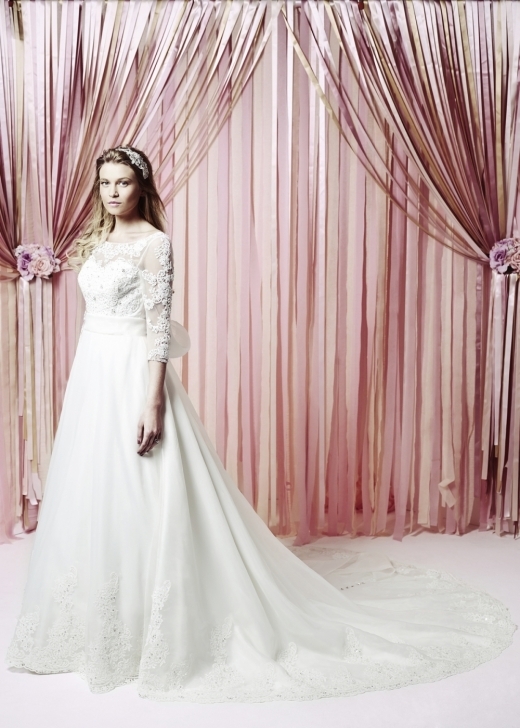 . .
Amica Bridal Boutique in Plymouth is the first Premier Stockist of the Ronald Joyce collection in the UK.Presenting an exquisite collection of fairytale dresses featuring the lat. . . 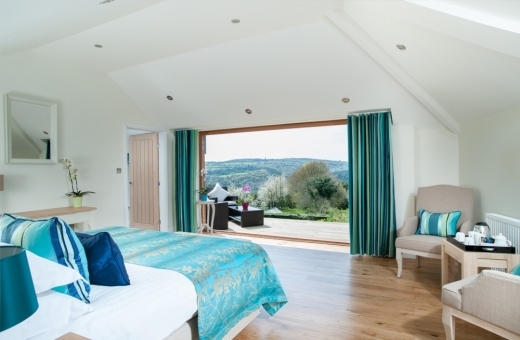 Award-winning country house hotel The Horn of Plenty has unveiled six additional luxury rooms with spectacular views. Whether you're planning a wedding and desire top -otch accom. 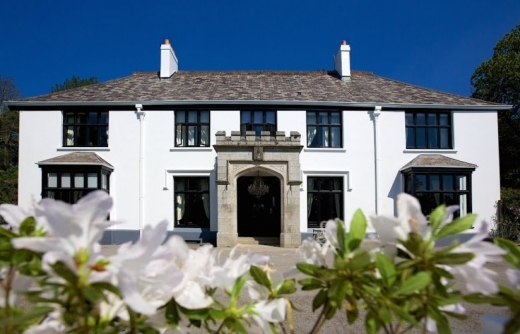 . .
Don't miss this fun-packed event at Penzance's Trereife House on 15th June (11.30 - 4.30pm) where summer weddings will be celebrated and showcased in supreme style.Featuring over. 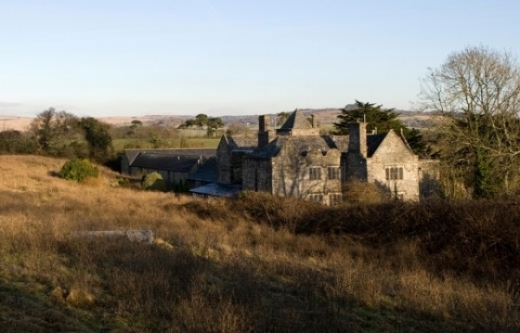 . .
Tucked away in Lanteglos-by-Fowey, Tredudwell Manor is a magnificent historic house set in spellbinding scenery that provides a magical setting for your day.Currently offering . 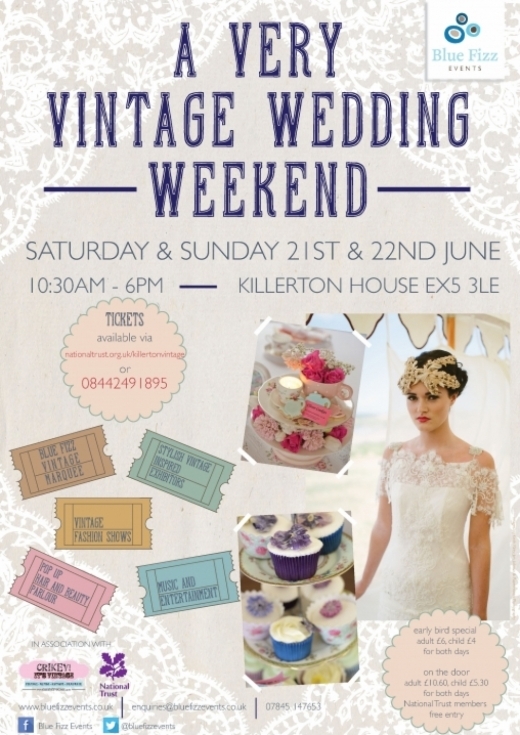 . .
Hosting a spectacular sample sale throughout June and July, Kate Walker Bridal in Honiton will be selling a range of exquisite sample gowns to make way for the brand new Charlott. 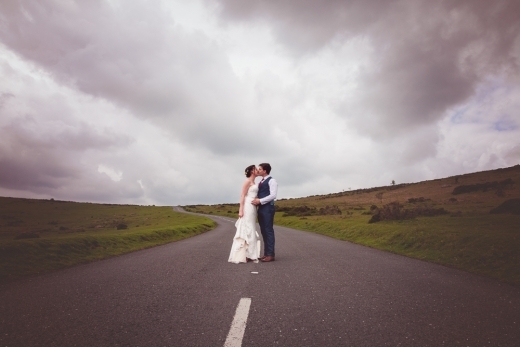 . .
What an incredible week!Weddings in Cornwall and Devon never fail to inspire, excite and enthrall as some sweetly stolen scenes of love and romance form one of our most swoonsome. . . 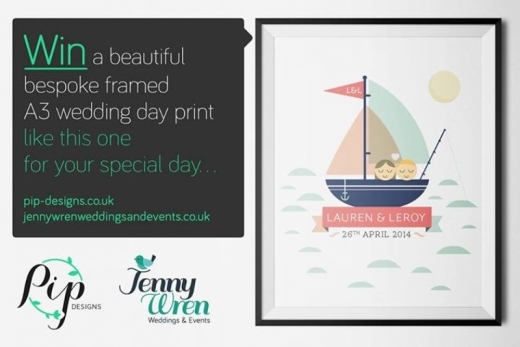 Win a bespoke wedding print with Jenny Wren! Jenny Wren is offering Wed readers the chance to win a personalised wedding day print created specifically for you by wedding stationery designers, Pip Designs.All you have to do. . .
Join the team at County Cream for a dazzling Designer day out on 14th June when you will be treated to some seriosuly trending style courtesy of the latest Opulence and Romantica. . .
Make a date in your diary this weekend 29th May-1st June for The Wedding Company's exciting event, where the whole Sophia Tolli Fall Collection will be showcased during an exclus. 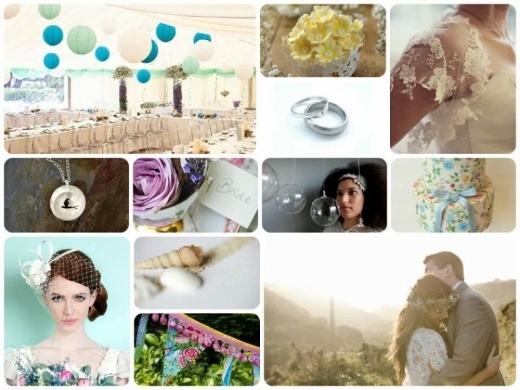 . .
We've been spoiled for choice with weddings this week at Wed Towers, with an amazing array from across Cornwall and Devon to pick from.The latest events have been an inspired and. . . 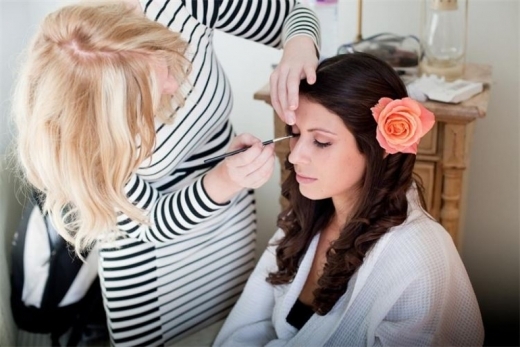 Treat yourself to some pre-wedding pampering at one of the county's top beauty salons where you can relax, reboot and reawaken your look and senses to spellbinding effect.Demoda . . .
With Ladies Day at Ascot looming, Cornwall's top milliner, Holly Young, has been busy producing some gorgeous head wear that can be hired for summer events and weddings in order . . .
What a stunning week of weddings, and every one as individual as the couple!Packed with personality and taking place at some seriously swoon-worthy venues, weddings in Cornwall a. . .
Don't miss the huge designer sale at Amica Bridal Boutique that starts on Wednesday 4th June at 5pm. 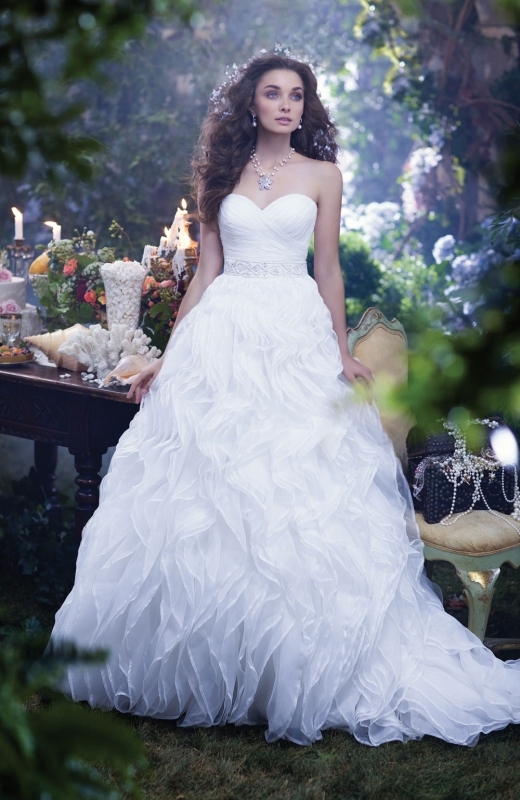 Bag a beautiful gown at a gorgeous price across their stunning range of. . . Fancy a fabulous frock frenzy? 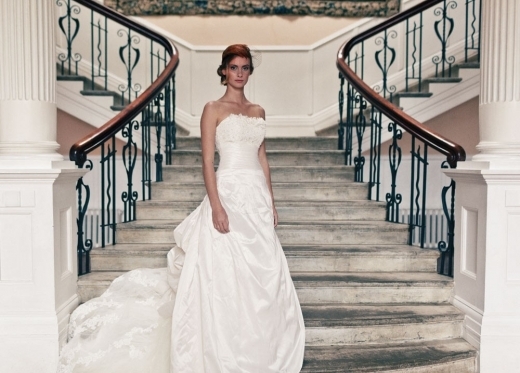 Then head to County Cream Bridal House on 24th May where their spectacular sample sale will see all manner of styles being sold from just £299!Boas. 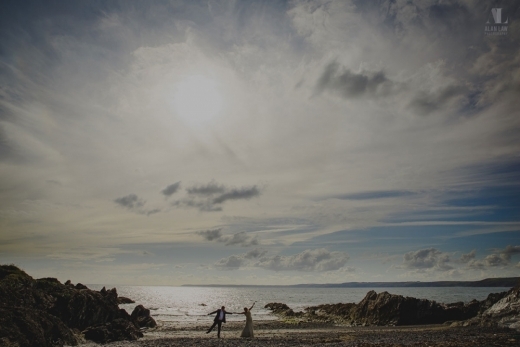 . .
As summer begins to shimmy our way, blue skies and sun-strewn ceremonies have been staged in abundance throughout the south west over the past week.Weddings in Cornwall and Devon. . . 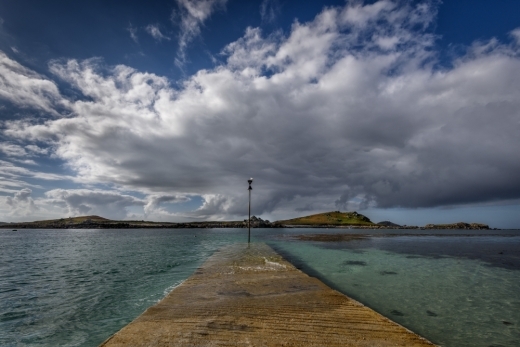 The Emerald truly is one of Cornwall's shining gems. The estate offers exclusivity and luxury at every exquisite turn for an event as magical as it is wonderfully unforgett. 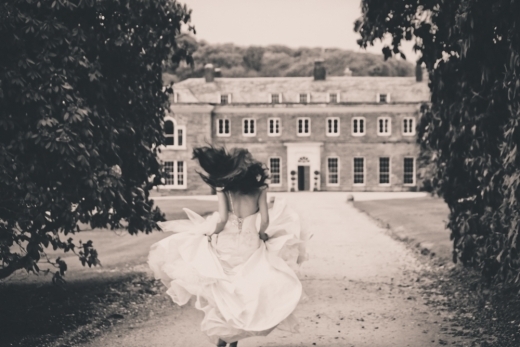 . .
Thursday 29th May 5pm - 8pm Discover a distinctive and dream wedding venue at Buckland Tout-Saints' country manor house hotel, tucked away in the glorious Devon. 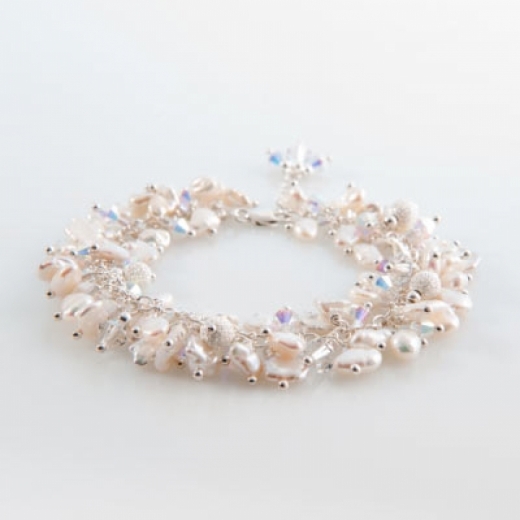 . .
Drakes Fine Jewellers in Plymouth offer up their top tips for super styling your bridal ensemble..."Every girl loves to accessorise and it doesn’t get more exciting than accessor. . .
Creative, modern yet classic wedding photographers Maxi Photography are offering Wed Magazine readers £200 off 2014 weekday wedding bookings.And for those who are planning their . 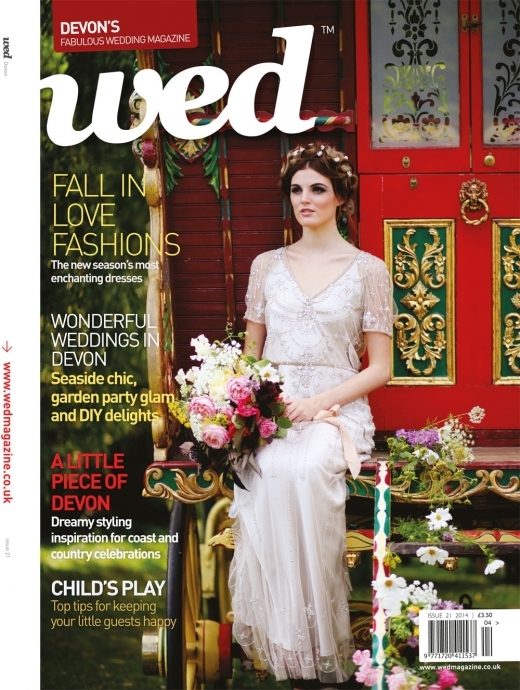 . .
Have you seen our latest super-stunning issue of Devon Wed yet? 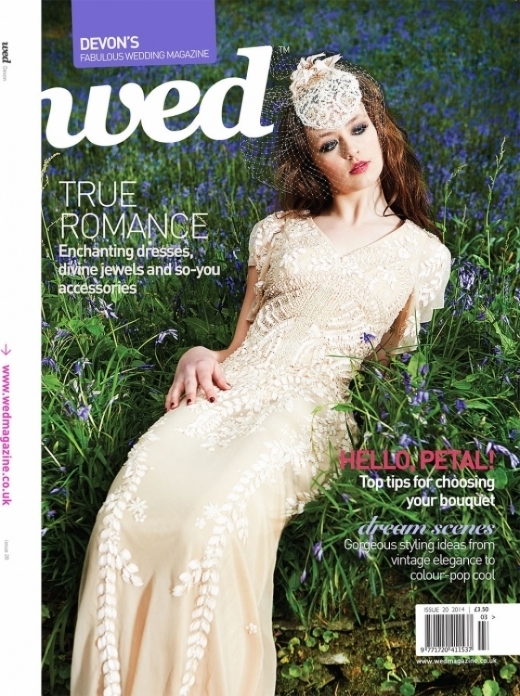 If so, you'll have seen our gorgeous cover shoot 'Garden of Delights', shot by brilliant photographer Barry Jeffer. . .
Don't miss out on the chance to bag a beautiful designer dress at a bargain price at Pirouette's three-day sale. 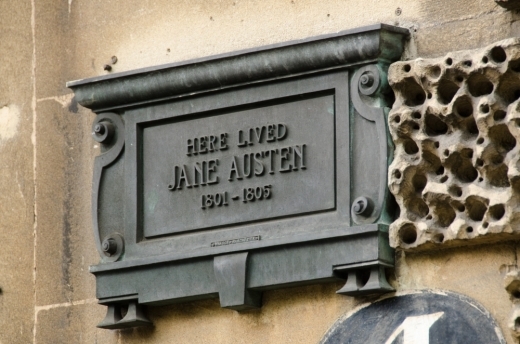 Starting this Friday 9th May, drop into The House That Moved - th. . . The fairytale factor has been in full force this week. From frolics on Cornwall and Devon's celebrated silken sands to enchanting woodland weddings and countryside shindigs, we'v. . . In the heart of Truro, tucked away amidst the bustle of Lemon Street Market, you’ll find Rosewood Florist. 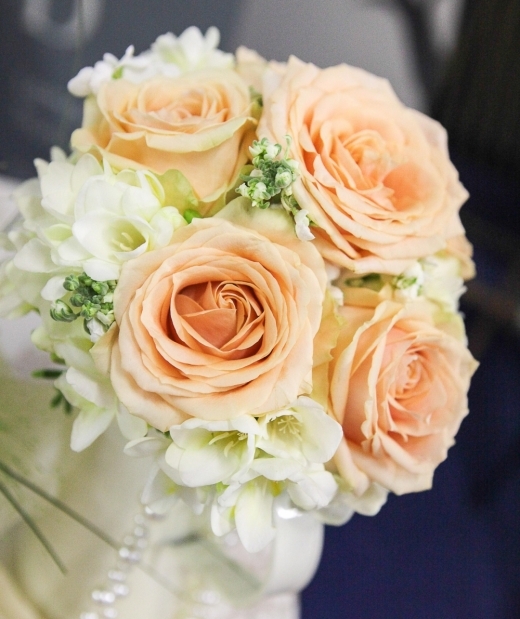 This emporium of fabulous floristry specialises in floral design for. 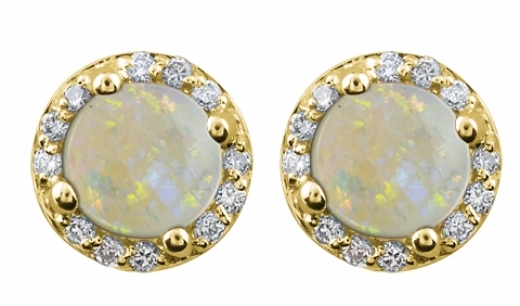 . .
20% off Anna D'Souza Accessories for Wed readers! Finish your bridal outfit in winning style with Anna D’Souza’s stunning accessories, which are now on offer thanks to a very special 20% discount for Wed readers. In addition, An. 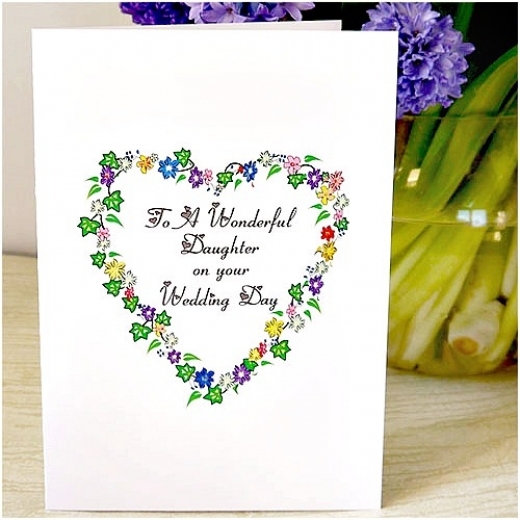 . .
A Cornwall-based designer has launched a unique selection of cards which make the perfect keepsake for a mother-of-the-bride to give to her daughter on her wedding day. Design. . .
...and what a beautiful week it's been! 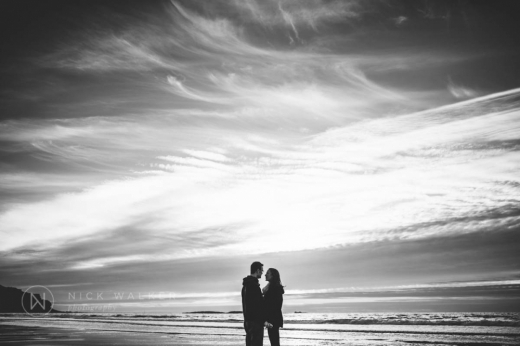 Weddings in Cornwall and Devon continue to beguile us here at Wed Towers as we're privvy to the latest shots of some very loved-up couples. . . 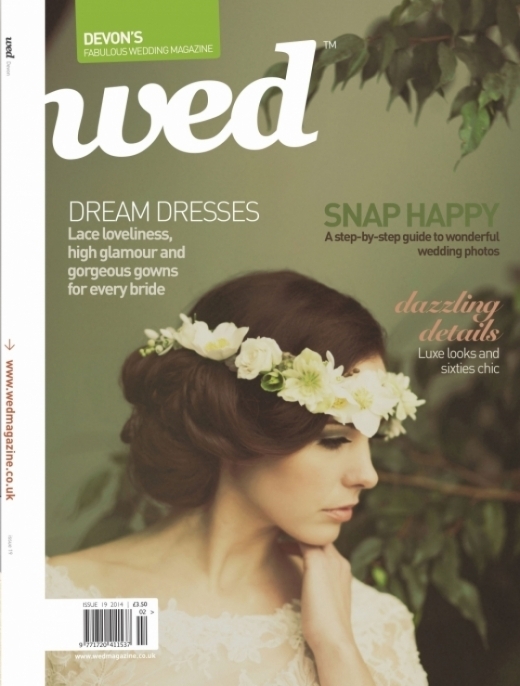 This latest installment of Wed is our biggest yet, meaning that it's bursting at the seams with a feast of W-Day ideas, inspiration and features that will help you to plan in swe. 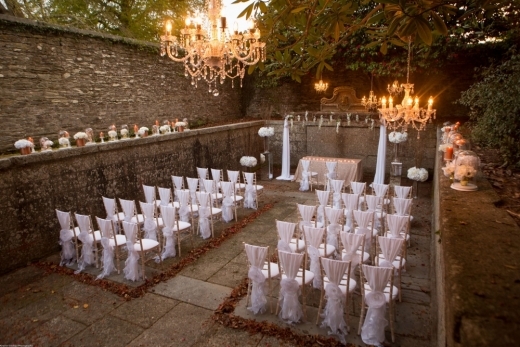 . .
For those seeking something distinctive for their winter wedding, Polpier House currently has a spectacular offer. With prices at just £3,100 for a 3 night weekend or 4 nig. . . Introducing an innovative and brand new wedding entertainment service, The Bridal Bet is a brilliant invention that will bring an exclusive dose of fun for a unique, memorable and . . .
Don't miss out on a brilliant money-saving promotion this week at Lavender Rose, where you'll find top designers at an incredibly discounted price. The clearance event runs. . . Being in fashion design for over 15 years means that Caroline Fricker's gorgeous gowns are simply to-die-for. 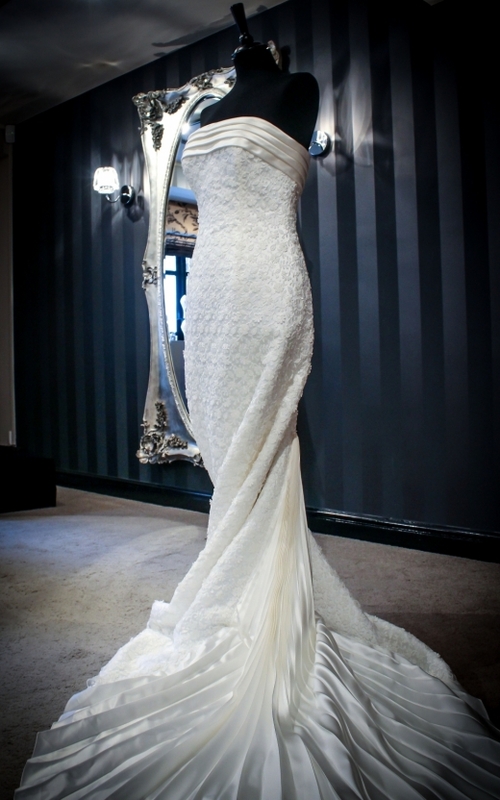 Offering stunning and original couture wedding dresses, Caroline's cre. . .
Aqua is offering a brand new cosmetic procedure that'll help beautify brides-to-be, treating their skin to the latest developments and products to stunning, head-turning effect.The. 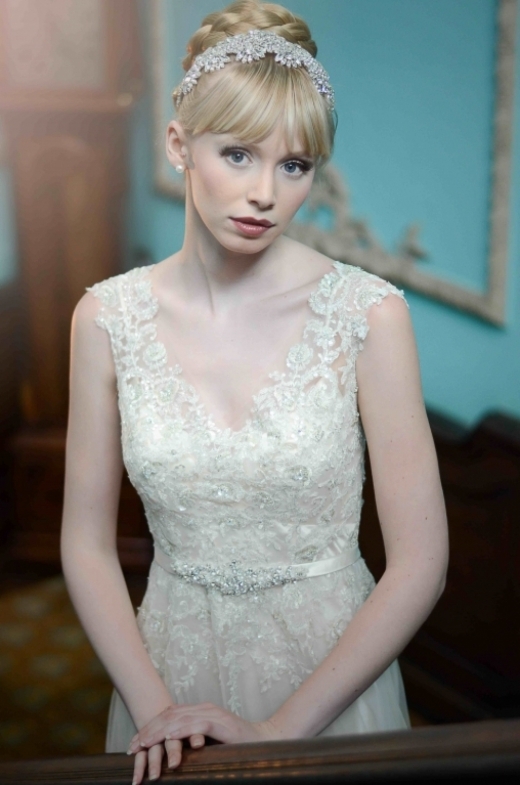 . .
County Cream in Truro is bursting at the seams with beautiful bridal wear. And they're proud to announce another much lusted-after new label to their stunning collection: Callist. . .
Another week in the far west and another series of spectacular weddings have taken place. 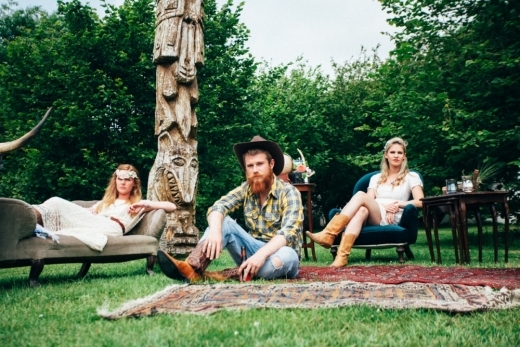 The latest loved-up events in Cornwall and Devon continue to enthrall, inspire and. . .
Light wizard Rupert Newman has creatively collaborated with Celebration Pyrotechnics and Boconnoc to show brides how to light up their love!Wow your guests on your wedding day wi. . .
Providing an invaluable wedding planning service, Jenny Wren Weddings and Events is as dedicated to creating the day of your dreams as you are, working closely with couples to en. . . 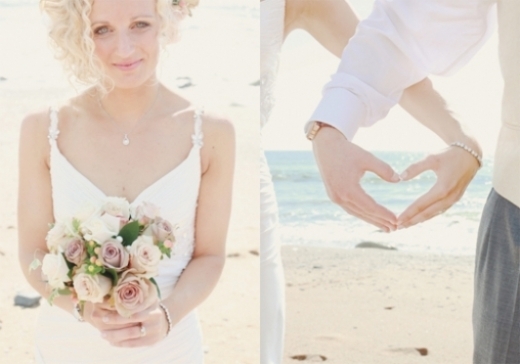 Win £1000 off your wedding photography! 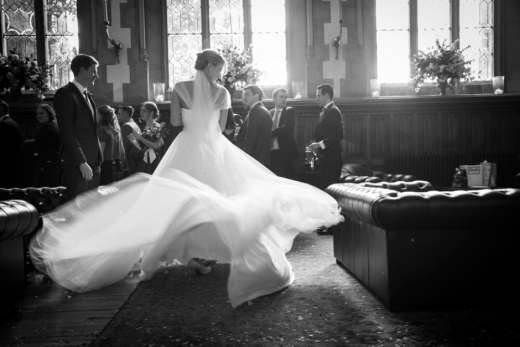 Enter this brilliant competition here Phil Yeo Photography is currently running an unmissable wedding photography competition. 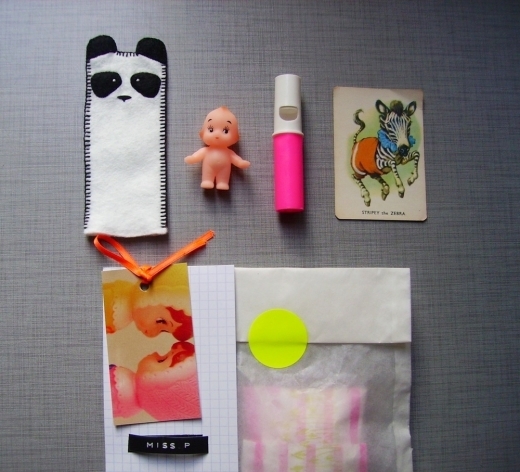 Prizes include. . . 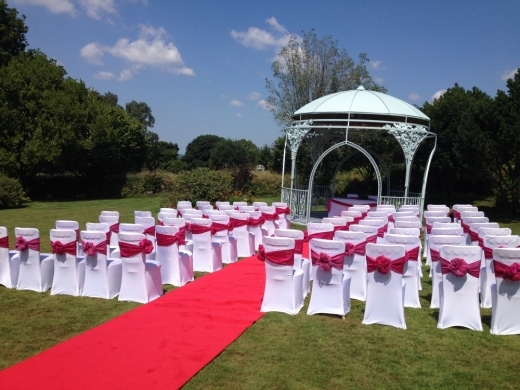 If you're still looking for an exclusive-use wedding venue with a difference, then consider the stunning setting of Polpier House.Set within two acres of enclosed, landscaped gar. . . 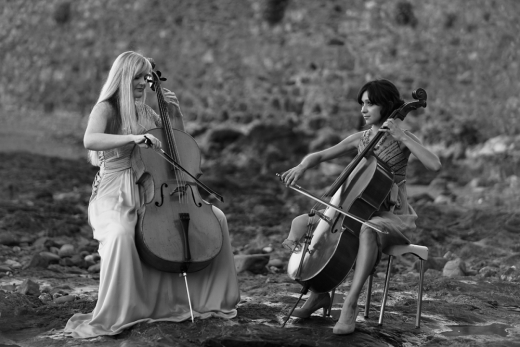 If you're searching for a soul-stirring soundtrack to your day, then look no further than the magnificent musical talents of Cello Cornwall.The dynamic duo was formed by cellists D. . . 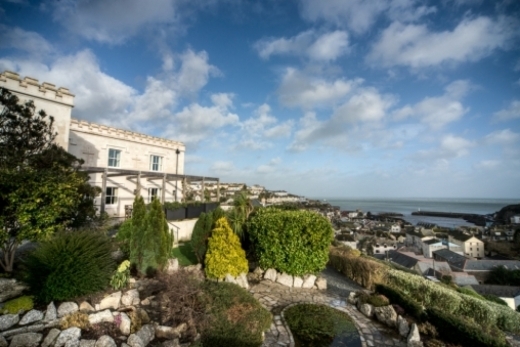 It's been another wondrous week in Wed World as the South West continues to stage an array of inspired weddings at a range of glorious venues, giving couples and guests some trul. . . 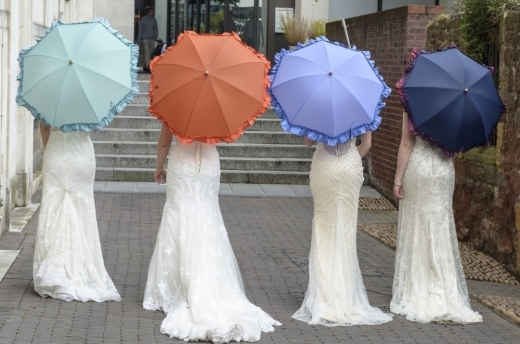 Stuck for gift ideas for your bridesmaids? Handmade by Hilly's latest creations may just be the winning ticket. 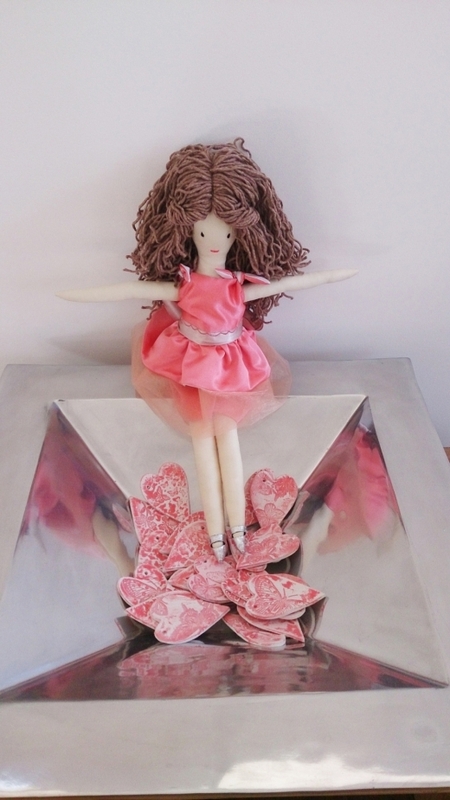 Flower girls and mini 'maids will delight in their own unique doll. 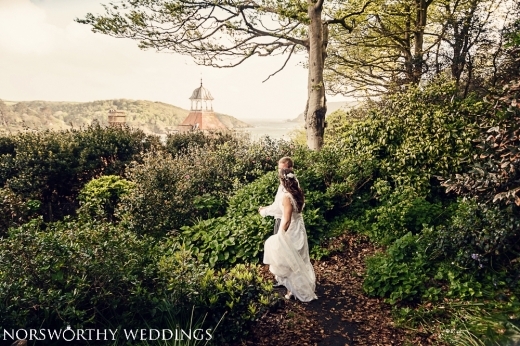 . .
Thursday 24th April 5pm - 8pm Discover a distinctly dreamy wedding venue at this country manor house hotel, tucked away in the glorious Devonshire countryside. . .
What a week! 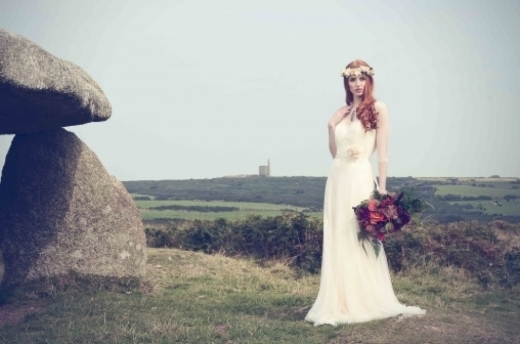 Weddings in Cornwall and Devon have presented some show-stopping and brilliantly fun scenes, from riots of rainbow colour to vintage photo booths and gorgeous windsw. . . 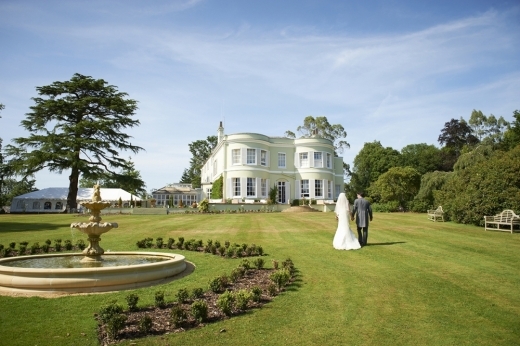 The Deer Park is one of Devon's most distinctive wedding venues. 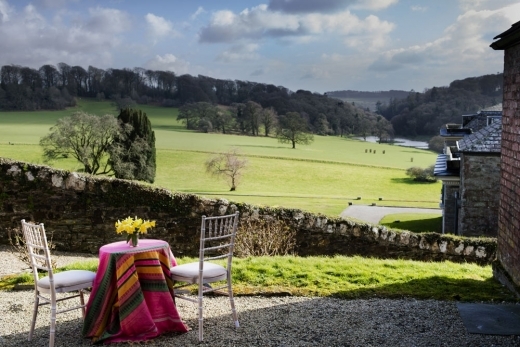 The gorgeous 18th century Georgian country house boutique hotel is set in 80 acres of unspoilt, lilting Devon cou. . .
Little Anne-Maids is hosting a fabulous prize draw for a super-worthy cause. To be in with a chance of winning your dress for the price of a £2 raffle ticket, visit their Camborn. 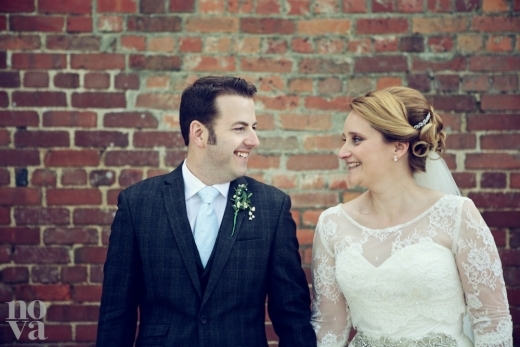 . .
Specialising in a simple and fresh approach to wedding photography, Life Photographic's work captures the joy and character of your day to dazzling effect.The husband-wife duo pr. . . 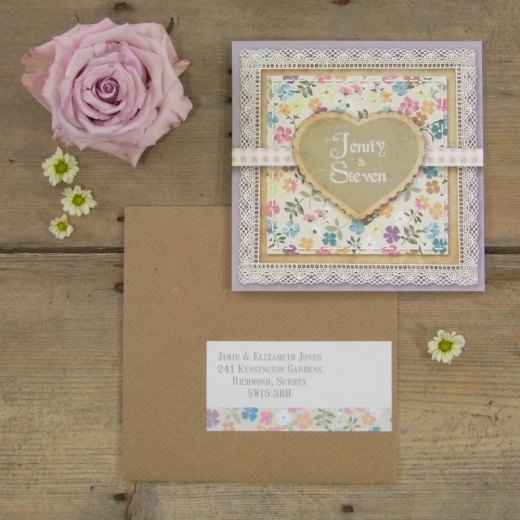 Win a Personalised Guest Book from English Rose Wedding Stationery at The Wed Show! Brides entering The Wed Show's prize draw will be in the running to win a magnificent mix of lusted-after items, including a personalised guest book and box from English Rose Weddi. . .
On a bright but cold day in December, the Wed team decamped to the studio of talented and highly respected artist Naomi Frears overlooking Porthmeor Beach in St Ives. St Ives is . . .
As Easter looms on the horizon weddings in Cornwall and Devon are celebrating the brighter mood of spring and its longer days with ultra memorable gusto.Featuring fabulous fashio. . .
Sweet Treats at The Wed Show! 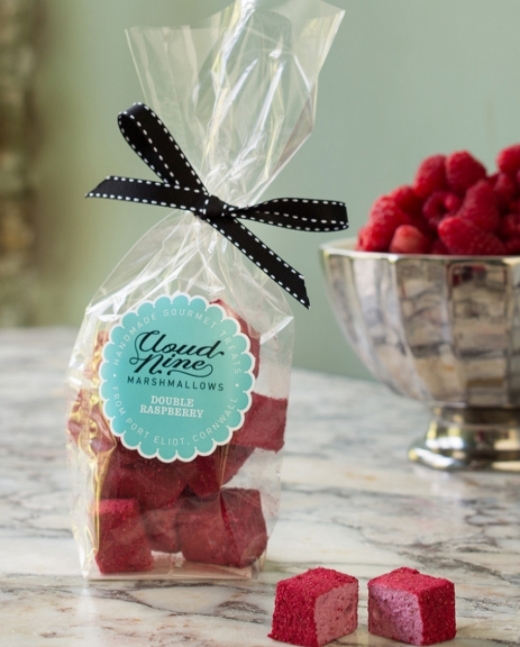 Sweet teeth will be satisfied in supreme style this Sunday 6th April at The Wed Show, which will deliver a lip smacking feast of food and other edible delights, including goody bag. 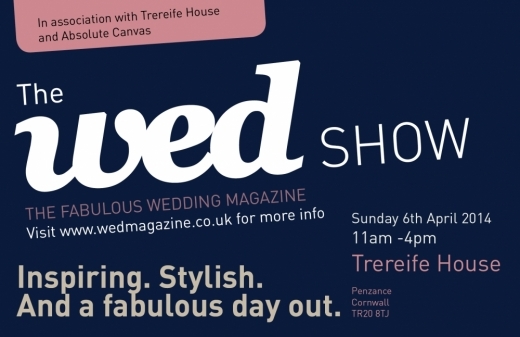 . .
Pre-registered brides attending The Wed Show this Sunday 6th April at Trereife House in Penzance are in for a bevy of brilliant freebies when they pick up their goody bags on . . . 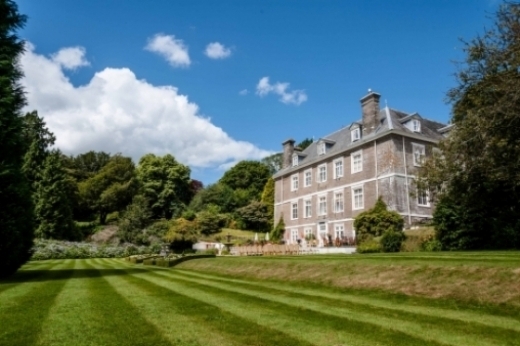 Introducing a brand new wedding venue in Cornwall, Tredudwell Manor is a magnificent historic house tucked away in Lanteglos-by-Fowey, providing a beautiful backdrop to your day.. . . 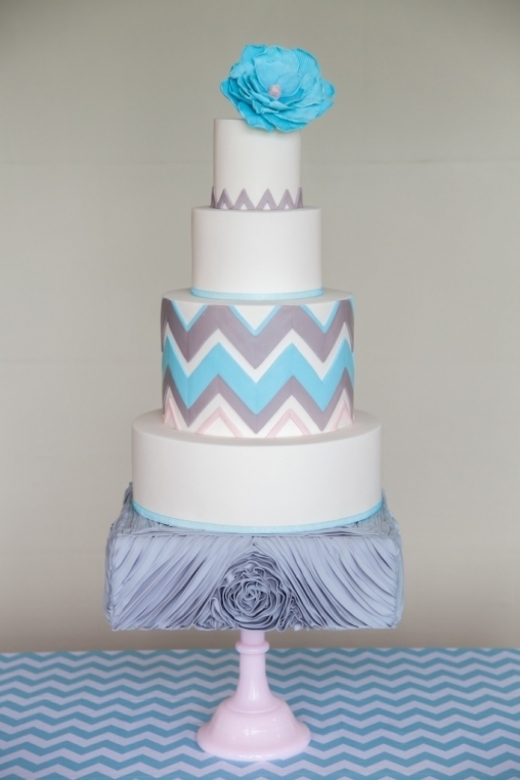 Win a Cake-Making Class with Cupecakemama at The Wed Show! For brides that delight in DIY weddings, one will be lucky enough to win a spectacular hands-on prize at The Wed Show, this Sunday 6th April (11am-4pm) at Trereife House in Penza. . . 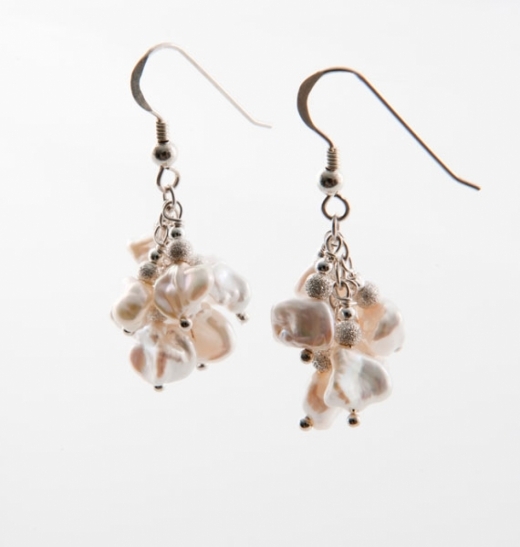 Win Keshi Pearl Earrings from Papillon Rouge at The Wed Show! The surprises just keep coming! With a huge array of prizes on offer, you could win a pair of Keshi pearl earrings from Papillon Rouge at The Wed Show - this Sunday 6th April (11am. . . 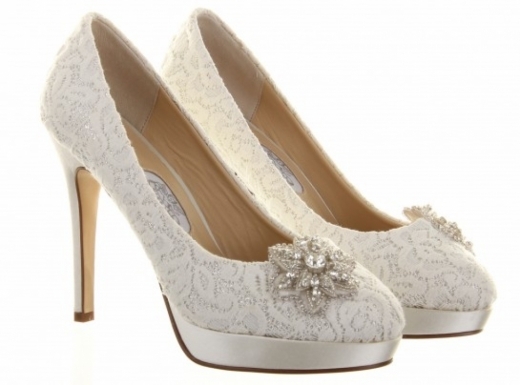 Win Diane Hassall shoes from The White Room at The Wed Show! Lovingly hand crafted and embellished with the most gorgeous details, Diane Hassall shoes are renowned for quality and elegant design. We're delighted to be offering one luc. . . 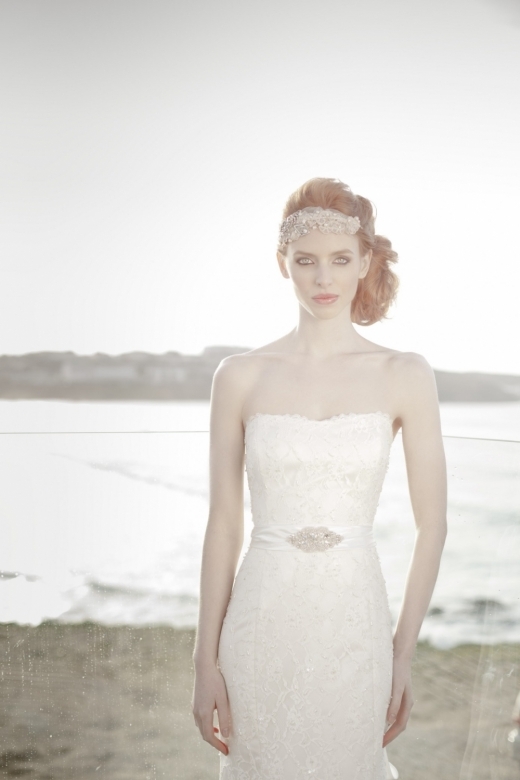 Win a Jenny Packham headdress from Sam Cox Bridalwear at The Wed Show! 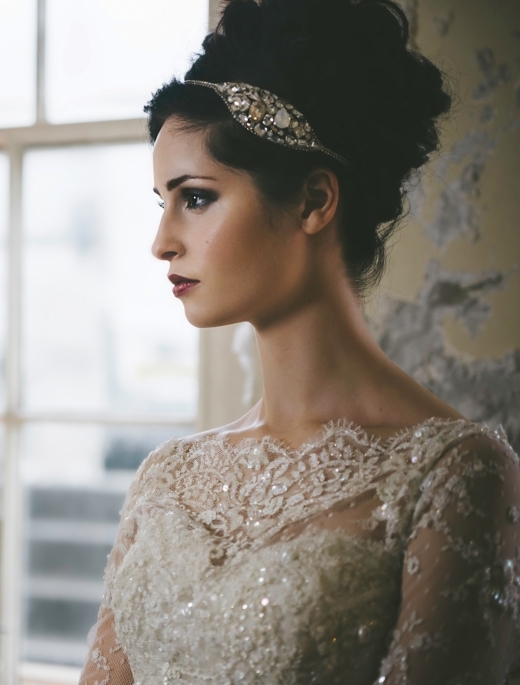 Another divine prize has been added to the heady list of delights up for grabs at The Wed Show - none other than this Jenny Packham headdress from seriously stylish boutique Sam . . . 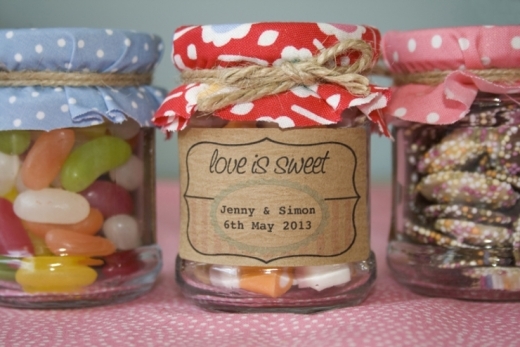 The wedding season has kicked off in sweet springtime style. 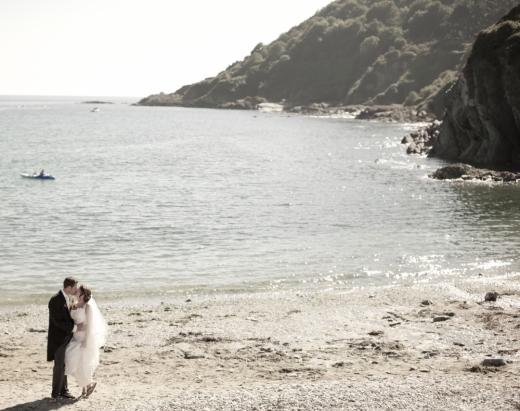 Showcasing the latest trends and spectacular settings in the far south west, recent weddings in Cornwall and Devon ha. . . Win Bunting From Big Beautiful Bunting Co at The Wed Show! 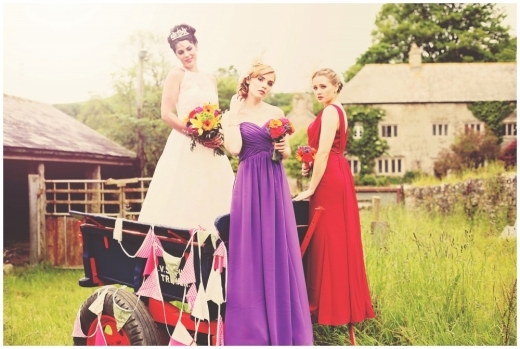 The Big Beautiful Bunting Company is offering brides a wonderful prize at this year's Wed Show. 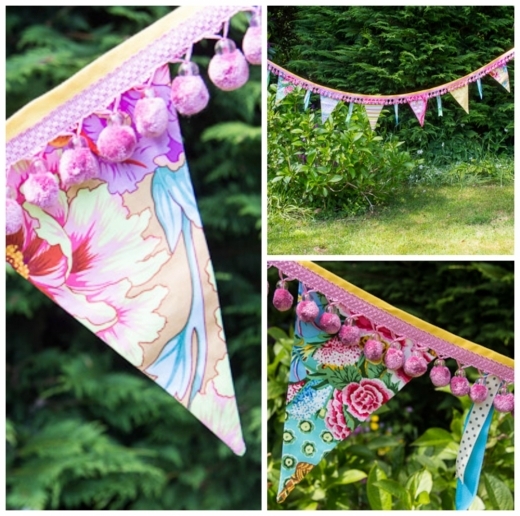 One lucky winner will be receiving a 120m set of bunting (worth £235.00) to dress yo. . . 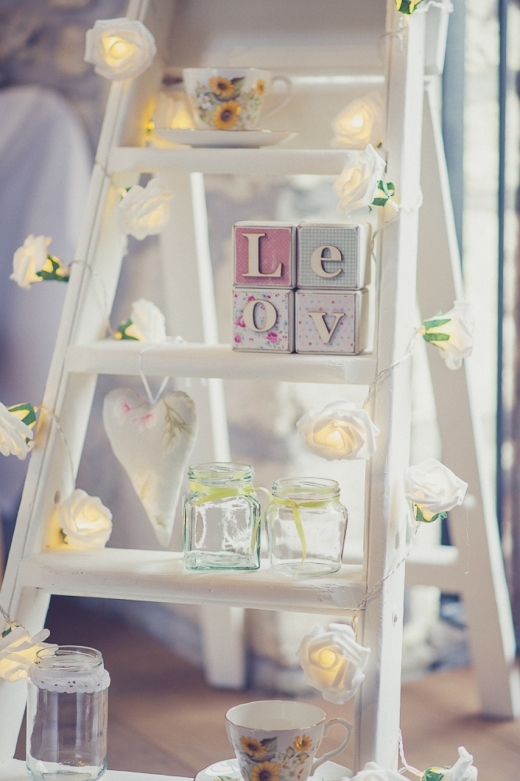 Win Event Styling & Vintage China Package from Meadowsweet Vintage at The Wed Show! 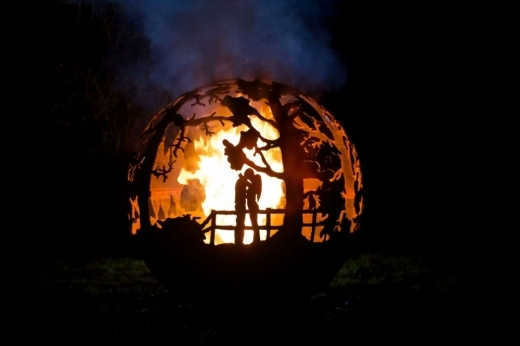 With just a few more days to wait, The Wed Show is almost here!Not only will visitors be treated to the spellbinding sight of Trereife Park - one of Cornwall's most captivating c. . . 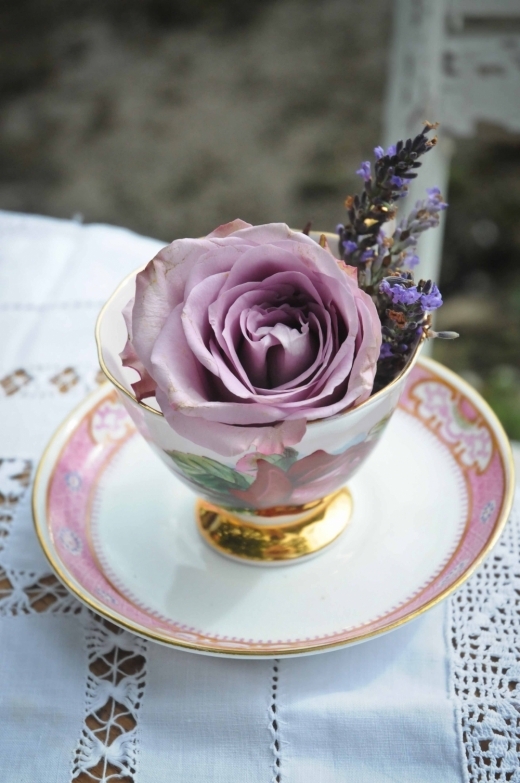 Wedding in a Teacup presents a spectacular range of handmade items and fabulous finds for the creative bride to be. Covering stationery with exclusive invitations, guestbooks, sa. . . 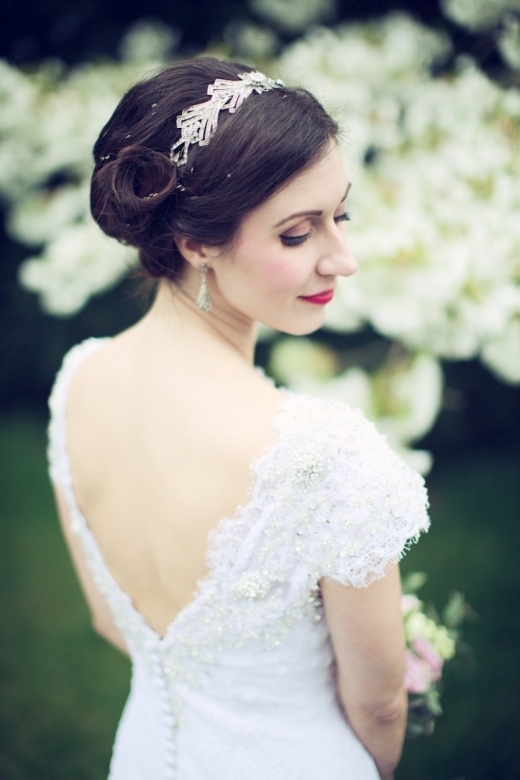 Win £100 off your wedding hair from The Hair Boutique at The Wed Show! Brides to be listen up! You can win £100 off your wedding hair package and a free cut and colour from The Hair Boutique at this year's much anticipated Wed Show. The mo. . .
Fabulous food at The Wed Show! The Wed Show will be something of a foodie's paradise this year, with an array of exhibitors and food samples that will be doing the delicious rounds.This year’s event will have . . . 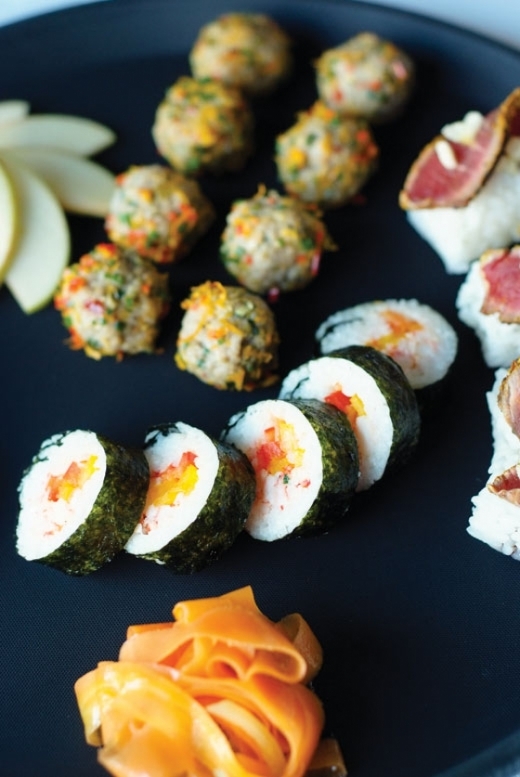 Here's a little taster of the delights we have in store for you in our next Cornwall issue! 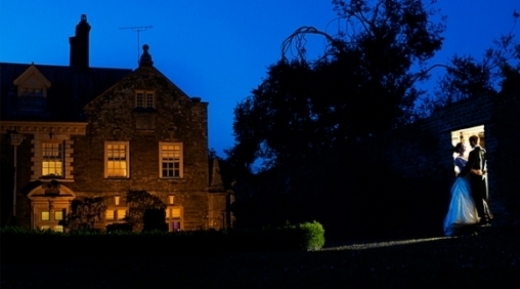 Boconnoc, an enchanting house and wedding venue nestled in glorious countryside n. . .
Devon's historic 16th century manor house continues to charm couples with its lovingly restored interior and idyllic grounds, offering exquisite surrounds for a wonderfully luxury . 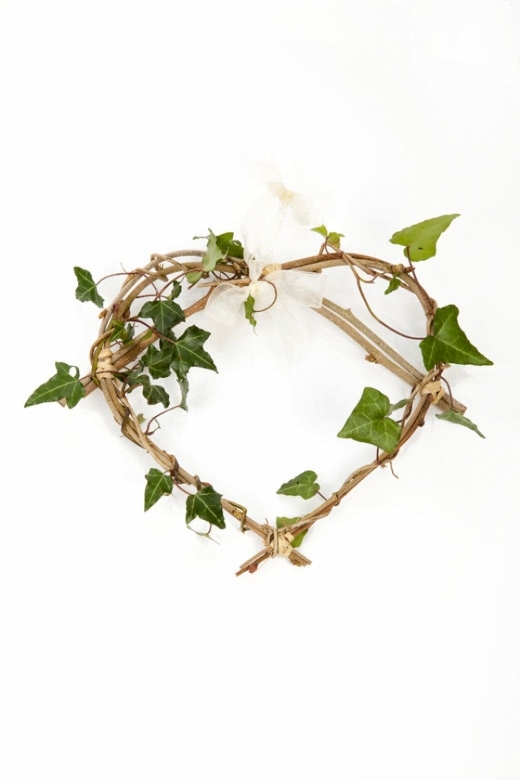 . .
Easter is looming which is bad news for chocoholic brides on a mission to W-Day beauty. 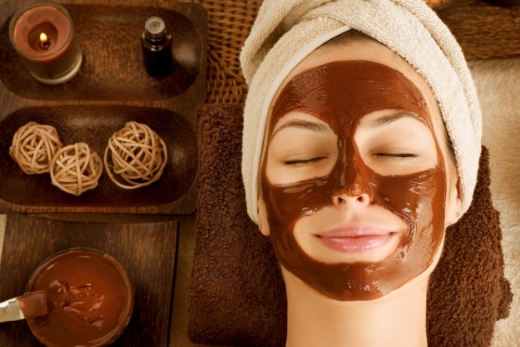 The consequences of a chocolate binge are widely known, yet for most, the temptation is of. 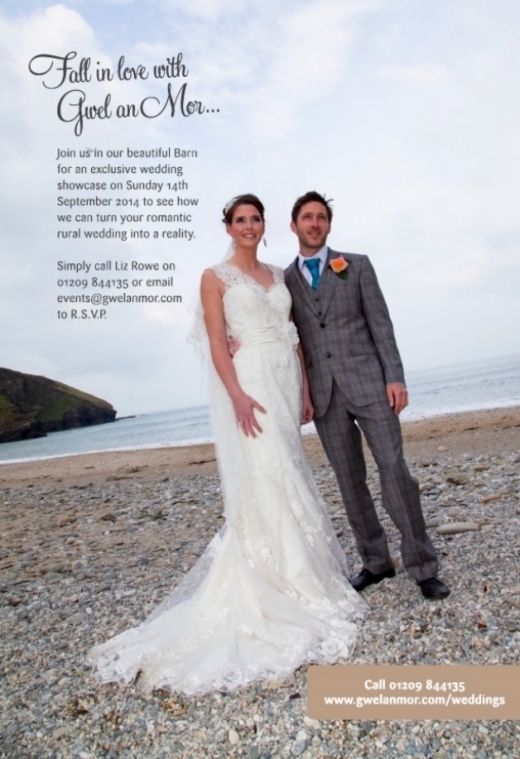 . .
Get the latest issue of Devon's fabulous wedding magazine! It's here folks! The latest delicious issue of Devon Wed is on the shelves and available to order online, sweetening your spring with all the latest news, trends and offers direc. . . 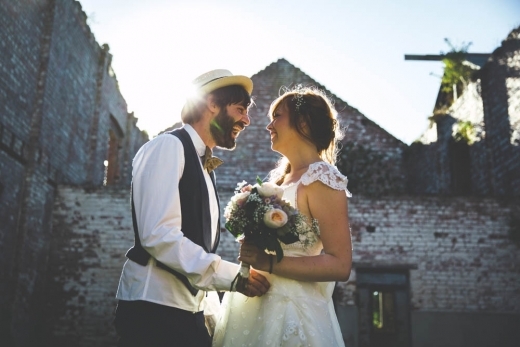 Concealed amidst an awe-inspiring valley of woodland just a few miles inland from the north Cornish coast, Pengenna Manor provides the perfect secluded setting for weddings.The. . .
Make your man swoon on your wedding night and feel like a bone fide screen siren by sporting some luxe lingerie under your bridal gown courtesy of gorgeous new label, Rose Fulbri. . .
Canapé Bonanza at The Wed Show! 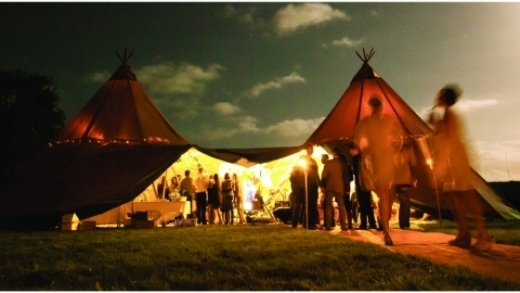 Sample some of the South West's best culinary delights at The Wed Show at Trereife House on Sunday 6th April.Royal caterers The Round Kitchen will be serving up some of t. . .
Saturday 22nd and Sunday 23rd March 10am-4pm Head to Darts Farm for this prime opportunity to explore World Inspired Tents' stunning tipis and a showcase of han. 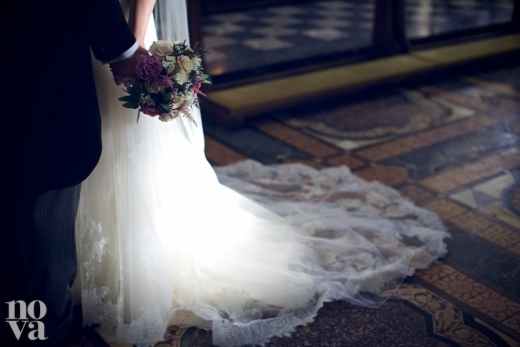 . .
Sunday 23rd March 1pm-4pm Explore the beautiful grounds and elegant Jacobean interiors whilst picking up some bridal inspiration along the way at Lang. . . Win a Gucci Necklace from Michael Spiers at The Wed Show! Boast some designer bling by winning one The Wed Show's most coveted prizes in the fabulous form of a Gucci chalcedony necklace from Michael Spiers Jewellery. Retailing at £210, . . . 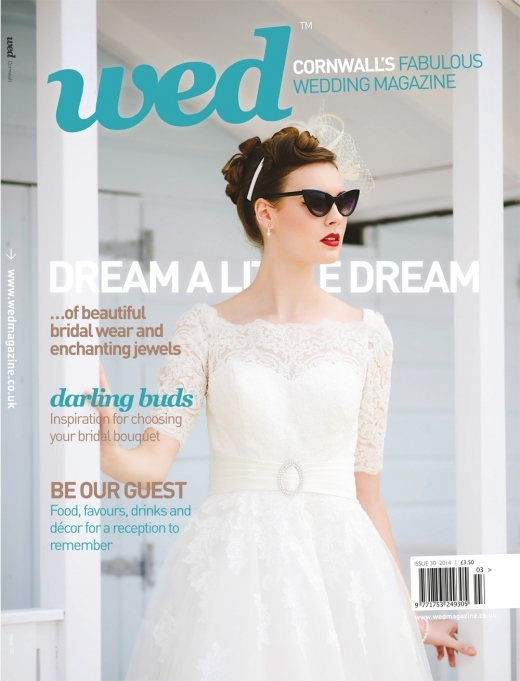 Win an Event Design Package From Inspire Hire at The Wed Show! As the countdown continues, more prizes are being announced for our grand giveaway at The Wed Show at Trereife House, Sunday 6th April.Inspire Hire is offering a special event de. . . 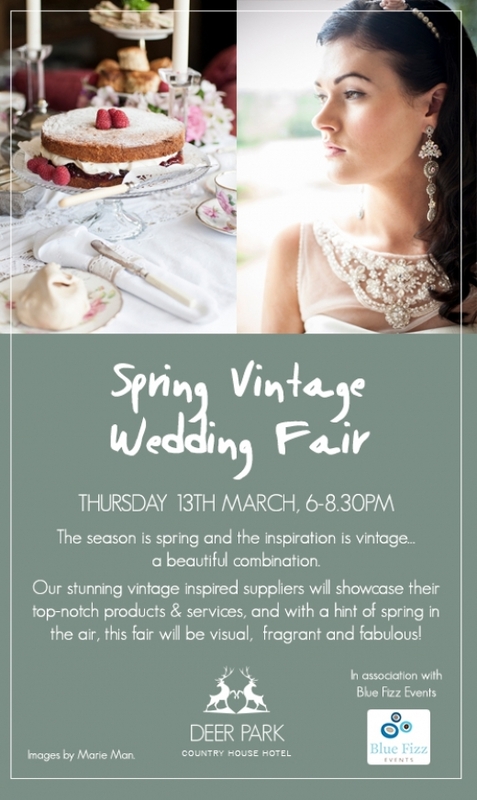 Deer Park Country House Hotel, Honiton Thursday 13th March 6-8.30pm The season is spring and the inspiration is vintage, making a beautiful comb. . . 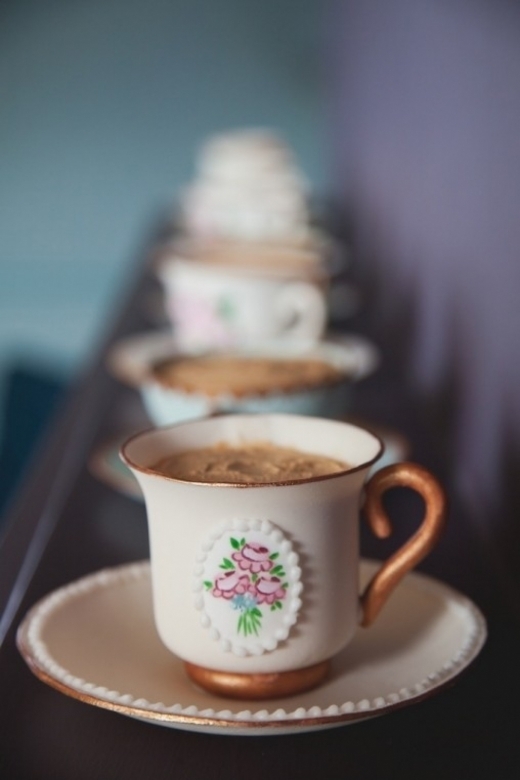 Win Edible Teacups From Emily Hankins at The Wed Show! Register to attend The Wed Show today to be in with the chance of winning five edible teacups and saucers from Emily Hankins in our amazing prize draw!Offering one lucky winner t. . . 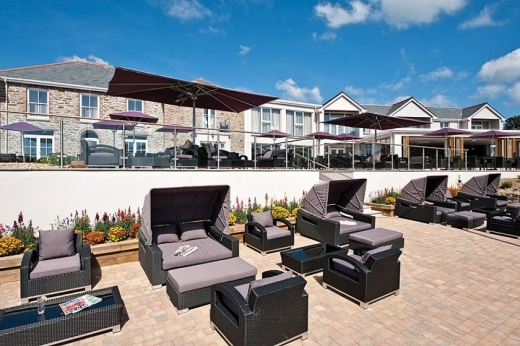 Win a spa day for two at St Ives Harbour Hotel & Spa at The Wed Show! As we count down the days until The Wed Show, we can exclusively reveal another of our very desirable prizes up for grabs on the day!Not only is St Ives Harbour Hotel and Sp. . . 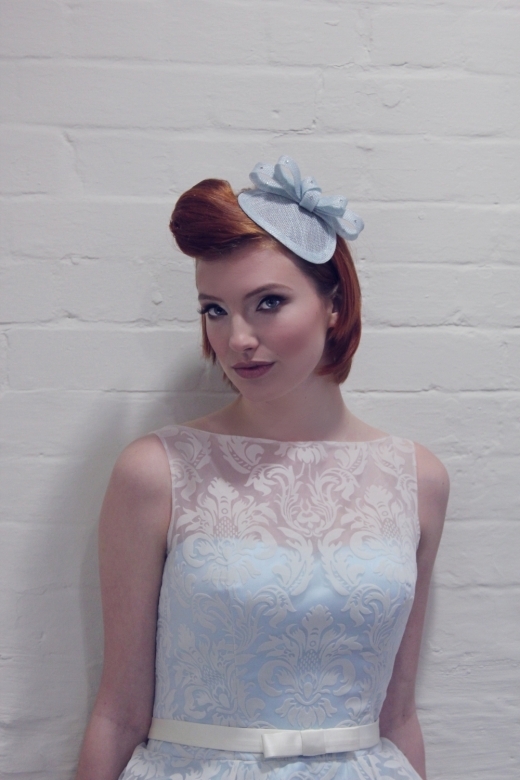 Win a Holly Young fascinator kit at The Wed Show! 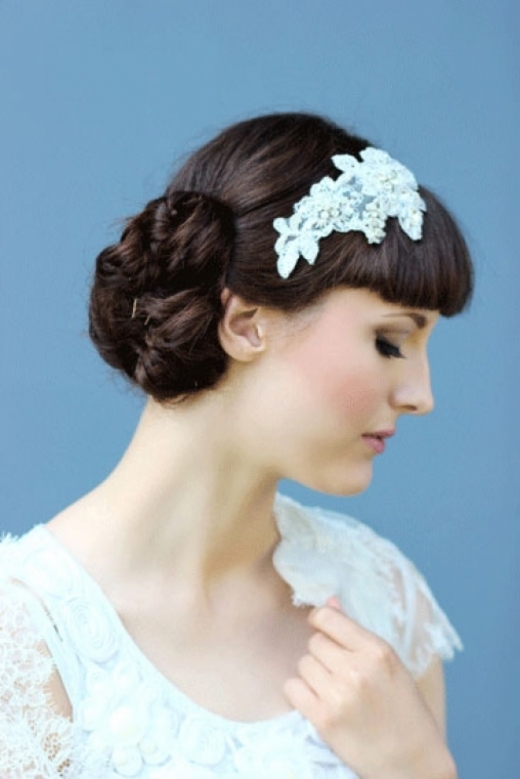 With just one month to go before The Wed Show returns, our prize giveaway is growing by the day!Holly Young is donating a vintage inspired fascinator kit in ivory for a bride to . 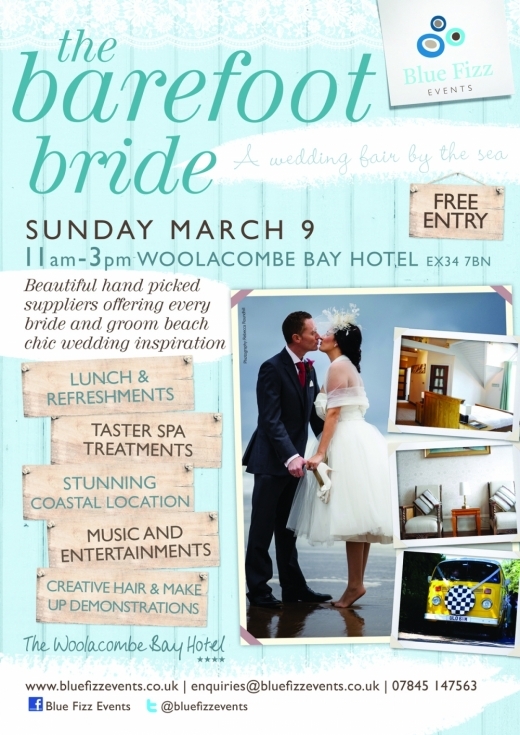 . .
Sunday 9th March 11am - 3pm ‘The Barefoot Bride' is a stunning event giving brides to be perfect beach chic inspiration for their wedding day. The fair will. . .
Sunday 23rd March from 1pm Explore the beautiful grounds and elegant interiors whilst picking up some bridal inspiration along the way at Langdon's fabulous fair. Browse wedd. . .
Saturday 22nd March 11am-3pm Opening its grand doors to the public (by prior appointment only), Powderham Castle will be welcoming brides and grooms-to-be to ex. 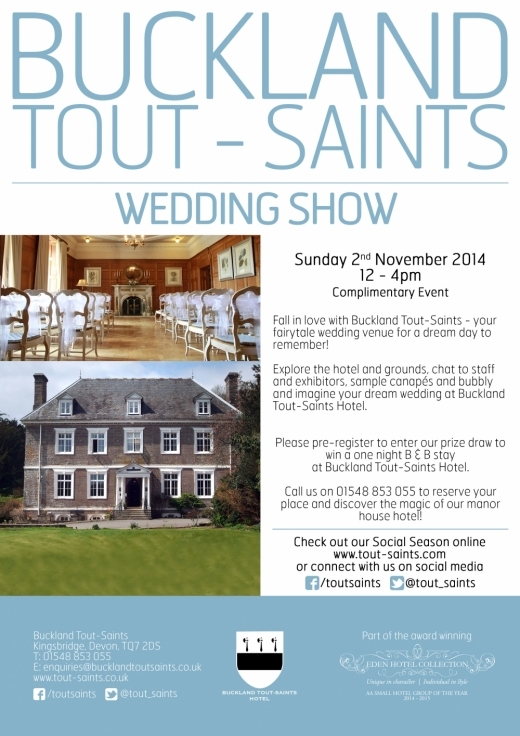 . .
Buckland Tout-Saints Hotel is a house that loves a celebration. 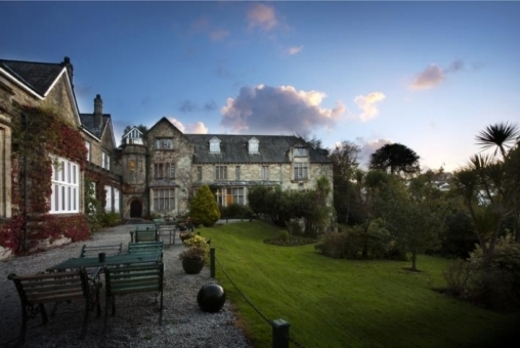 So why not extend the magic with an extra night’s stay to prepare for W-Day and take advantage of one of Devon's mos. . .
Devon-based stationery company Knots and Kisses produce a striking selection of vintage-inspired wedding stationery, and are pleased to present more designs to their captivating . . .
Saturday 8th MarchThe White Room Bridal in Liskeard is holding an unmissable designer dress sale on Saturday 8th March. A prime opportunity to b. . . Whether you're the bride, mother of the bride, bridesmaid or guest, complete your wedding outfit with a statement accessory du jour. 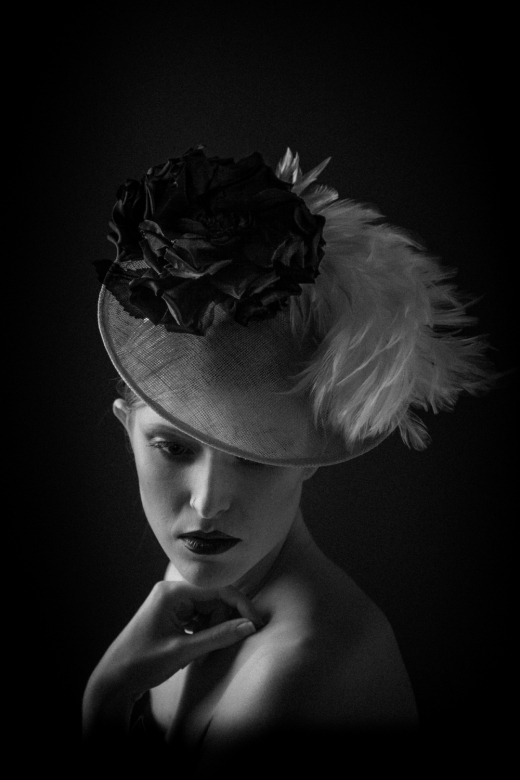 Milliner Gina Foster's exclusive collection i. . .
Sunday 9th March 11am-4pm If you have vintage designs for your wedding, then this exciting event is definitely not-to-be-missed. Featuring an inspirational host o. . .
Seeking a unique and beautifully crafted gown at a bargain price? 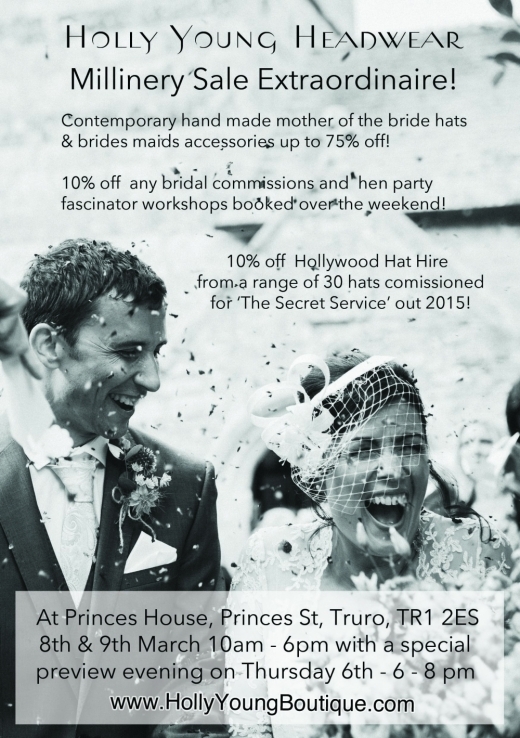 Bridal designer Annalise Harvey is holding a sale at her Princes House studio in Truro on Saturday 8th – Sunday . . . 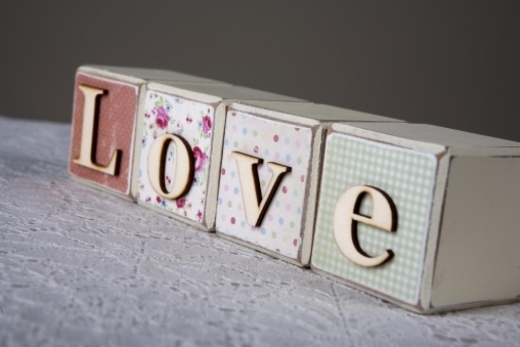 Still swooning over the month of love and celebrating a recent Valentines engagement? 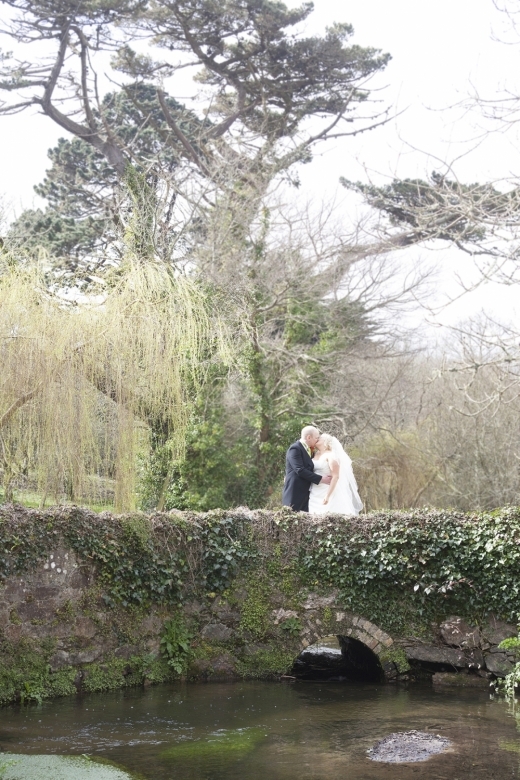 For those looking for a venue in Devon, the search stops here with Exeter Golf and Country C. . .
Cornwall's wedding industry was abuzz on 5th February as the hotly anticipated Cornwall Wedding Meet Up and Spring Brides Showcase took place. 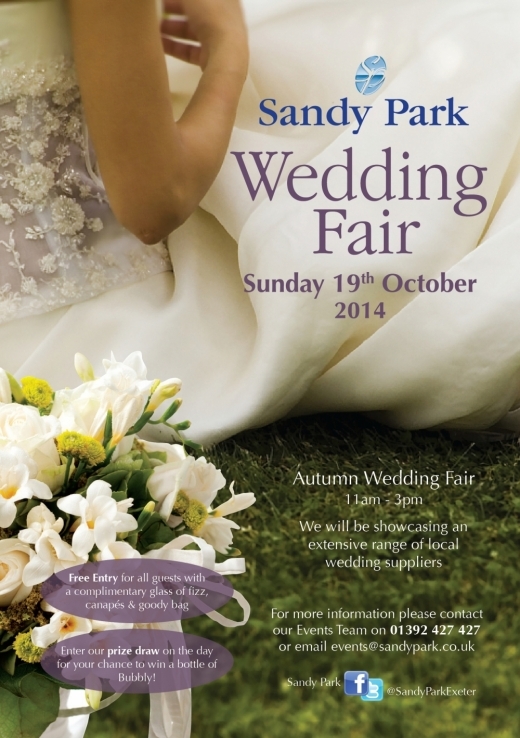 A wedding marketing business event . 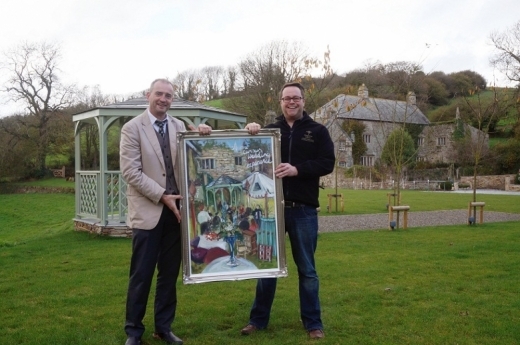 . .
Boscundle Manor, the luxurious country house hotel near St Austell in Cornwall, has been awarded a prestigious second AA Rosette.The AA Rosette scheme is internationally recognis. . . Treat yourself to a top day out by heading to The Wedding Company in Plympton for their brilliant Charlotte Balbier Designer Weekend on 1st March, and meet the celebrated desig. . .
Feast your eyes on some of the fanciest, most gorgeous-looking accessories around courtesy of Holly Young Headwear and her fabulous sale, 8th and 9th March (10am-6pm).Head to Pri. 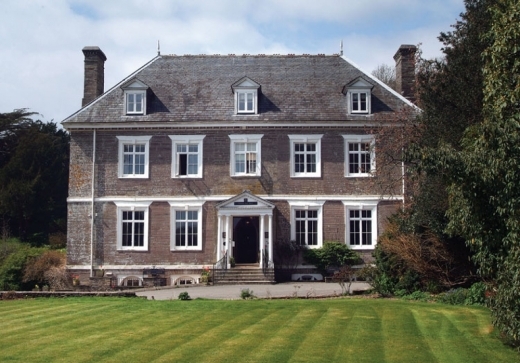 . .
Sunday 2nd March 1pm-4pm This will be a great chance for you to view this country manor house hotel tucked away in the glorious Devonshire countryside, which wi. 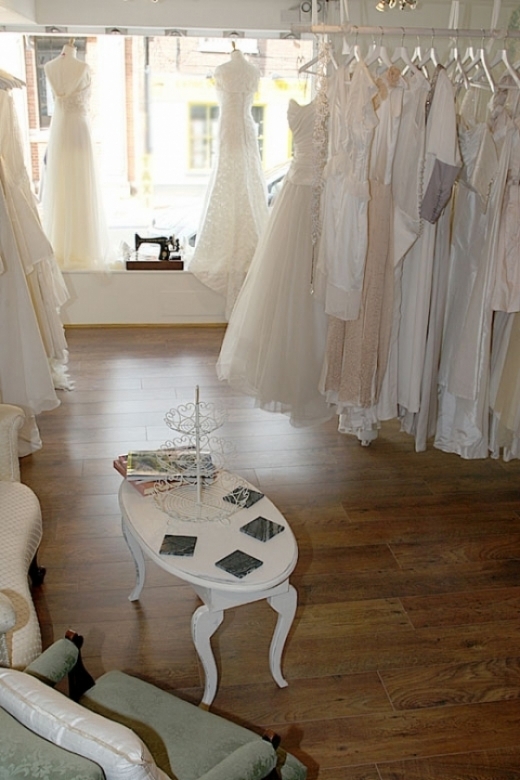 . .
Tucked away in the heart of Truro, County Cream Bridal House is brimming with beautiful bridal wear. 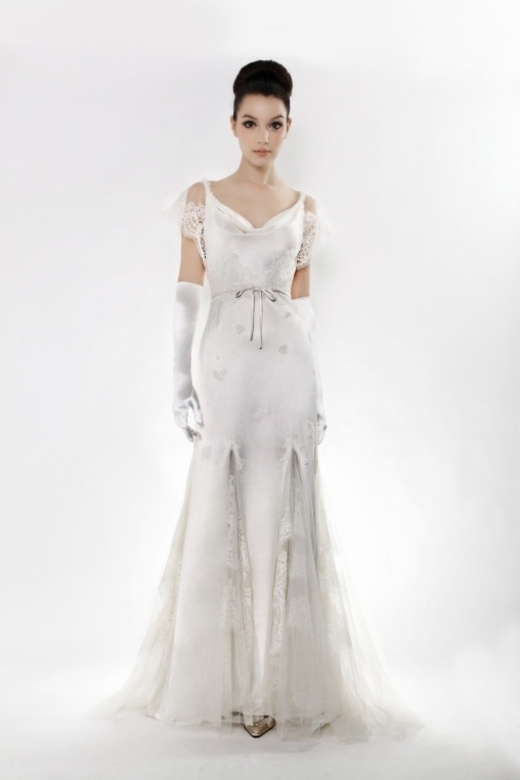 Bridal gowns from the likes of Diane Harbridge, Miquel Suay, Romantica, Opule. . . 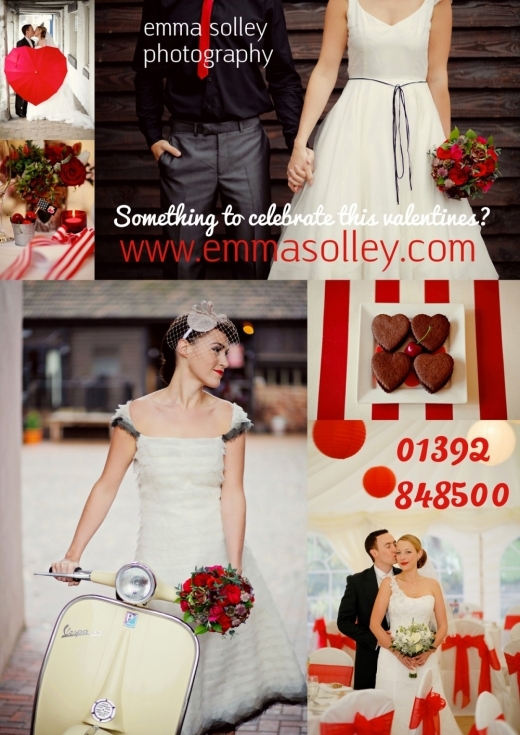 Currently running a late availability offer throughout March and April, Emma Solley is offering couples a 10% discount on all photography bookings made on the last few remaining . . . 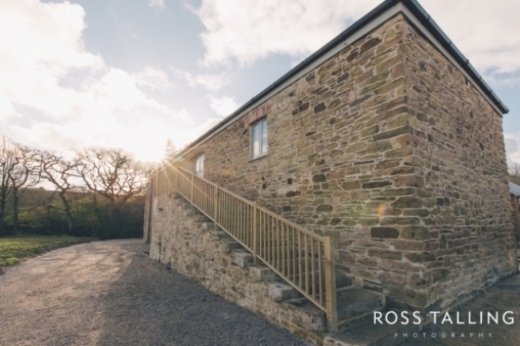 Check out this beautiful video from a recent wedding at one of the south west's most spectacular runaway wedding venues at BoHo Cornwall.Andrea and Ben were wed in a wonderfully . . . In an online special, professional make-up artist Victoria Penrose offers her expert advice on how to prime your skin to achieve its beautiful best right in time for W-Day..."Eve. . . 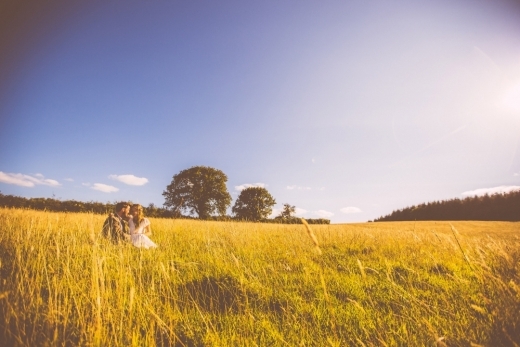 Looking for a wedding venue in Devon in July or August this year? 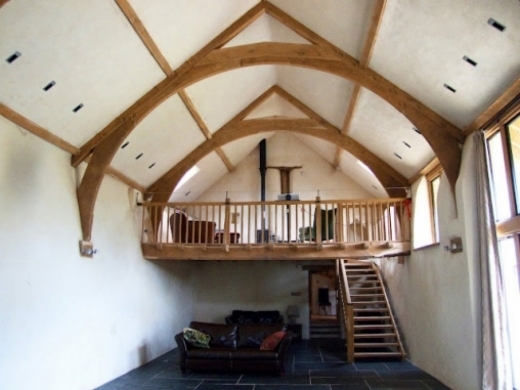 The Oak Barn in Hittisleigh Barton is dramatically reducing its remaining free dates throughout both months, off. . . Whether you're newly engaged, nearly-weds or celebrating many years of marriage, let love blossom with a romantic two night break at one of Cornwall's most magnificent hotels this . 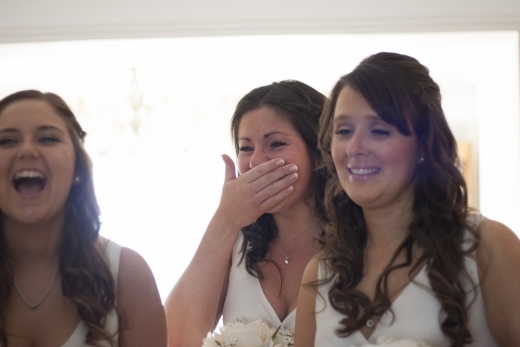 . .
A special Cornish Company has cracked the conundrum of entertaining the kids at weddings. Cabbage and Fig supply a range of party bags that will keep children occupied throughout. 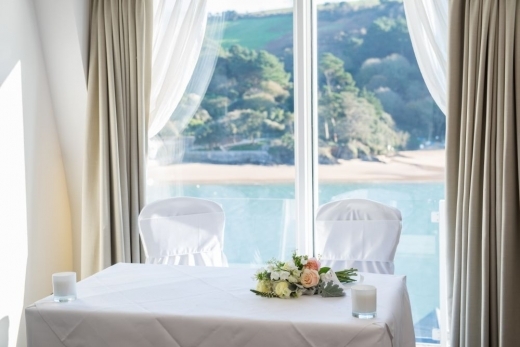 . .
One of North Devon's beguiling wedding venues is now offering you the chance to stage an exclusive-use event at their stunning hotel from just £4,500 for 70 people.The price incl. . . The World Inspired Tents team are celebrating once again, having added another trophy to their collection last week – this time the Wedding Industry Award for Best Wedding Marquee . 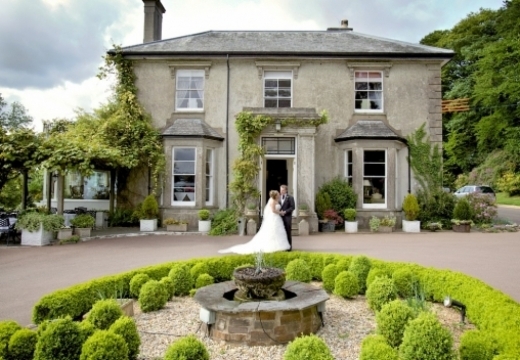 . .
Holne Park House, near Ashburton, is holding a Wedding Open Day for prospective brides and grooms and their families next month.The free event on Sunday 9 February will showcase th. . .
Head to The Market House in St Austell on Saturday 8th February (11am-4pm) for the Handmade Things Wedding Fair - an unmissable event for couples with a taste for handcrafted wed. . .
Start your wedding planning in supreme style by bagging one of the most lusted-after bridal bibles in the south west...Wed's latest Cornwall edition is crammed with wedding goodn. . .
Don't miss The Wedding Company's Pronovias Designer Weekend on 31st January and 1st February, where an extra 16 gorgeous gowns from this stylish collection will specially be. 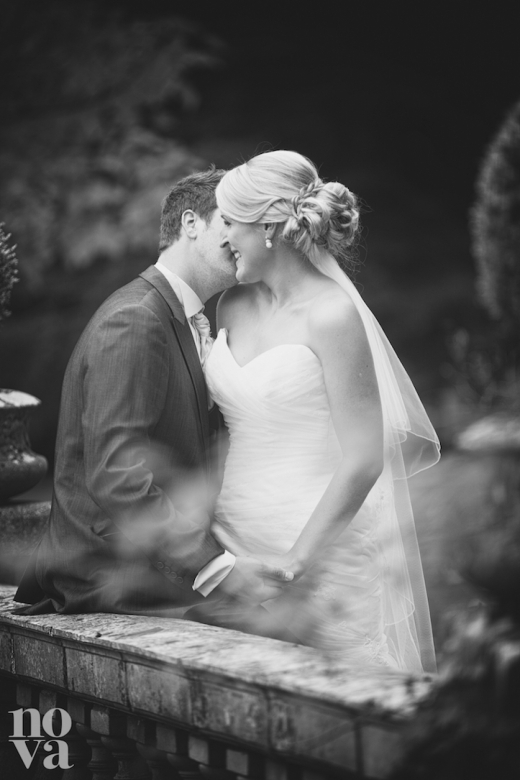 . .
Friday 31st January 5pm-8pm Discover your dream wedding venue at this country manor house hotel tucked away in the glorious Devonshire countryside. Join them for . . .
South West's style specialists, Sitting Pretty have scooped one of the industry's most coveted awards. 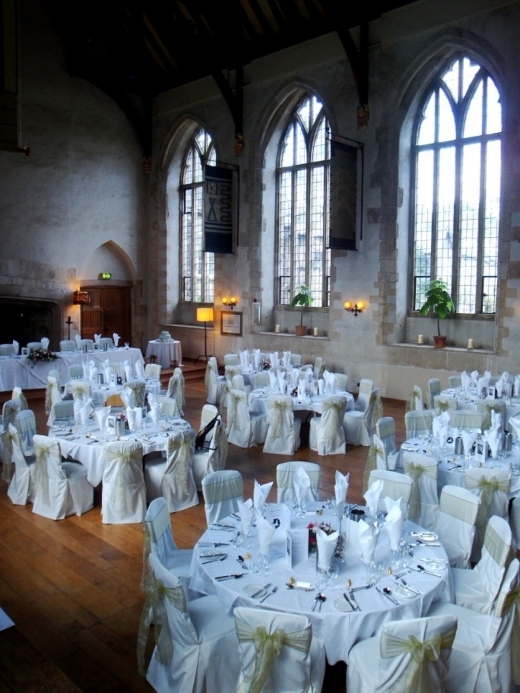 Recently voted Best Venue Stylists in the South West at the prestigious Weddi. 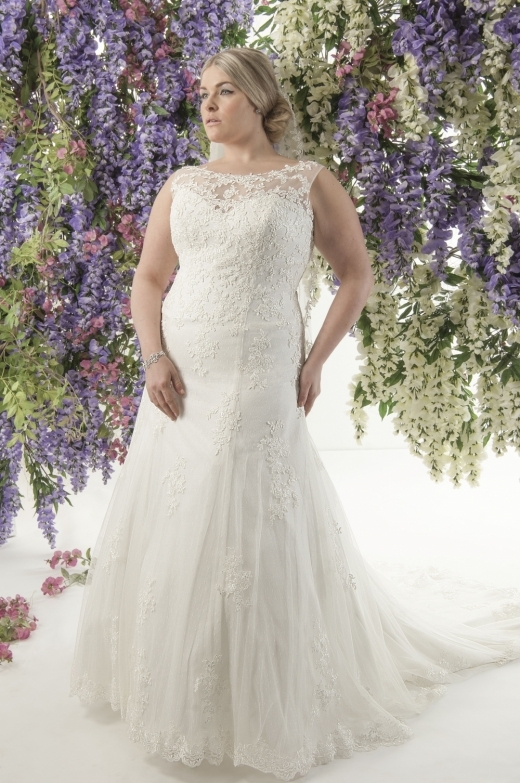 . .
Don't miss Frilly Frocks' fantastic sale, which will be giving brides-to-be the chance to bag a bargain gown - with up to 70% off top designers throughout Friday 31st January . 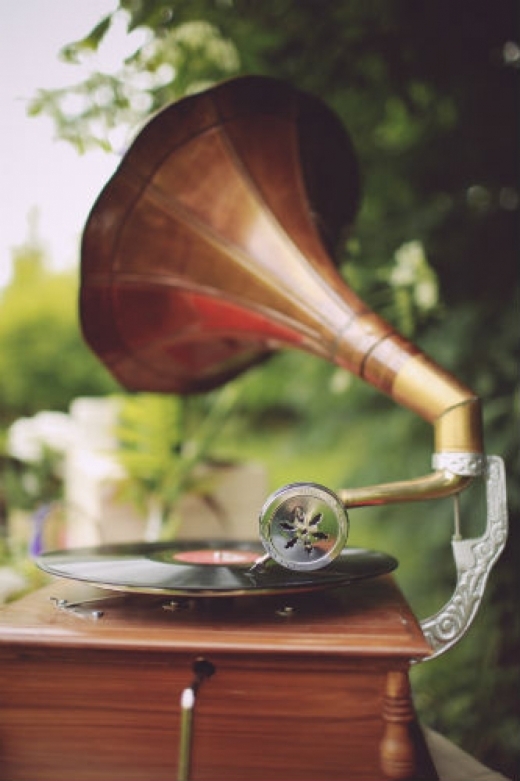 . .
Sunday 16th February 11-4pm Presented by Super Duper Vintage Events, this must-visit wedding fair will take place in Carbis Bay's gorgeously renovated hotel. Overlook. 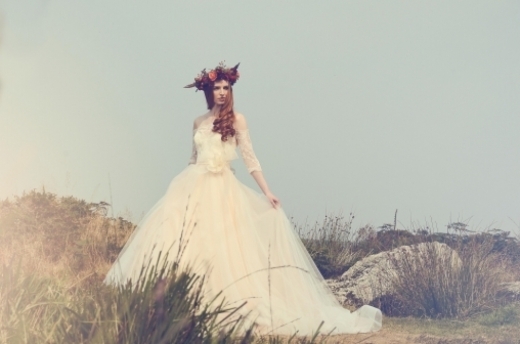 . .
For fabulous wedding headwear, look no further than the dazzling designs by Cornwall-based milliner Holly Young.Captured beautifully by photographer Andrea Pennington, these imag. . .
We just had to share this fab video which tells the love story of Amanda and Andy, whose wonderful, musical, country, vintage wedding is featured in the latest issue of Wed Cornw. . . 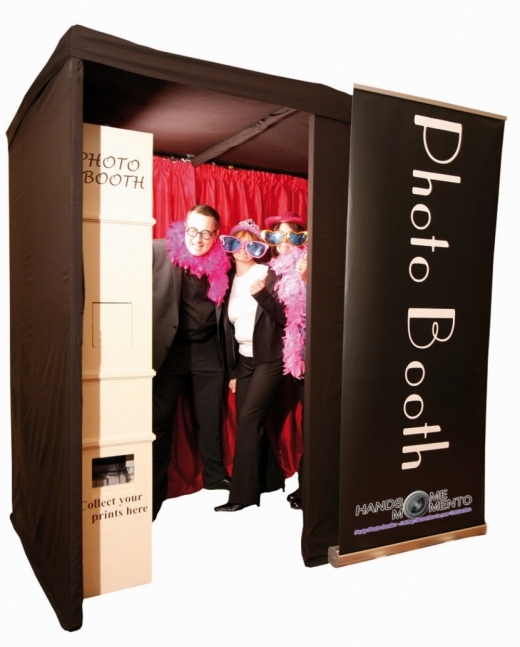 Handsome Momento's party photo booths are a unique and fun mode of entertainment for any event, providing high quality images and belly-laughs that will guarantee a series of ult. . .
Boasting a beautiful boutique on the Barbican in Plymouth, Sam Cox Bridalwear provides one of Devon's most spectacular shopping experiences. 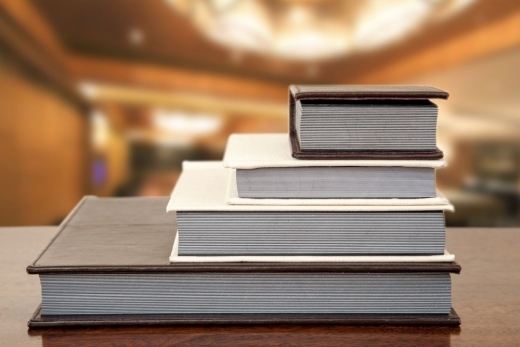 Housing an exquisite collection of br. 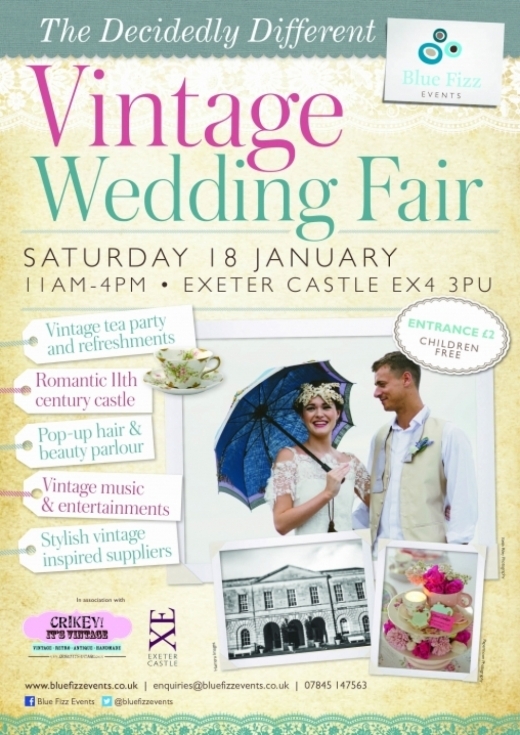 . .
Saturday 18th January 2014 11am - 4pm Offering something different and vintage inspired, this enticing event is a real treat for every bride and gro. 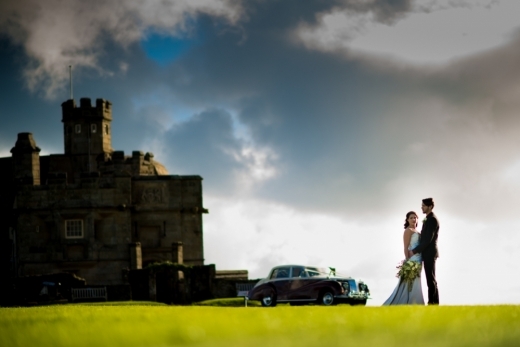 . .
Saturday 11th January 10pm-3pm This enchanting, historic castle is open to couples seeking a romantic venue for their wedding. The Bickleigh Castle Estate. 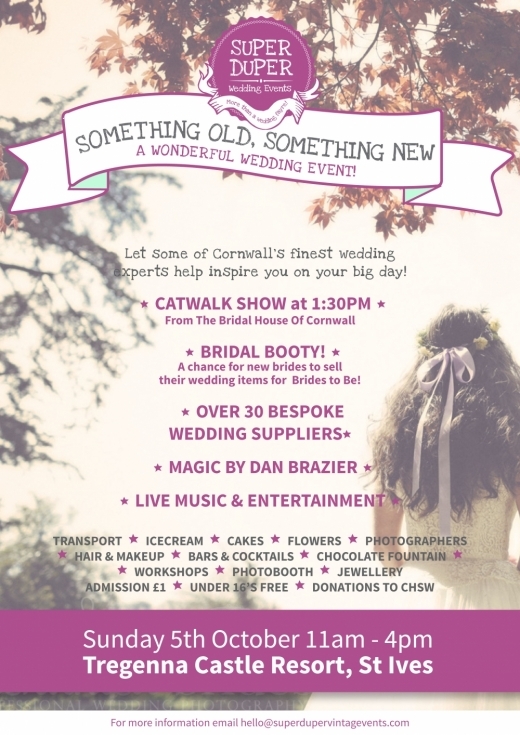 . .
Sunday 6th April 2014 11am - 4pm Don't miss the hottest event in Cornwall's wedding calendar, which is set to be our biggest and best yet. 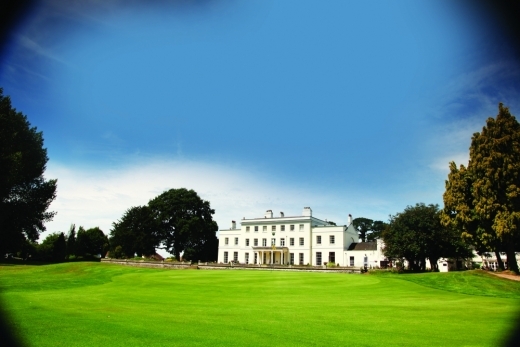 Showcasing the cream of C. . .
Sunday 12th January 11pm-4pm Kicking off the 2014 wedding season in style, this glorious country house provides a gorgeous setting to spend a Sunday. Fr. . .
Make a date in your new diary for 25th January, when County Cream Bridal House in Truro will be hosting an exciting Ellis Bridals Designer Day.Offering an array of elegant gowns . 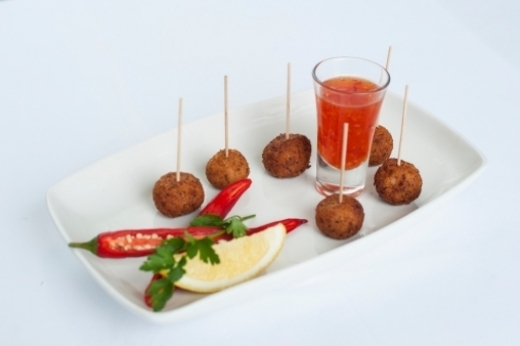 . .
Getting married on 10th May and haven't booked your caterers yet? 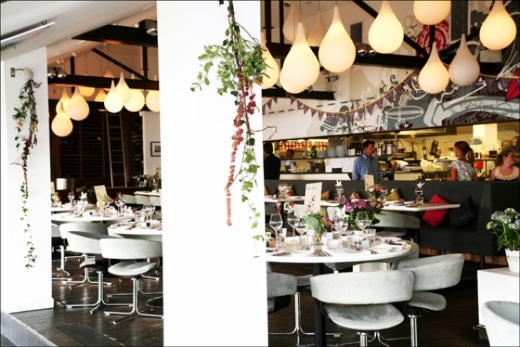 One of the south west's leading catering companies, The Round Kitchen has just confirmed late availability on th. . . Here at Wed Towers, we love a good proposal story. And when we asked you about your recent engagements, you certainly didn't disappoint.Read on to discover how some men became gr. 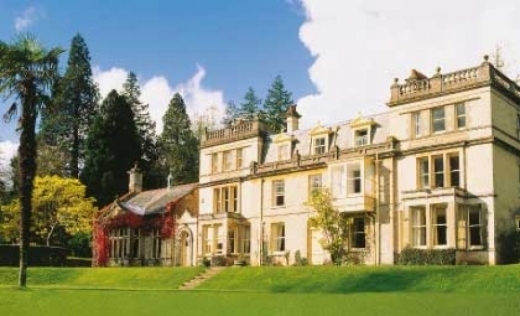 . .
Start the year with a bang and win a wedding at one of Devon's most magnificent venues, Holne Park. 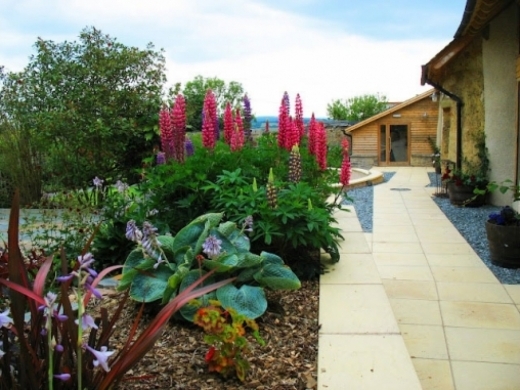 The spectacular prize has a value of up to £4,975 and includes an array of fea. 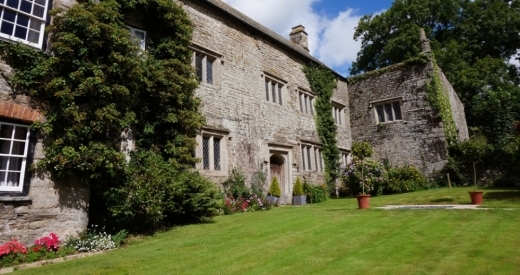 . .
Langdon Court Winter Wedding FairSunday 5th January, 1pm-4pmTake a sneak peek at this historic manor house with its lovingly restored interior and extensive grounds as you schmoo. 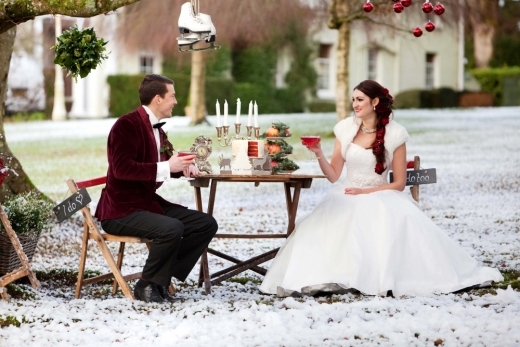 . .
A Winter Wonderland Wedding Fair in association with Blue Fizz EventsDeer Park Country House Hotel, Honiton Sunday 5th January, 2-5pm Rel. . .